Curious Boo Curiouser and Curiouser! This morning when I woke I already knew what I wanted to do with my day… there was no question that I wanted to visit as many less-frequented temples as possible while I was in Kyoto… I already had a basic idea of which ones I wanted to see so I planned a tentative route to the three that stuck out as being the most interesting that I should see. Near our rented apartment there were some small shrines and temples, so there were definitely no shortage of places to visit… over 1600 temples and shrines exist in Kyoto so you are bound to find some place to relax or worship that is very near where you are at any given moment – this was evident just in walking on the main road down the hill from the apartment, where I passed at least 5 minor temples on my way toward my destination. 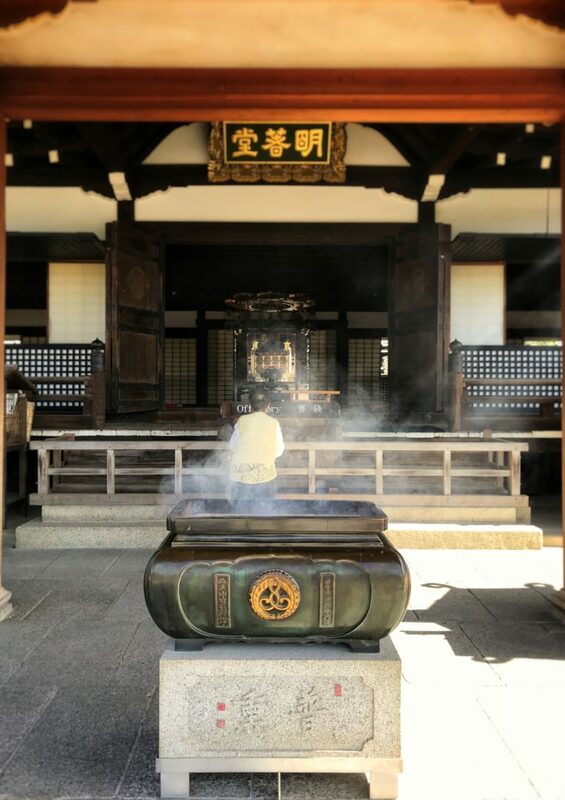 I wondered if the locals were jaded toward the existence of so many temples and shrines because they have just always been around or if they feel privileged because they know how special this place is. 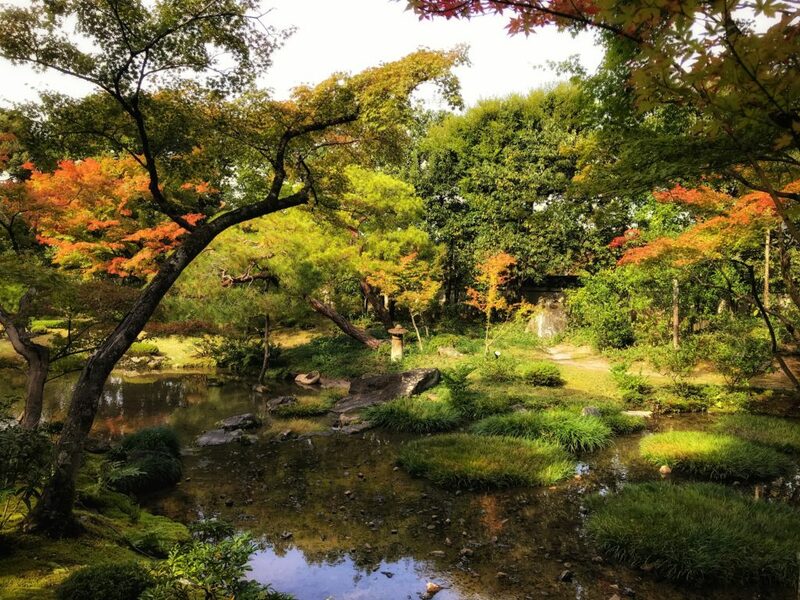 I found myself thinking that if I was given the choice to live in either Tokyo or Kyoto, I’d choose Kyoto. 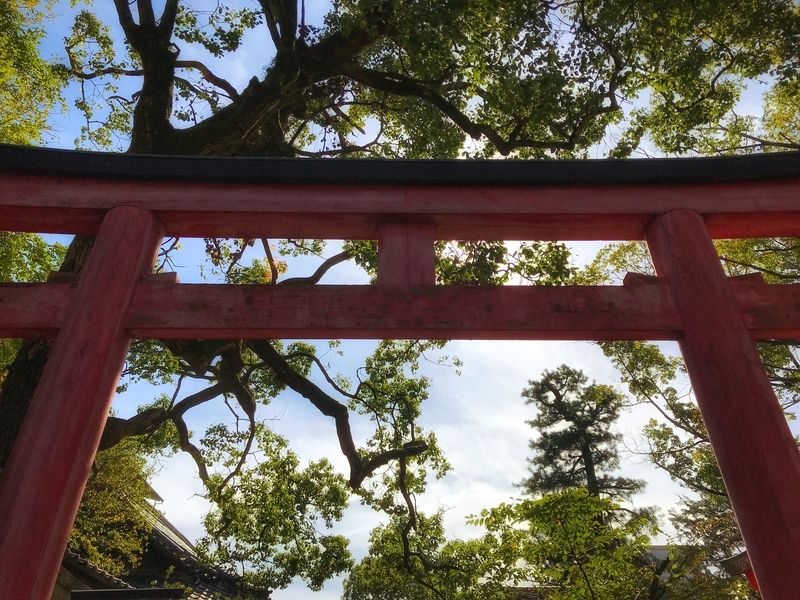 In Kyoto you have big city things to do, neighborhood things to do and the added bonus of all of those temples. 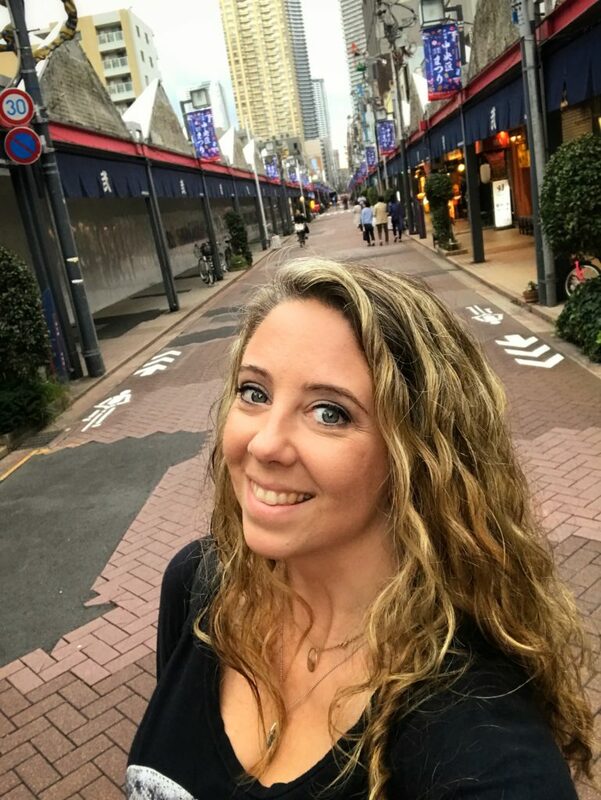 Plus, mountains surround three sides of the city so there is no shortage of outdoor activities that one can find to do, and if you know me then you know that I do love to hike and spend quite a bit of time in nature. Theme of the day was definitely temples. I felt that this was the perfect way to continue the journey for peace and refreshment that I began the night before at Imakumano Temple… I wanted to fully embrace the tranquility that I have been seeking so diligently the past couple of months, to leave pain and sad thoughts in the wake of my determined steps toward healing. On my way to some specific points, I saw all manner of temples, and I stopped at a few that seemed interesting. 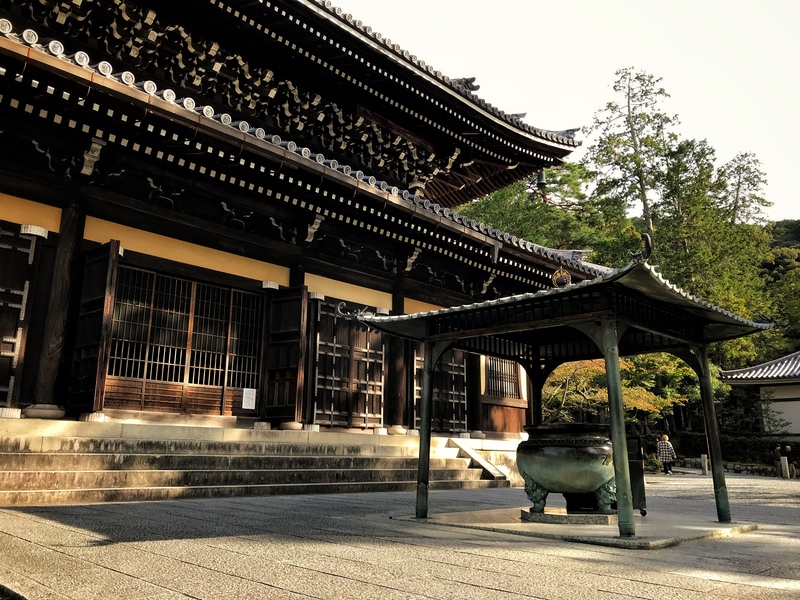 One such place was at Gojobashihigashi, which contains the Otani Mausoleum, Jippo-Ji Temple, Tsumyo-ji Temple, Myoken-do Temple, and Myoken Daibosatsu Myokendo… phew that’s a lot of important places! At the first gate I found that there was the first stamp in a stamp rally! I learned that there were 4 stamps located throughout the complex and they supplied a leaflet to stamp each one… I ended up just stamping my Moleskine that I had with me. The lady in the photo above was praying for such a very long time… I only understood words here and there but she sounded so sincere and thankful that I wanted to capture the moment. Near the offery was another stamp. I waited until those around had finished making their offerings before I stamped my book, and then I moved on toward one of my destinations. Leaving… this lantern looked to be covered in gold leaf. 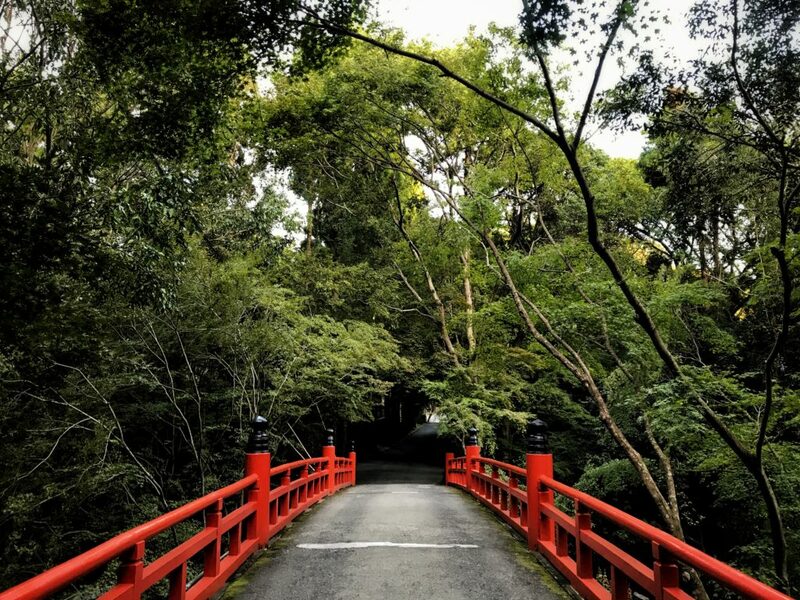 Onward I walked, and soon I found myself at one of the main destinations that I was seeking… Yasui Konpiragu Shrine. 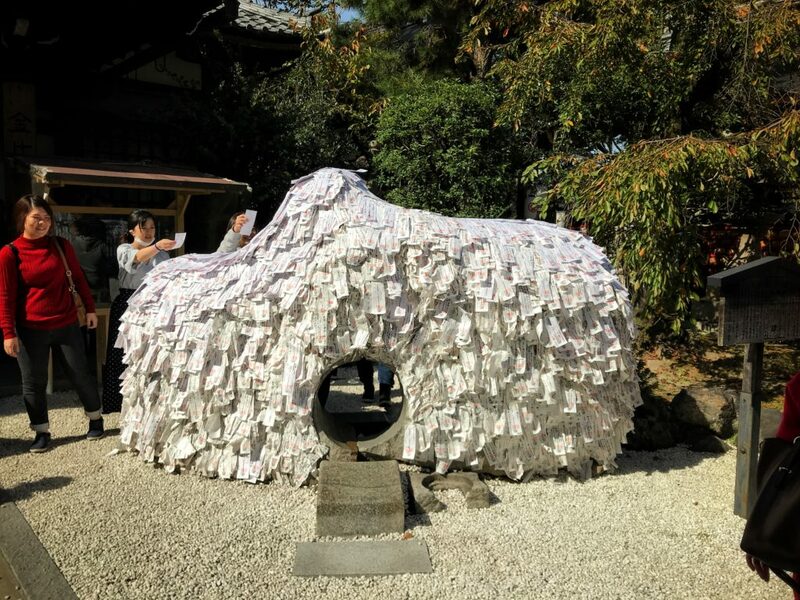 Located in the Gion district, this shrine is located on the grounds of Horyu-in Temple and is unusual because of it’s Power Stone…. 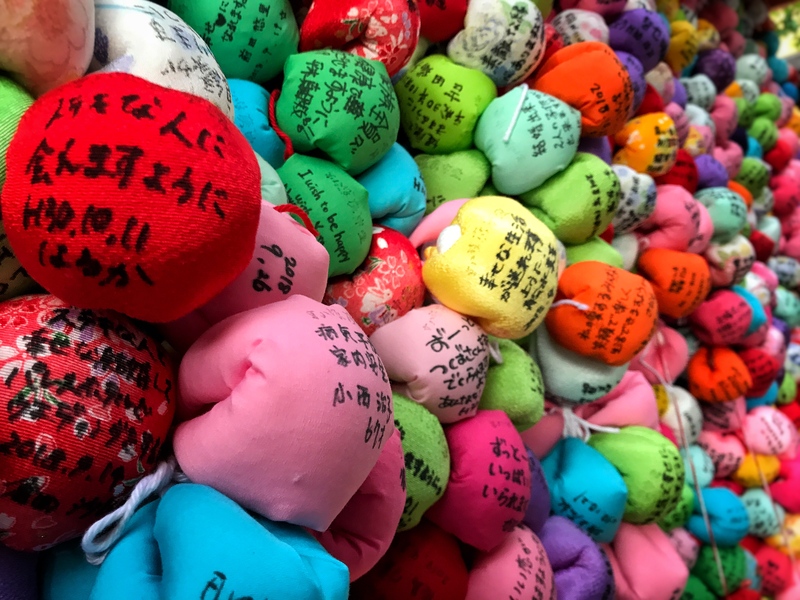 it is said that if you wish to end a bad relationship and/or initiate new good relationships, then you make your wish, crawl through the center of the stone and back, bow, then adhere your wish to the stone on a slip of paper. The long line to the stone was mainly filled with women, but also some families and a few men who were alone as well. Yes, I did purchase a slip of paper, write my wishes and stand in line for 45 minutes… totally worth it. Now, if you ask me, a stone really holds no power other than being good at standing still and in this case, holding thousands of papers on it’s surface (with the help of glue) . That, however, did not dissuade me from completing this ritual. It seemed an important thing for me to complete, an outward demonstration (at least to myself) of leaving some very unfortunate life altering situations behind me and moving on with the purpose of having a fulfilling life not dragged down with sadness. 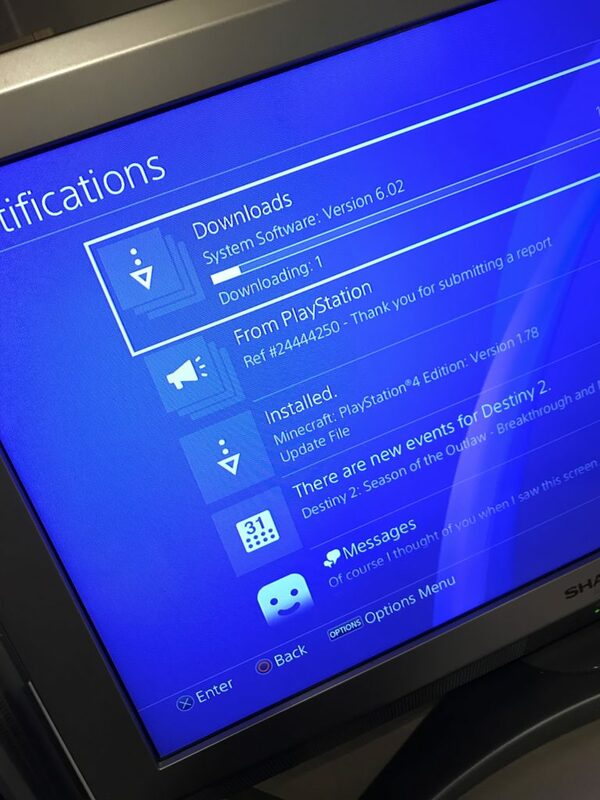 It took a while to make it to the front of the line. Thankfully the sunny day was not too warm or too humid, so I did not mind things taking a little longer than would be optimal. From a distance, the hole in the rock looked very very small and I had a growing concern that I would actually be able to make it through that hole without getting stuck! However observation told me that those with a waistline… erm, much larger than my own, were able to make it through so my fears were soon laid to rest. It kinda looks like it should be a Hobbit house, except… it’s too small for that. Phone at the ready to film myself go through, I got on my belly and slid through. Easy peasy! Now, to crawl back… I thought perhaps that I could crawl through with no problem since I’m a skinny person… left knee forward… uh oh… STUCK! I did not take into account that my legs are longer than the average person going through that hole, and so it was a big NOPE on crawling through! I had to back out a bit to get my leg un-stuck, and then I slid through on my belly again, quite embarassed already because I could hear laughter, but also people had their phones out and were filming me. Oh dear. 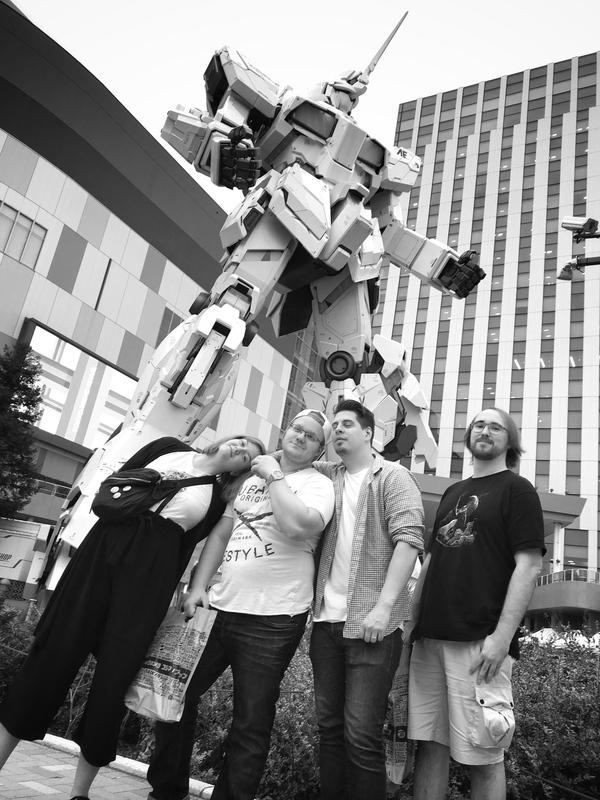 Now I’ll be all over the internet, the gaijin who got stuck. Memes would be made of my ordeal and my embarrassment celebrated over and over. I turned to the stone, bowed, looked at the ground and hurried around back of the stone to apply glue to my wish-on-paper. I adhered my paper to the stone, and still felt the flush of embarrassment. I could not bring myself to look anyone in the eye lest I catch someone mocking me. Hurry away I did not though… I paused to take more photos of the rest of the grounds. I paused and offered to take their photo together – they happily accepted! I wish that I had remembered to also take a photo with my own phone so that I could have had the memory! They also took a selfie with me which was very sweet! Again, I forgot to get my own phone out… how sad! 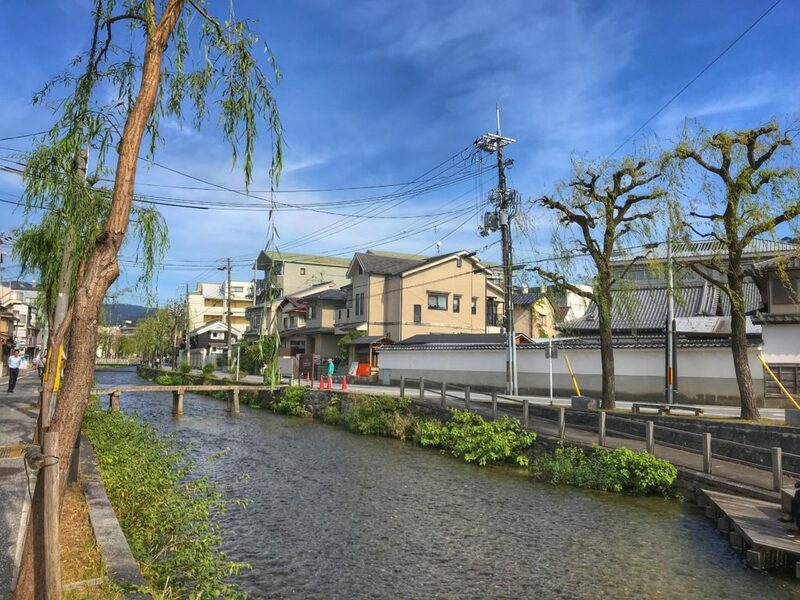 Onward I went, but I diverted my route so that I could walk along the Shirokawa, which is quite a beautiful and simple neighborhood. No fancy houses… just older homes that have a lot of charm. I found the Furukawamachi Bridge, a foot bridge that is maybe one foot wide? I crossed it with a little concern, and made sure to take a video as I tried to keep my balance. 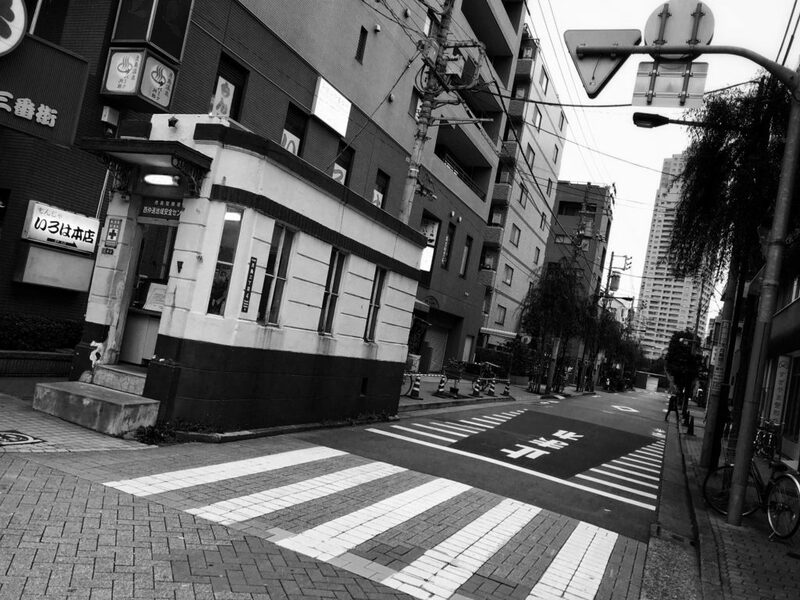 The Furukawamachi Bridge in the background. 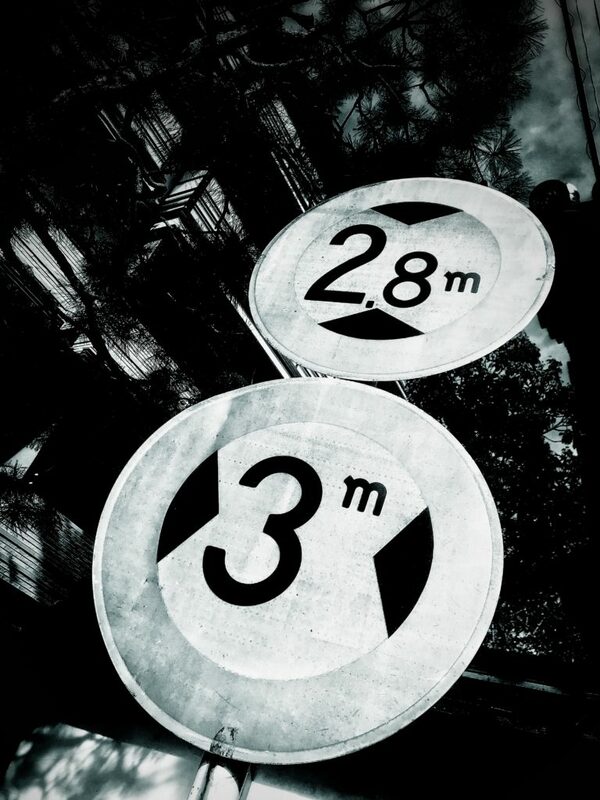 Everything about this worn sign screamed “make me black and white”… so I did. 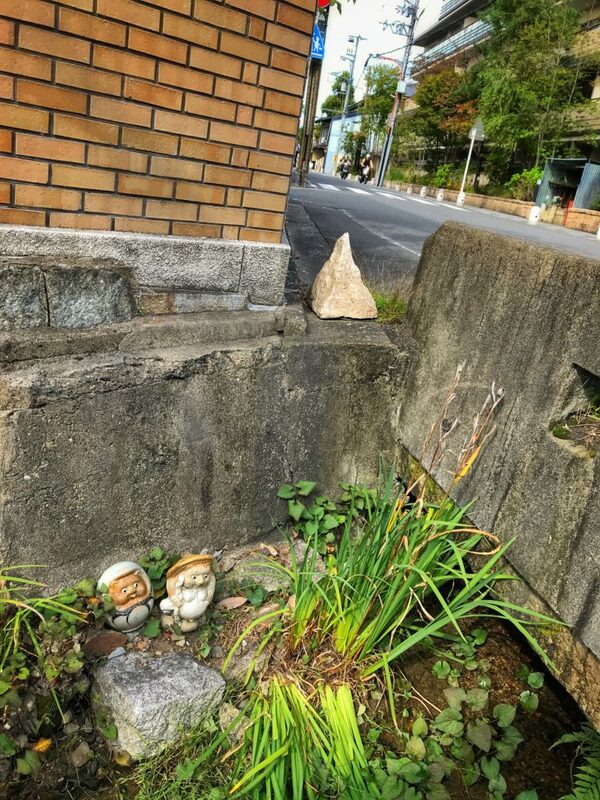 I also saw a pair of tanooki in a stream – an out of place pyramid rests on the street above them. I cannot help but feel like I was in that exact same spot looking at the exact same items during July of 2014… now I have to go back through the photo archives and look (when I return to the US of A) because this will haunt me until I do. Tanooki in a stream… seems like song lyrics. 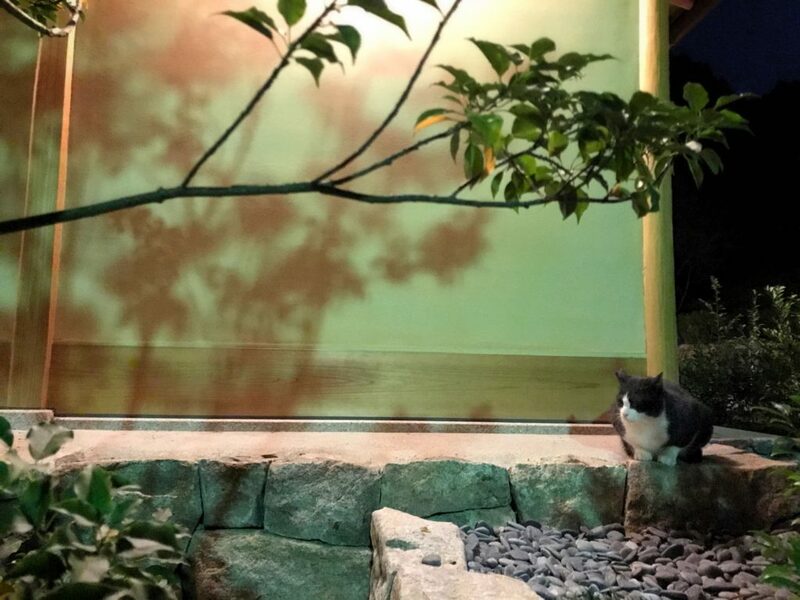 Tanooki with the weird pyramid thing – it looked to be made out of granite or marble. Next stop: Narnia, AKA Murin-An Garden. Built between 1894 & 1896 by Yamagata Aritomo, a Prime Minister during the Meji Period. 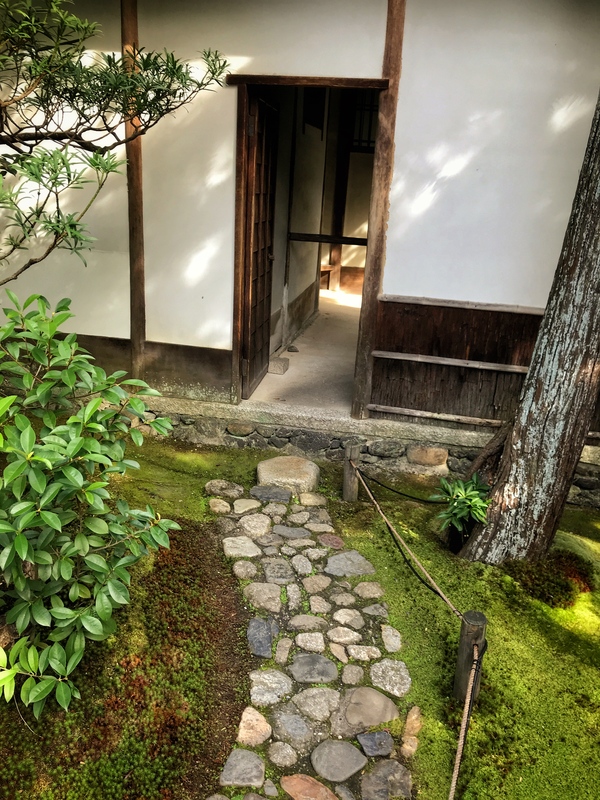 His vision was realized by the Japanese master gardener Ogawa Jihee, who also designed a few other famous gardens. Murin-an doorway… the portal to a magical garden. I stepped through and was dazzled by the sight that I beheld: A wonderfully landscaped garden with both Japanese and Western influences welcoming wanderers into it’s harmoniously peaceful scenes accompanied by a symphony of gently flowing water, lullabies of songbirds and the occasional faint trumpet of elephants, who live nearby in the Kyoto Zoo. What joy sprang to my heart! I slowly meandered through the gardens, allowing myself to slow down and fully drink in every sight, smell, sound and feel that I was experiencing around me… I felt quite at home and relaxed… usually I feel a bit as if I have to behave a certain way in a formal garden but this seemed to be a more natural place, like walking in the woods, except that it was clearly a structured garden but artfully so, because so many nooks seemed so natural, as if they had always been there. 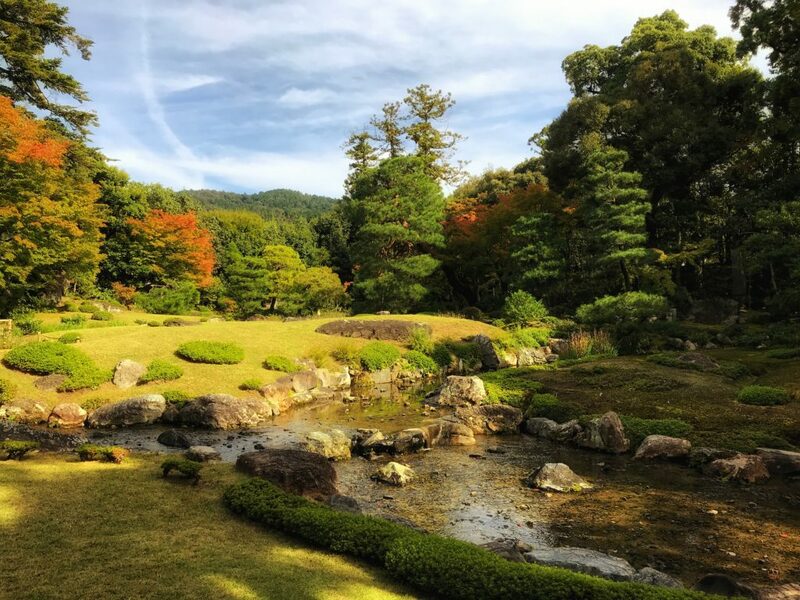 I took a few hundred photos in this beautiful garden and it was difficult to narrow it down to those that I included here. If these seem redundant, I heartily apologize to you, Dear Reader, if your eyes glaze over or roll back into your head for a moment… but I simply could not resist putting these choice photos here for my own pleasure. Thank you for your indulgence. How much time I spent in the garden I could not tell you, for I literally let go of all sense of time and just… existed for a while. A rare thing it is for me to let myself unwind to this point as I am always planning something or working out some puzzle in my head. 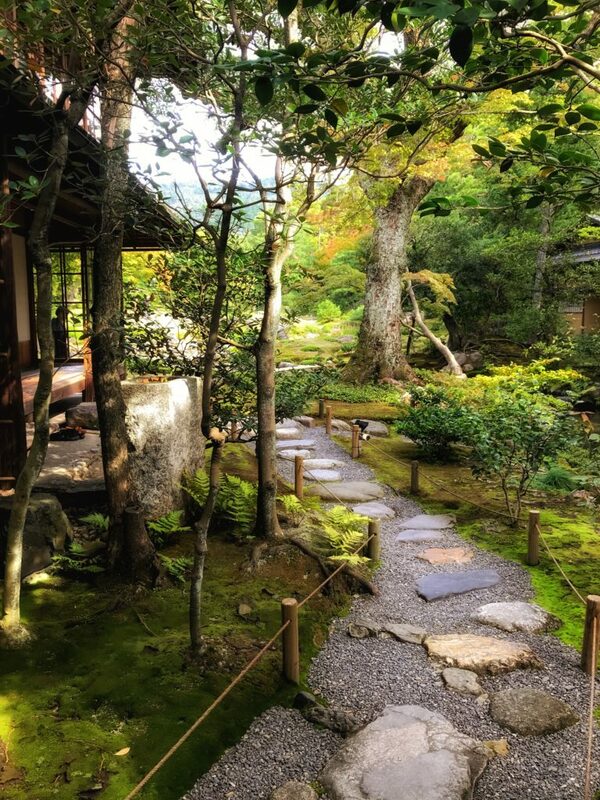 Before leaving, I paused at the teahouse to sit on the veranda – the last photo above is from that vantage point. Once sufficiently rested I moved on, unsure of exactly where I was going to next. 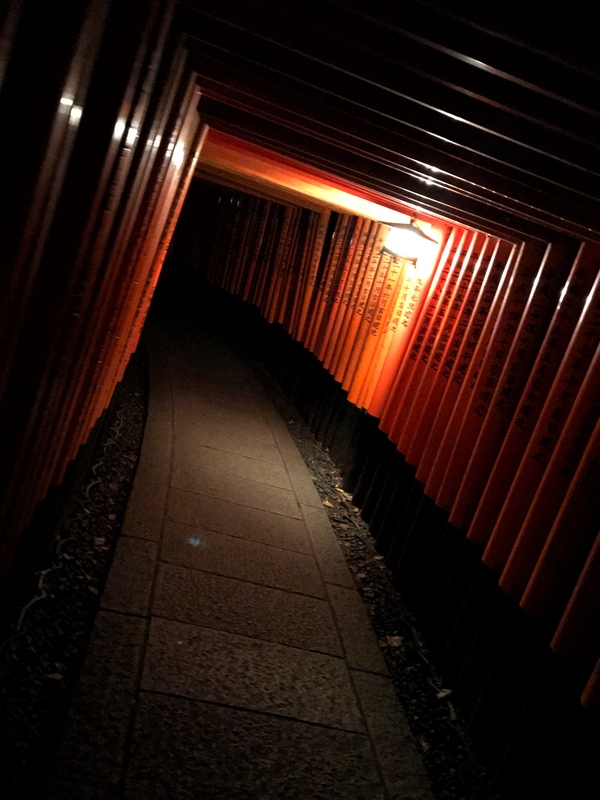 My feet ended up taking me deeper into the Gion District, a part of Kyoto that hither to fore I had not seen much of. 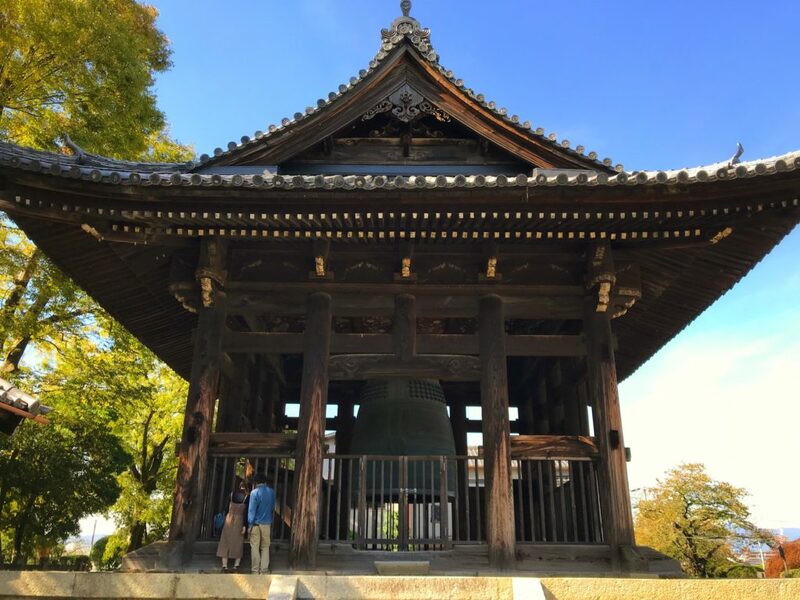 Keep in mind that my previous visits had very short time constraints and were more like whirlwind tours of temples and shrines. 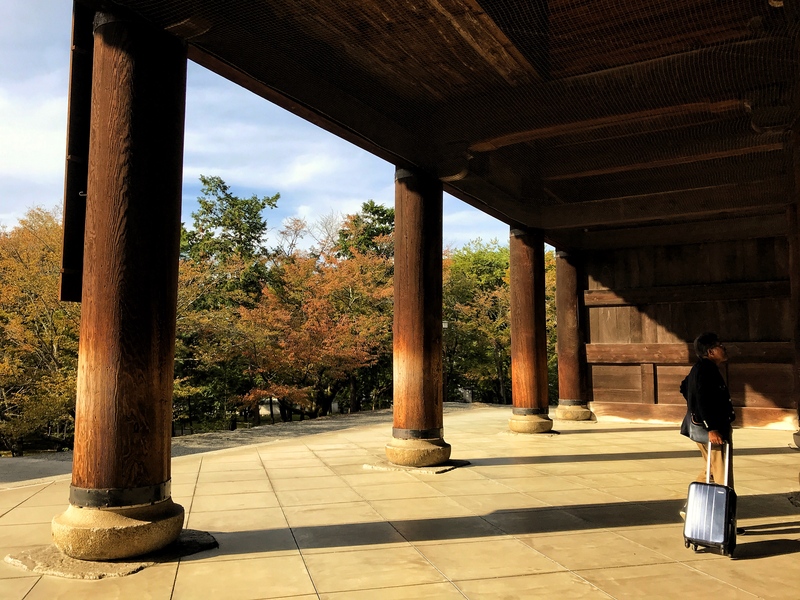 My feet took me to the grounds of Nanzen-ji Temple, I knew nothing about them except that they were a 15 minute walk away… I am very glad that I went there because there were more awesome surprises awaiting. 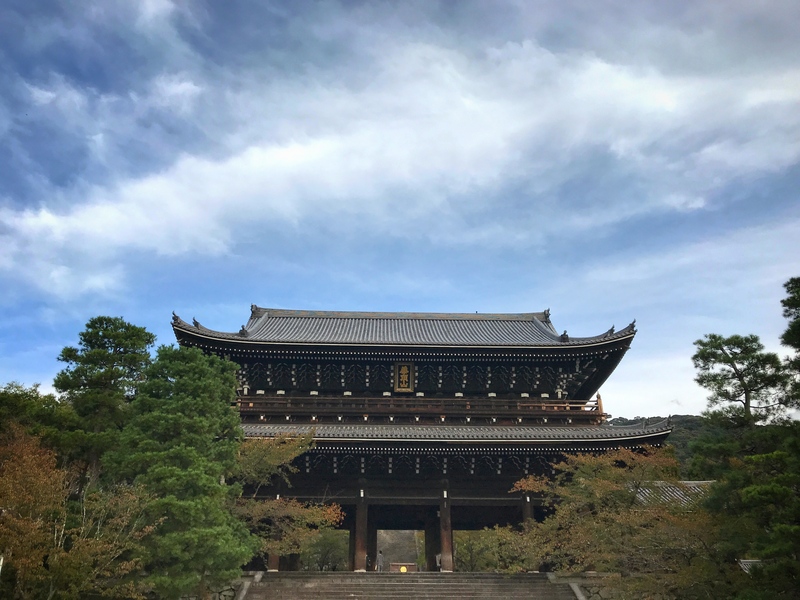 It turns out that there are a few temples on the ground, with the main Nanzen-ji being one of the Great 5 temples of Kyoto… I was surprised to learn this as there were very few tourists there… perhaps because it is more out of the center of town? I do not know, but having no crowds to deal with was again, exactly what I wanted and needed for this day. 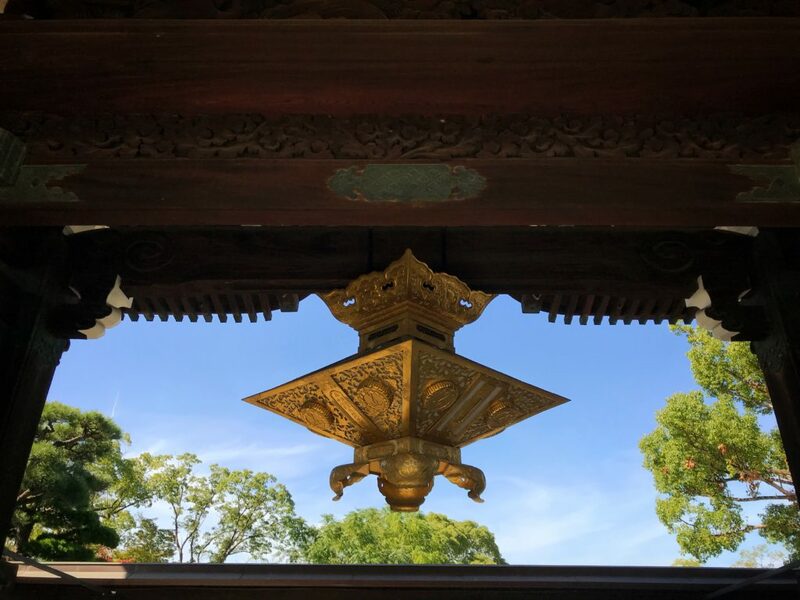 One of the “feet” of the Shoin-an Temple offery – absolutely stunning metalwork. A western-style aqueduct?!?! Puzzled, I investigated further. 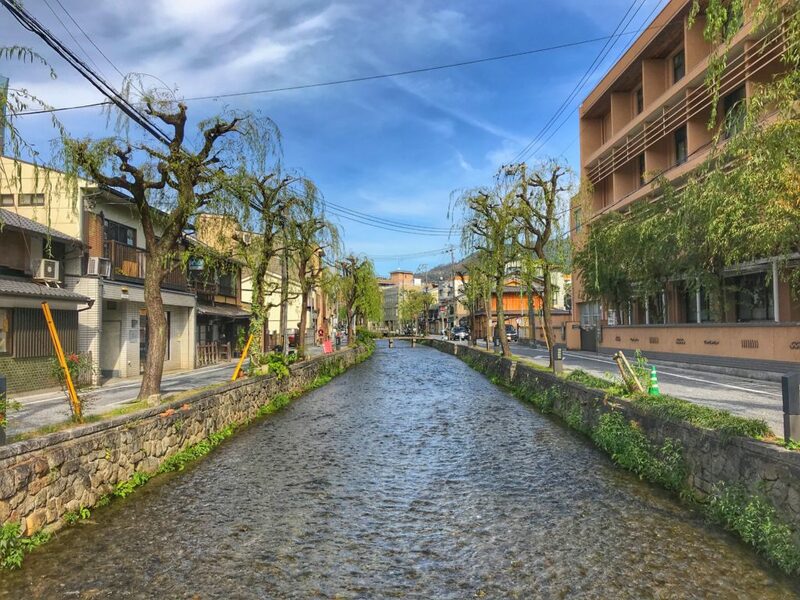 It seems that this aqueduct connects to Lake Biwa, and used to bring water into the city! 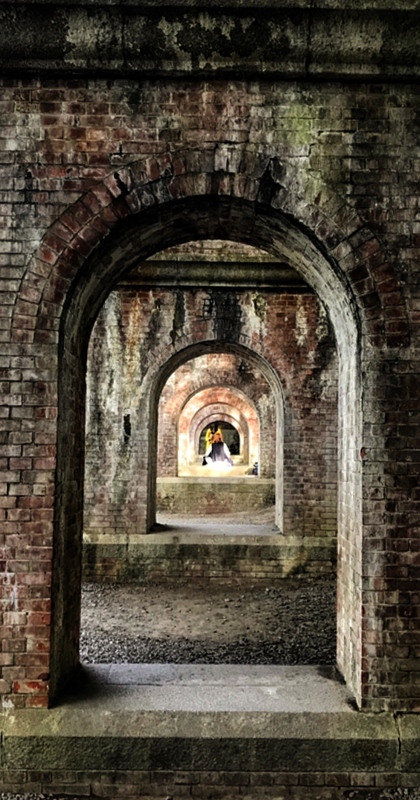 Parts of the aqueduct are under repairs after some years of neglect. 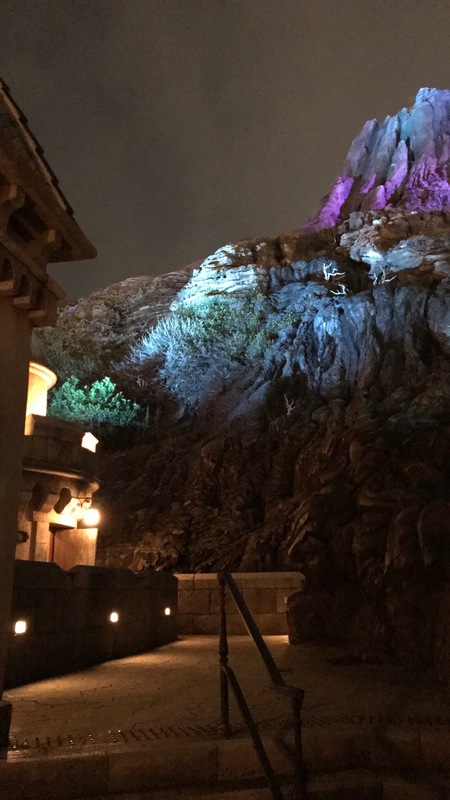 It is a popular place for people to gather and take photos – this one above is from my iPhone, but I did get a few shots with my DSLR that are waiting to be edited – that will be in a later post. I was delighted to find such a treasure on my wanderings and I spent a bit of time here taking photos. 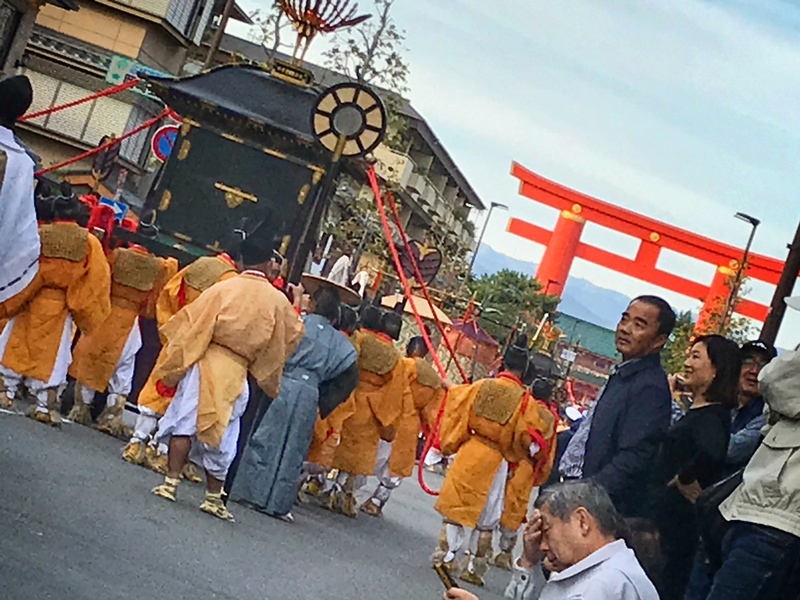 Soon I moved on, for I wanted to catch a view of the setting sun from Kiyomizu-dera… through Gion I walked and found a parade? OH! It was theThe Jidai Matsuri—”Festival of Ages” which commemorates the founding of Kyoto as the Imperial capital by the Emperor Kammu in 794… this is quite the affair, as a procession of over 2000 people in costumes from every era of Japanese history leave the Imperial Palace grounds in the morning and walk along a route that is several kilometers long, ending at the Heian Jingu Shrine. (I looked this up as I snapped the photos) – a total surprise and a very happy one at that! 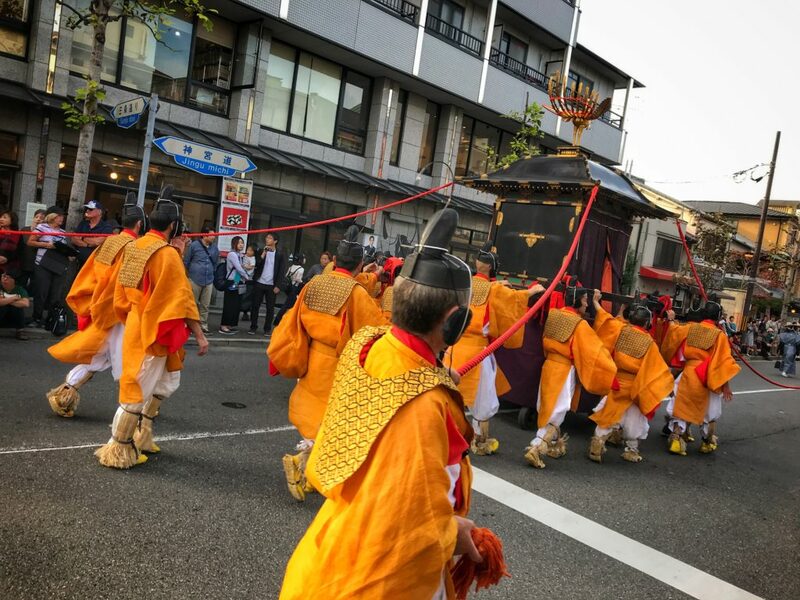 I was near the Heian Jingu Shrine, so I was literally seeing the last 10 minutes of the procession – I am very happy that I was able to witness this! A few more tourists and touristy stores were here, mixed in with stores filled with handcrafted goods and foods… then my eyes spotted a small coffee stand, and then my eyes spotted a sign that said “Portland Roasting Coffee” and I had to stop! Grateful for a cup of really good hand poured coffee and thanked by an even more grateful shopkeeper, I was also welcomed by another customer, who heard me talking with the barista about me being from Portland, where the coffee was roasted. I wasn’t terribly far from Kiyomizu Dera so I quickened my pace, determined to catch the setting sun but alas, too many interesting things were vying for my attention… stopping to snap a couple of quick photos turned into more photos, more stopping and delaying my arrival to a vantage point to view that sunset. Clearly it was more about the journey for me today, rather than an ultimate destination. 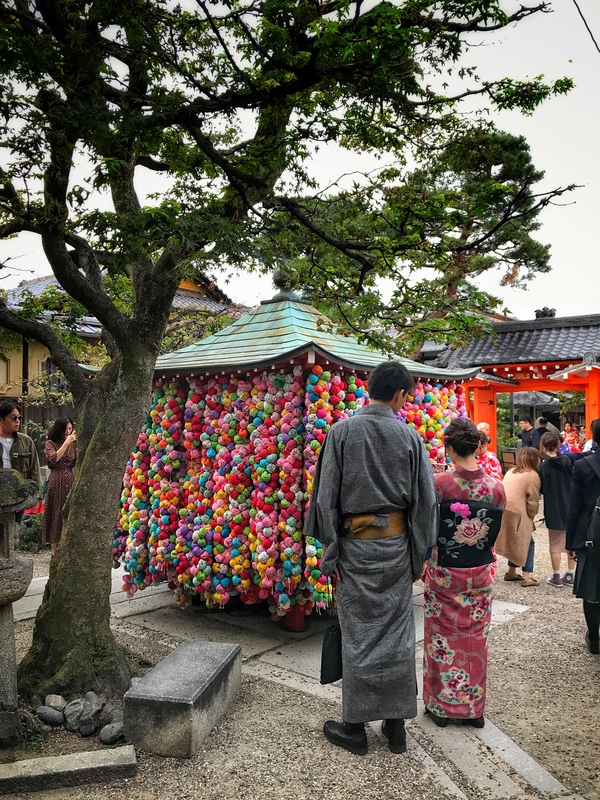 On the winding streets of the mountain that lead up to Kiyomizu-dera, I found the Yasaka Kōshin-dō, whose full name is Daikoku-san Kongō-ji Kōshin-dō – one of Kyoto’s most colorful shrines… yet another surprise! I paused here for a bit and people watched. 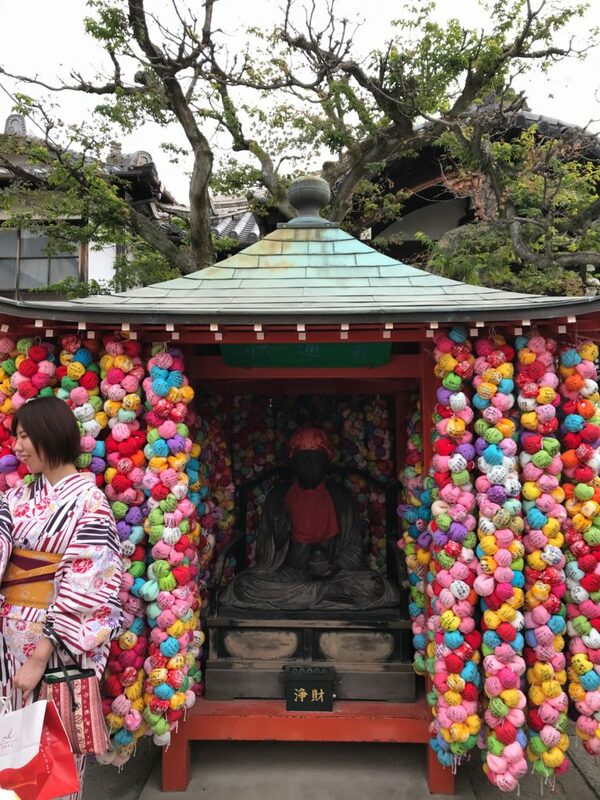 A little investigation told me that these multi colored fabric “balls” are actually in the shape of Kukurizaru, a monkey with bound feet and hands.In Kōshin belief, it represents the control of the playful and desire-driven creature everyone has inside his body, according to Wikipedia. 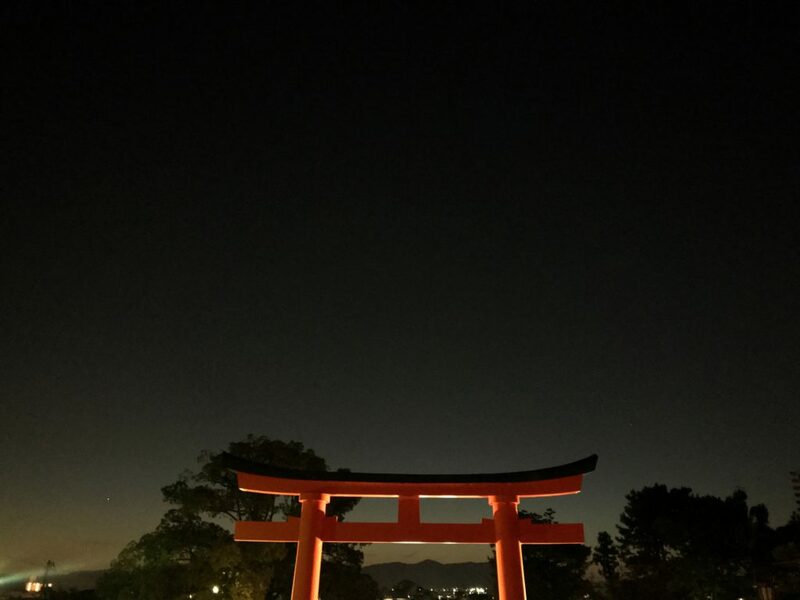 One writes their desire on the ball and by tying this ball with their desire to the shrine, a sacrifice is made… the desire vanishes, and thus a wish can be granted… it is said that desire keeps one’s wishes from coming true. Many selfies and portraits being taken at the shrine. 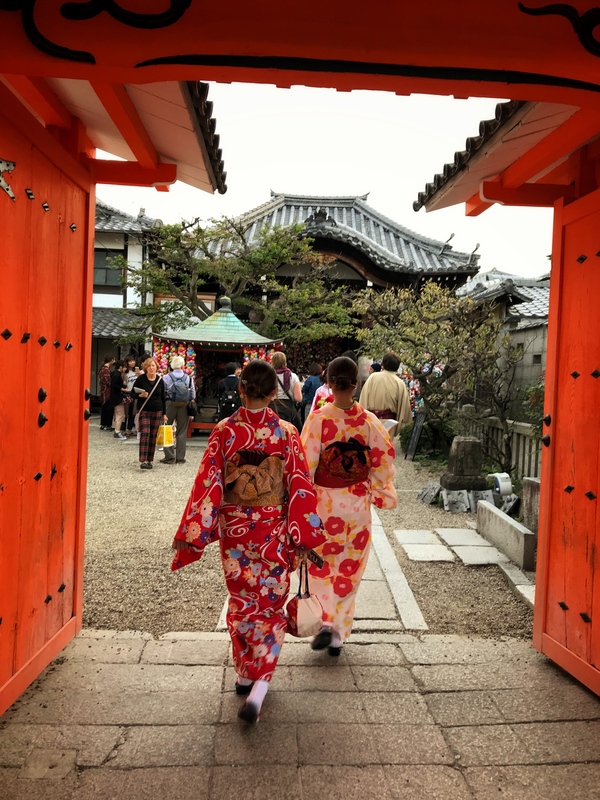 I unintentionally followed these two up the path toward the Yasaka Pagoda… It wasn’t until I snapped this photo that I realized it was the same couple! 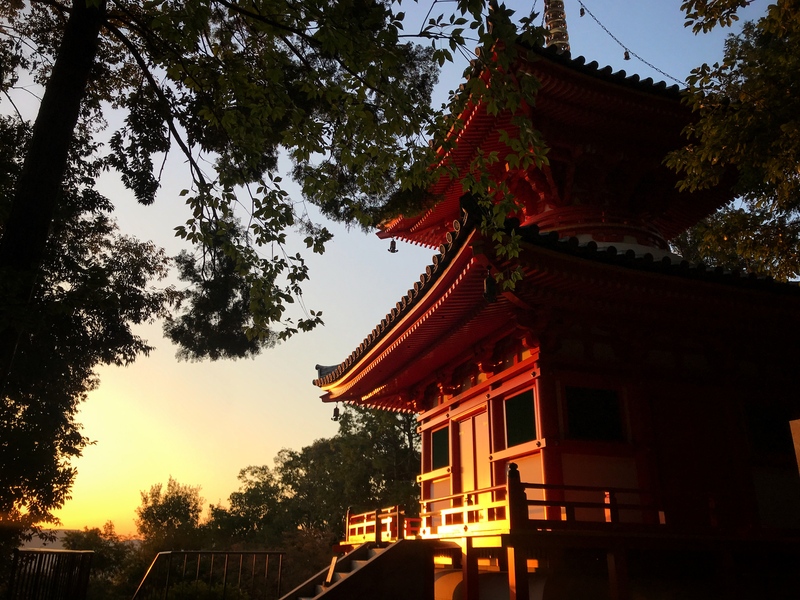 The sun had already set at Kiyomizu-dera, but it was still beautiful. 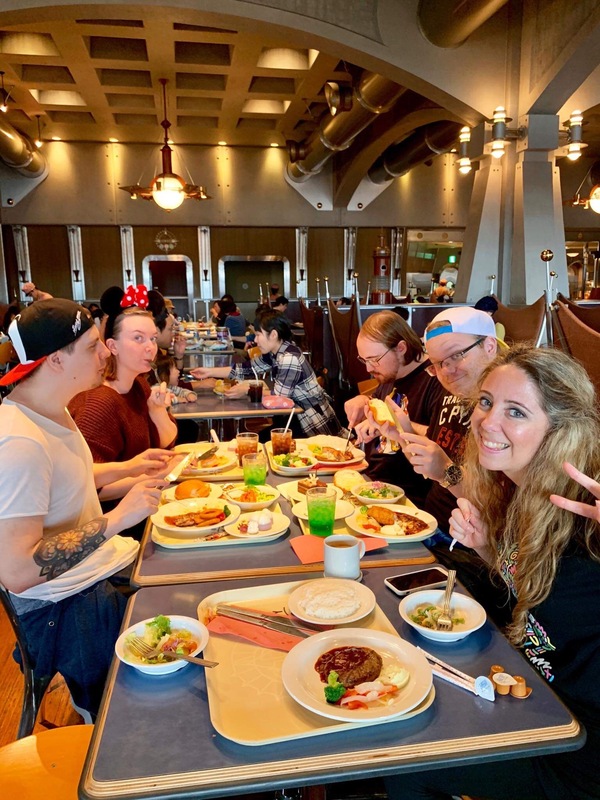 Tired and incredibly hungry, I message my Swedish friends… the guys wanted to do their own thing but Paulina was willing to grab some dinner. 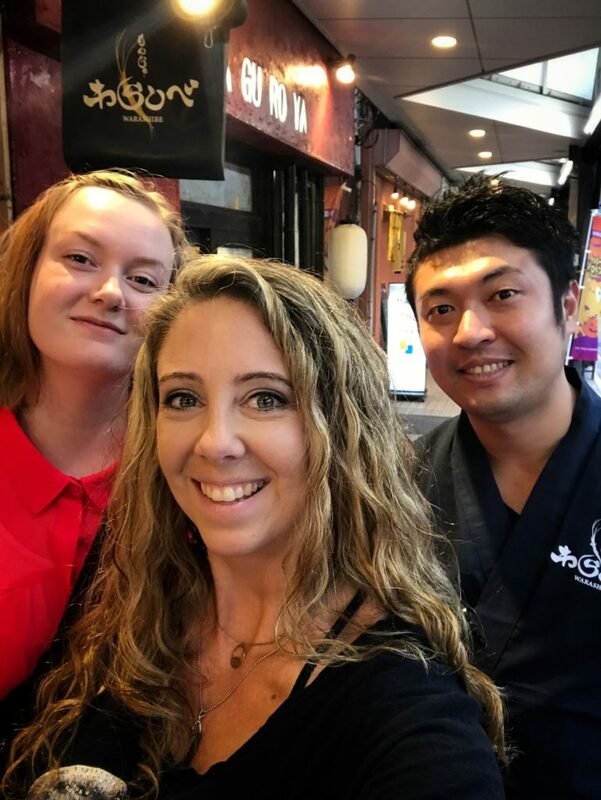 We met up at home and then walked to the downtown area and a Yodobashi… we proceeded to the floor with all of the restaurants and ended up choosing a Chinese place for dinner, which was pretty good. Soup dumplings were had, but frankly didn’t have much broth in them, which was disappointing. 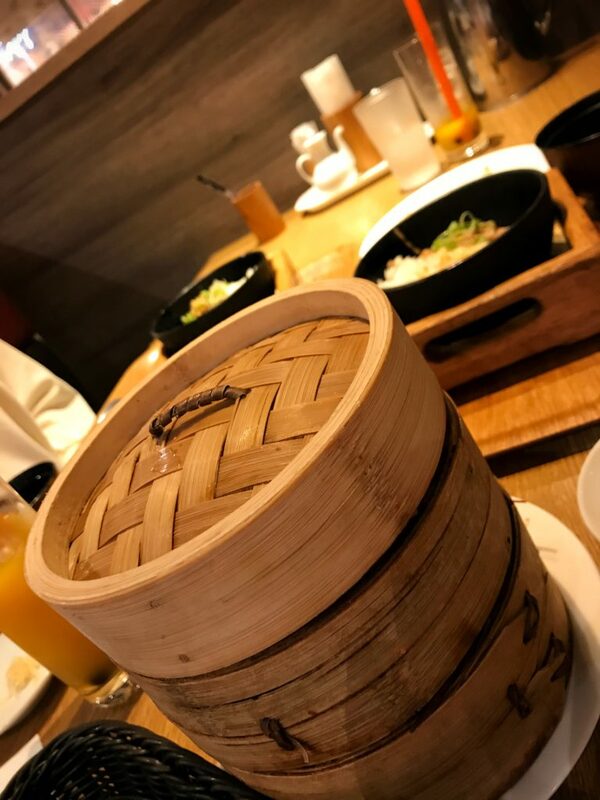 I could not help but wish that it was Din Tai Fung! … aaaaand since we were in a Yodobashi, we HAD to check out their extensive selection of Gashapon! 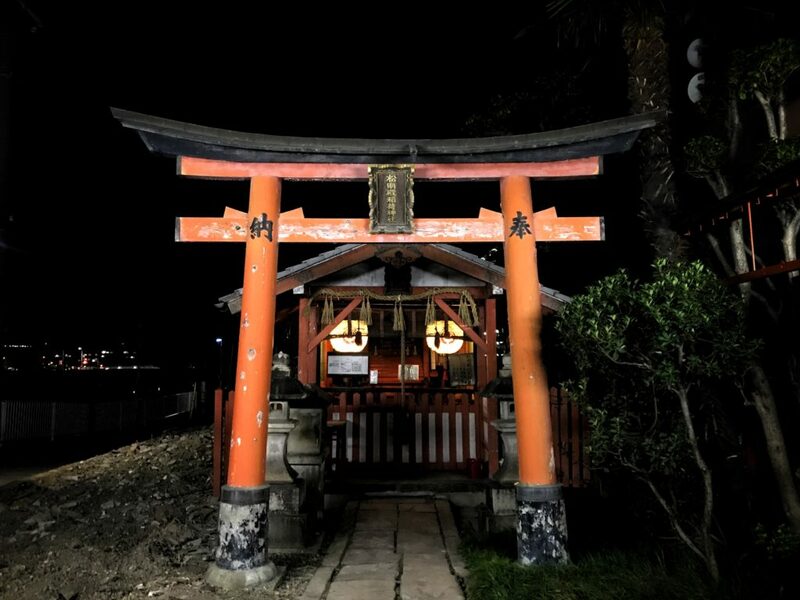 Walking home, near the Kamo-gawa river I spotted this shrine… which seemed really really familiar and then it hit me that I had passed by and observed this very same shrine on my first visit in 2014… I had remarked at the time how out of place this shrine seemed, and it still seemed so… but definitely a nice thing to find! Turns out that I walked for almost 13 miles that day… around 20 kilometers – on my feet there were a few blisters as a physical reminder, and and in my heart, memories that will last me a lifetime. Indeed, I did find what I was seeking that day, and much much more. Peace was welling within and confidence that the tender bud of hope was starting to grow, a promise that healing would soon bloom. 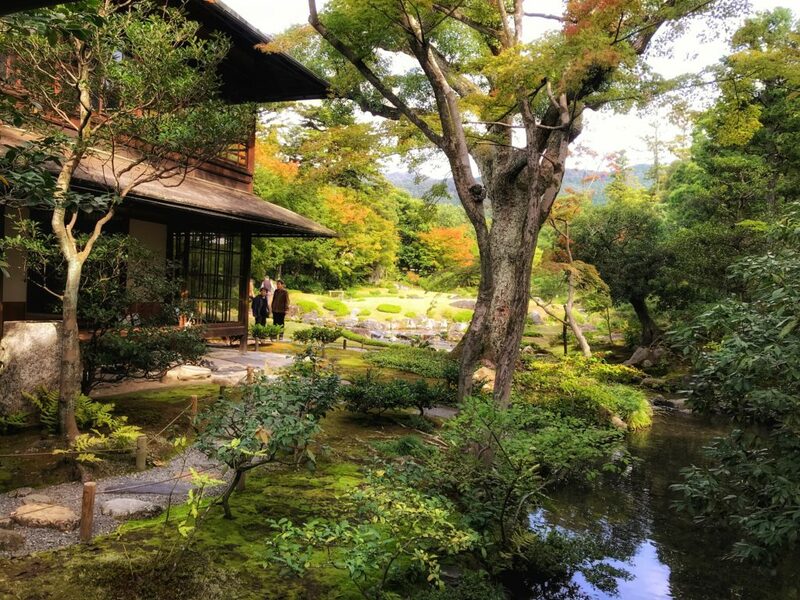 Ahhhhh Kyoto. 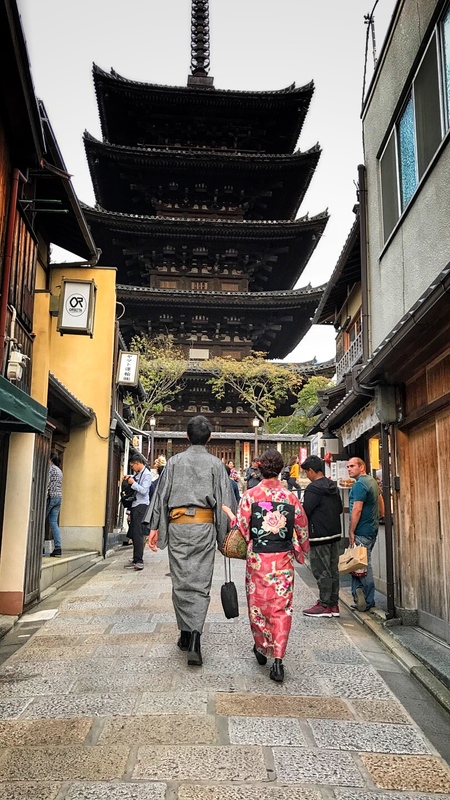 The quintessential picture of what people conjure up in their minds when they think of traditional Japan… they aren’t wrong to do so because Kyoto is just that… and much more as well. 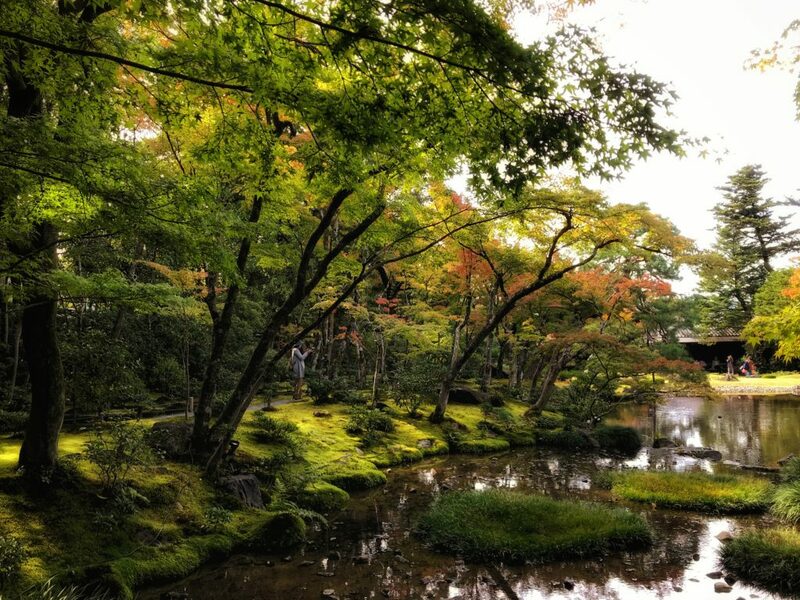 Kyoto was first settled in the 7th Century… by the year 794, it became Heian-Kyō, the capital city to distance it from the clerical establishment in Nara… in those times the Buddhist clergy was very powerful and quite involved in the Imperial government, so the Emperor Kanmu wanted to relocate the capital there. Tokyo would not become the capital city of Japan until 1868, but that is a long story better served in a separate blog post. Back to current times… all of us were up fairly early to get ready to go to Tokyo Station this morning to catch the Shinkansen. 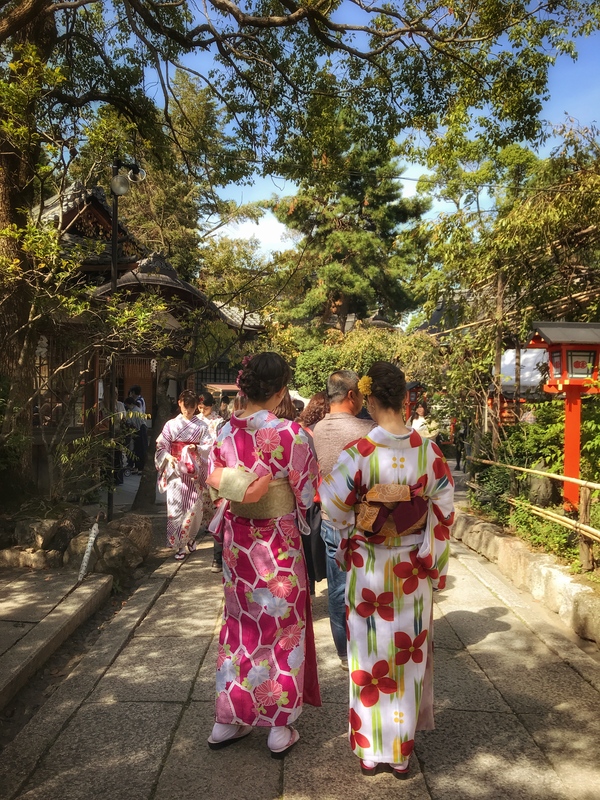 Everyone was pretty excited to go to Kyoto… except for me. I was feeling quite overwhelmed with the serious nature of a few things that I am dealing with in my life right now, things too personal to write here, at least at this time. I felt quite lonely and isolated and confused about decisions that I am facing in the near future. 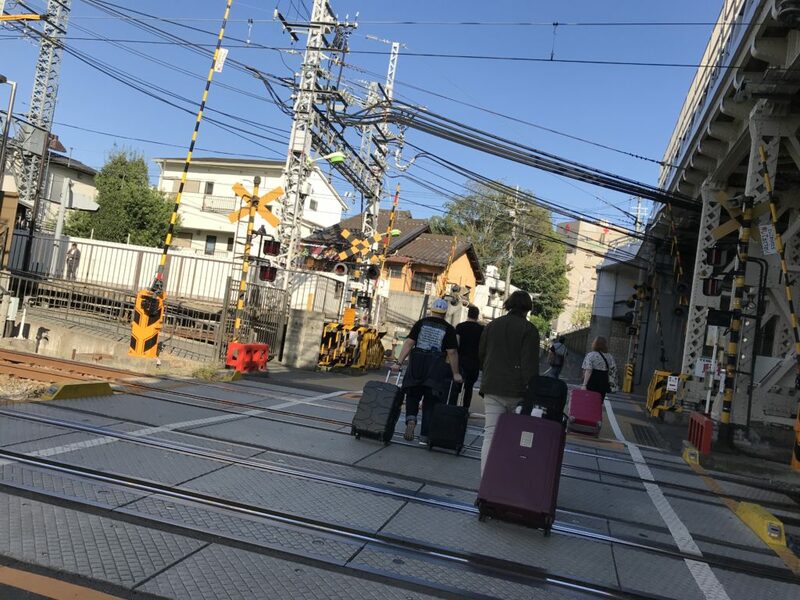 It was all too much, once I settled in and got still on the Shinkansen… tears flowed and I was concerned that someone would notice… thankfully no one did. Walking up the hill to our apartment – this is actually some of the easier terrain that we traversed – some of the streets were in rather poor repair. The last 15 minutes were mostly uphill, and by the time we got there my back and arms were a little sore from dealing with faulty luggage wheels and a heavy backpack… but the apartment was REALLY nice – while the others went upstairs to claim their beds and take a nap, I claimed one of the sofa beds in the living room as my own and hooked up my Playstation 4 – priorities! It was a nice apartment – AND it didn’t have a mold and mildew problem! 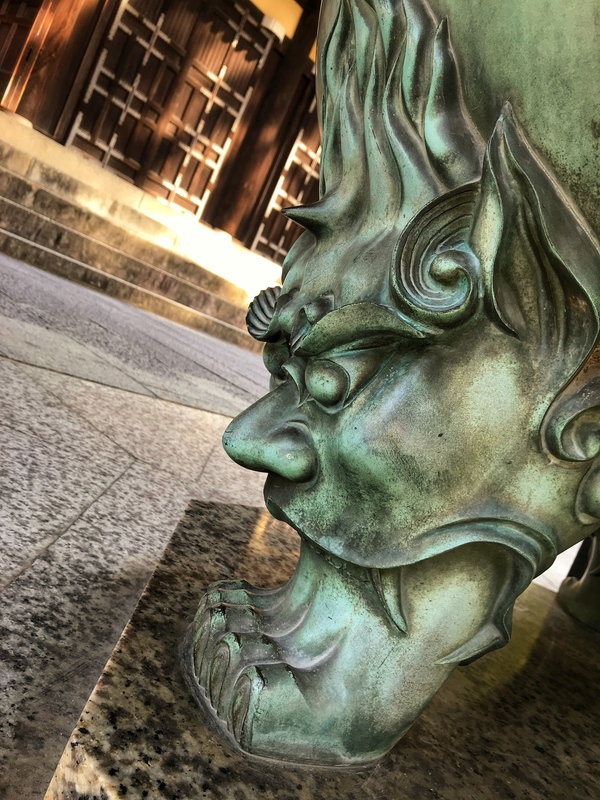 Since I hadn’t been online in 16 days, updates needed to happen… a system update and a game update took around an hour and then I was feeling energetic and refreshed so I set out to one of the nearby temples for some much needed recharging. 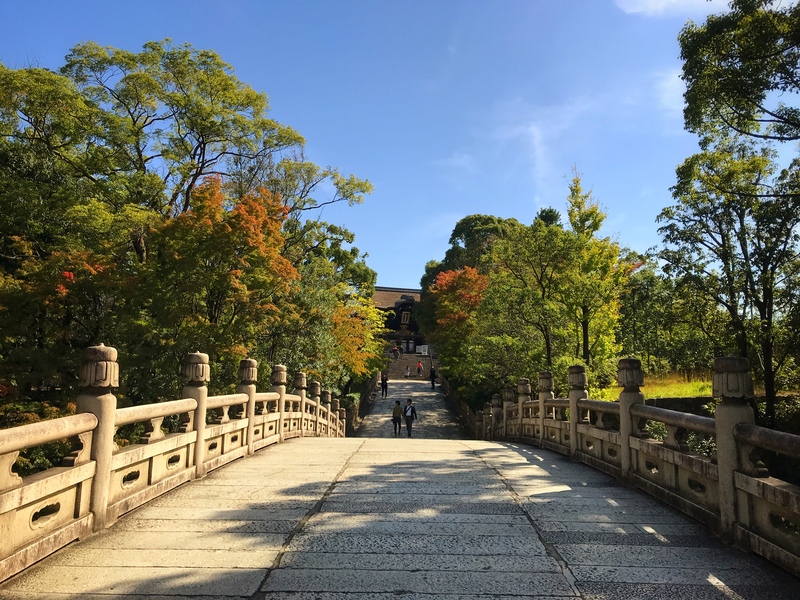 Imakumano Kannonji Temple was literally just up the road and a hill away from the apartment, so I set my path toward that destination. It was not terribly long before sunset and I wanted to make certain that I could go to a peaceful place before I went back to the apartment. This temple is not one of the temples that is frequented by tourists, so I was fairly certain that it would not be crowded… I was correct, as there was only three other people who seemed to be locals there, who left shortly after I arrived. 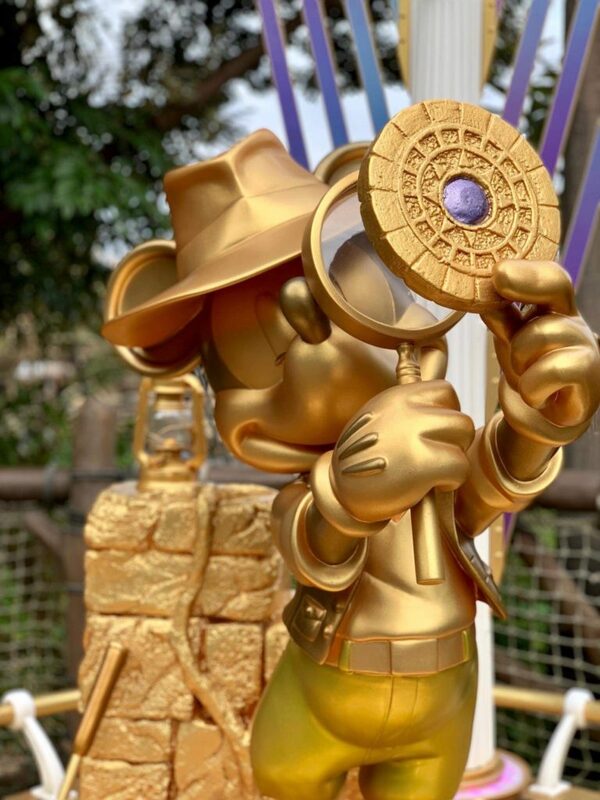 I love the details of this statue base! 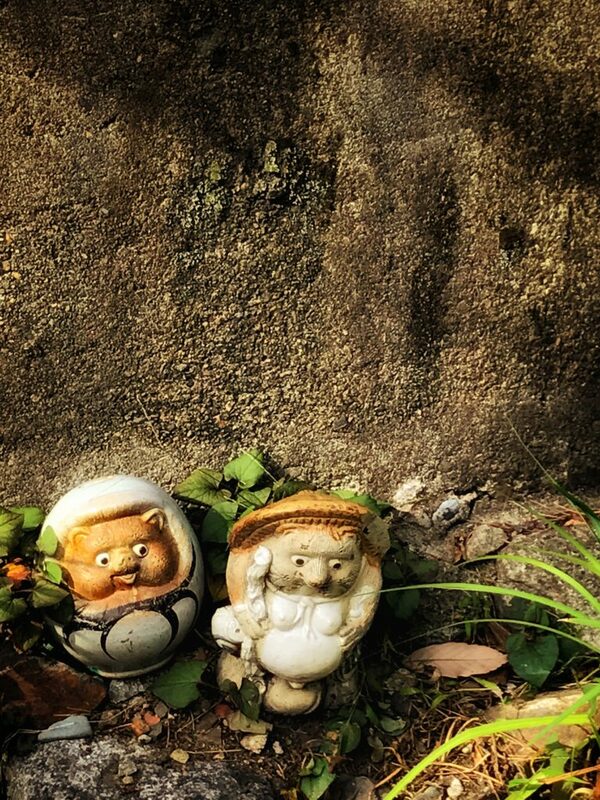 Small shrines in a small bamboo thicket. I slowly walked up the path and I noticed there was a large beautiful building at the top – I wanted to hurry up and get to the top of the hill because I could see the light of the setting sun, but I did not hurry my steps… I decided to bask in the serenity of this place and let the pains and stress of the day melt away as I slowly ascended. From this point you could see across the valley floor and the mountains on the other side too. So perfect. So peaceful. So beautiful. Exactly the sort of thing that I deeply needed and had been seeking for weeks was right here… I savored every moment. I was standing there and looking out over the the valley when I heard a friendly voice calling out… I couldn’t quite make out what he was saying because he was a little far away, but when he got closer I realized it was one of the monks asking my forgiveness for interrupting but could I please come with him because the shrine was closed! I was so embarrassed and apologized profusely (in Japanese) and he responded that it was okay, and asked me to please have a good evening and come again. He had to unlock the gates to let me out – they allowed me to view the sun go fully down before they retrieved me – so kind. I’ll never forget both the embarrassment that I felt and the kindness that man expressed even in his humble apologies for interrupting me. Exiting the shrine, I walked back down the path toward the bridge and paused, planning what I might do next because I was not ready to go home yet. I was a little hungry, but I decided to make my way to Fushimi Inari-Taisha, since it was only just over a mile away from the house, and some further distance from where I was exactly standing. I was hoping that perchance the food merchants would still be there since it was Sunday night but I also know that around sundown some of them close, so I wasn’t hopeful. I chose a wooded path that looked inviting and slightly scary, but I knew there was nothing to fear. Through the woods I happily walked, and at that point pulled up a map on my phone to plot a more sure course. I went through a quiet neighborhood in the first of the twilight hour, then through another small wood, over a hill and back into a neighborhood. 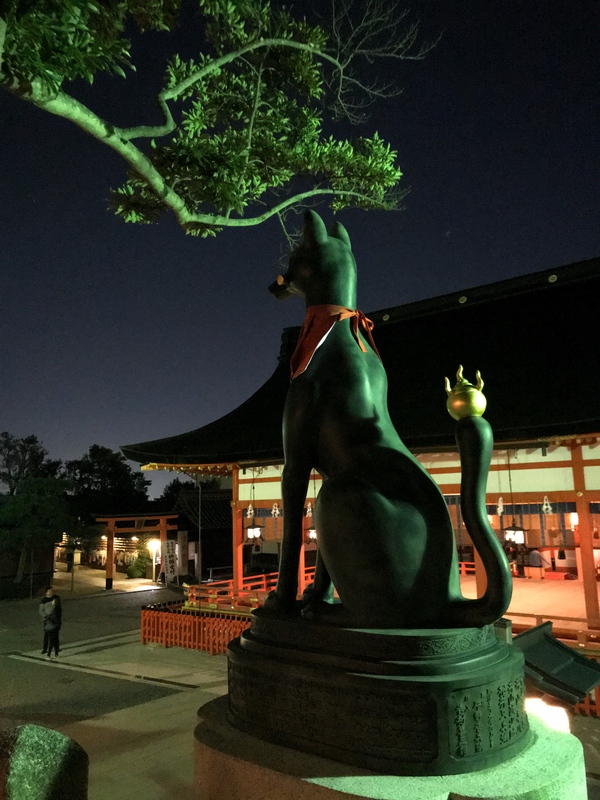 Around a tiny shrine, through another wood and another neighborhood, then over another hill – the moon was making an appearance, well on it’s way to being full in a few days. Suddenly, I was on the approach to the shrine and HUZZAH! Food vendors! 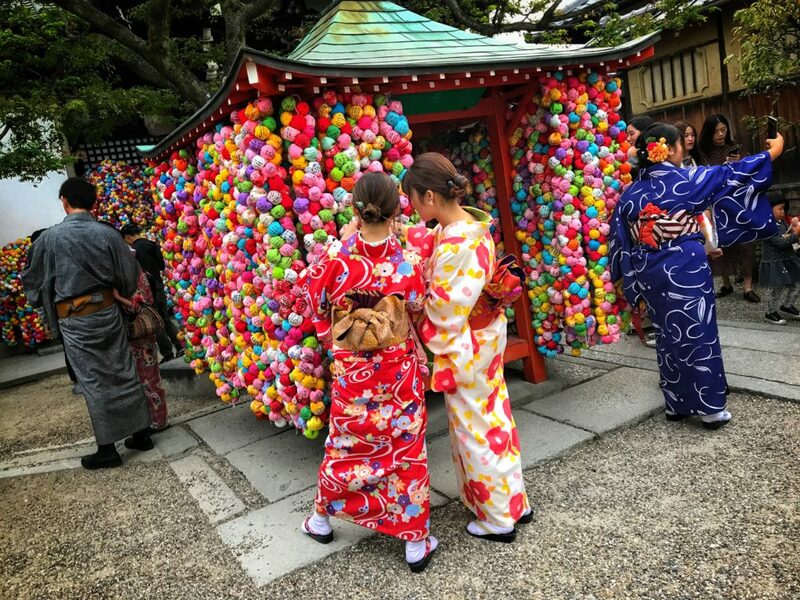 About half of them were still set up, and they were getting a lot of business from the throngs of tourists exiting the shrine. 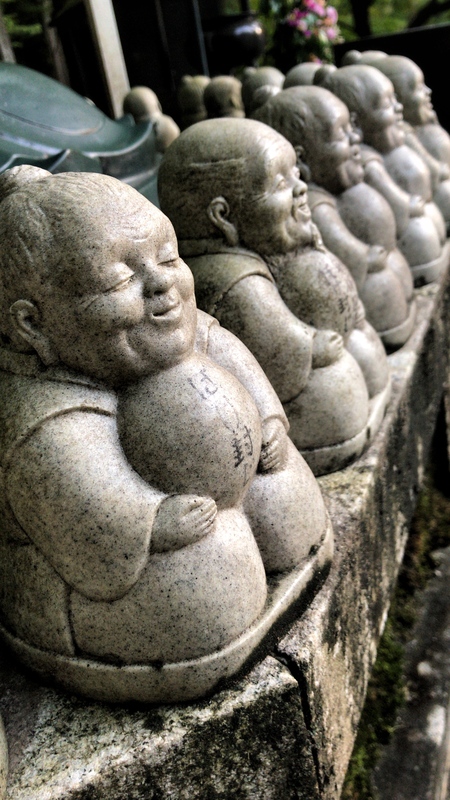 I was lured by a heavenly smell to one particular stall…. 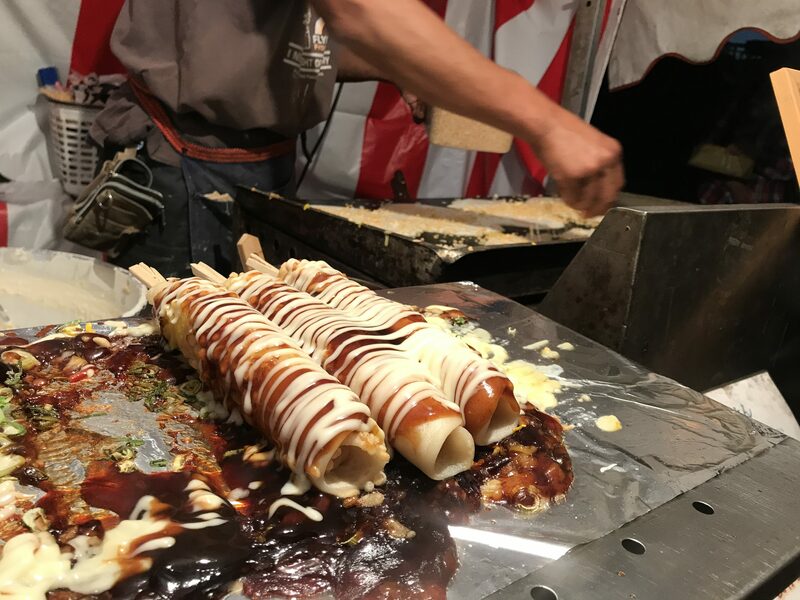 it was some sort of crepe-ish looking thing on a stick, covered with sauce and drizzled with mayo like Okonomiyaki, but clearly wasn’t Okonomiyaki… I still don’t know what this thing was called, but I DO know that it was made of… Yuba Yam flour, stuffed with a chunk of cheese – it was so delicious! Finding out what this was and finding a recipe for me is now going to be an obsession, because that was so very delicious! Hunger satiated to an acceptable degree, I continued on up the mountain… there were still quite a few people there despite being dark, but I made my way up the first section of Torii Gates anyway in hopes that a zillion people would not be taking the full hike to the top of the mountain. 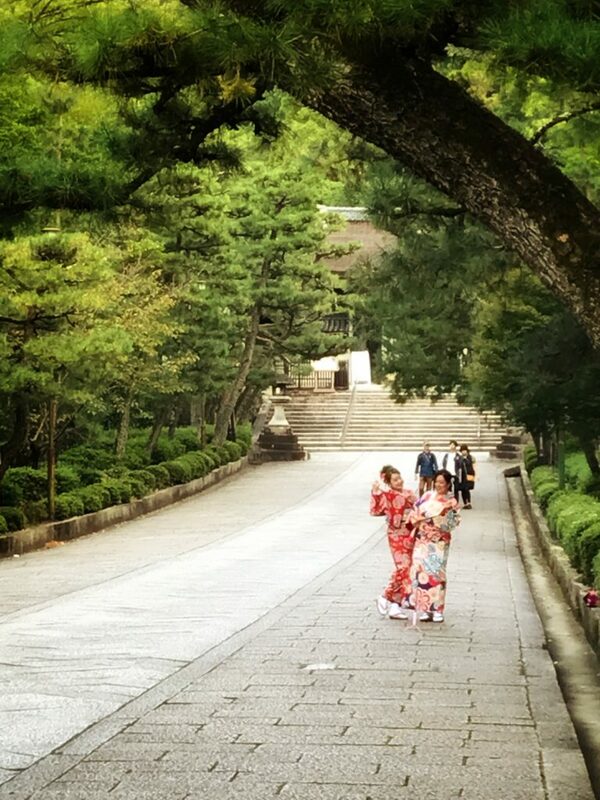 I got to the point where the path starts to get steeper, the section that leads to family shrines, but it was CLOSED. Oh, I was so very disappointed! 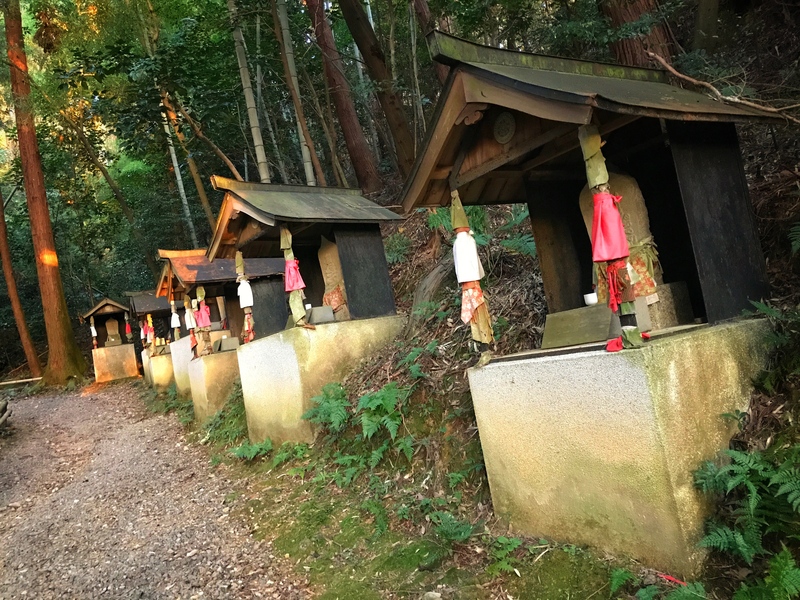 Every time I have been at this shrine I have not had the time to go to the top of the mountain, and now that I had the time… no entry. Sadness! Perhaps I will try again tomorrow! 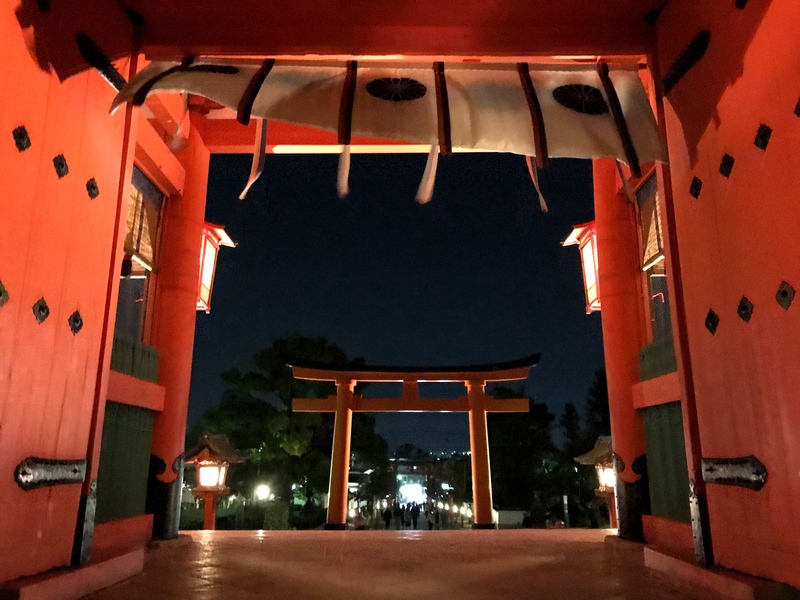 No matter what time of day or night, the Fushimi Inari Torii Gates are an impressive sight that I will never find boring. This kitty ignored a guy wanting it’s attention, but he posed for me and then insisted that I give him and three other ladies ALL of the loves! 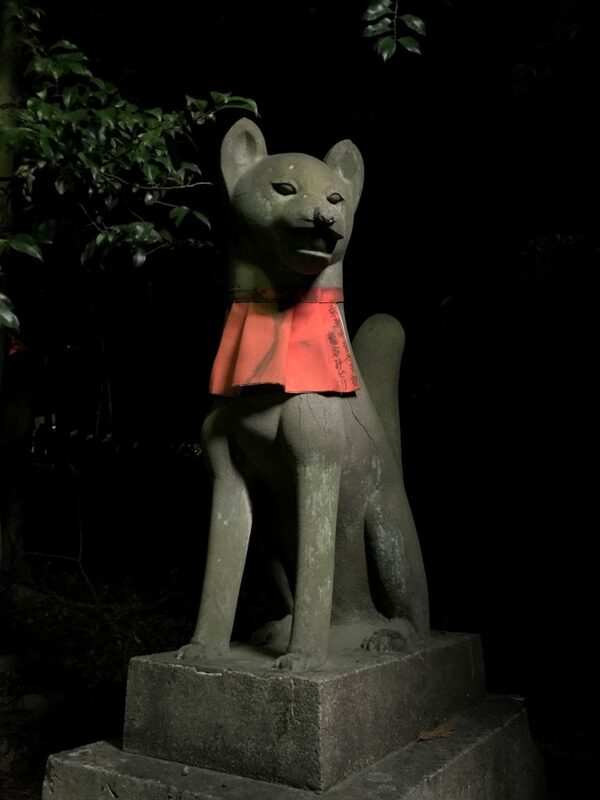 A regal dog watching over one of the shrines. Peeking Boo is looking at YOU! 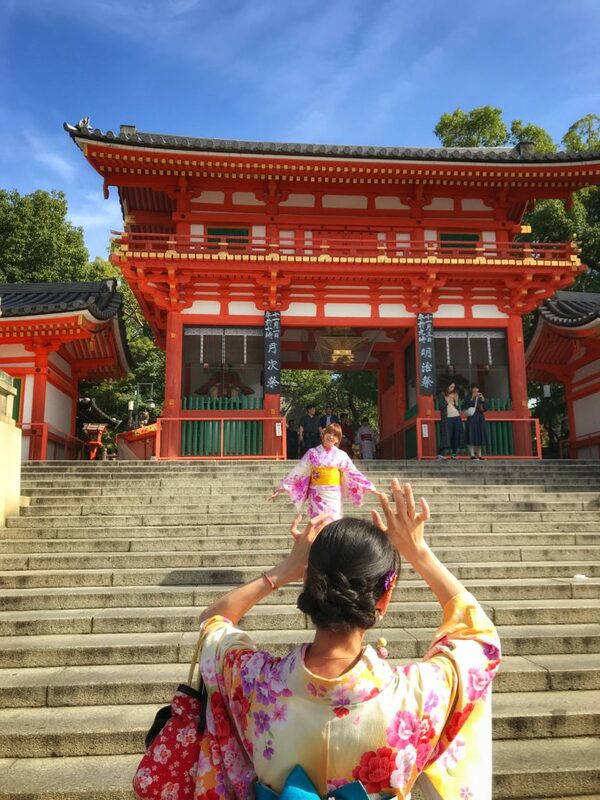 Main Fushimi Inari-Taisha Torii Gate – if I were to magically make this photo pan down, you’d see the long approach to the gate… and at the end a Daily Yamazaki conbini! I waked the 1.2 miles home, happy and peaceful, thankful and determined to continue my week in pursuing good things in my life. Brent is one of my oldest friends… we go way way back… as far back as almost 24 years ago, when Netscape Navigator was what you used to browse the web, and back when LASER TAG was THE thing to do… especially at Ultrazone in Milwaukie, Oregon! Brent and I met at Ultrazone, a place where I met a handful of people that I am still proud to call my friends to this day! He’s from the greater Portland area, and I grew up there too. 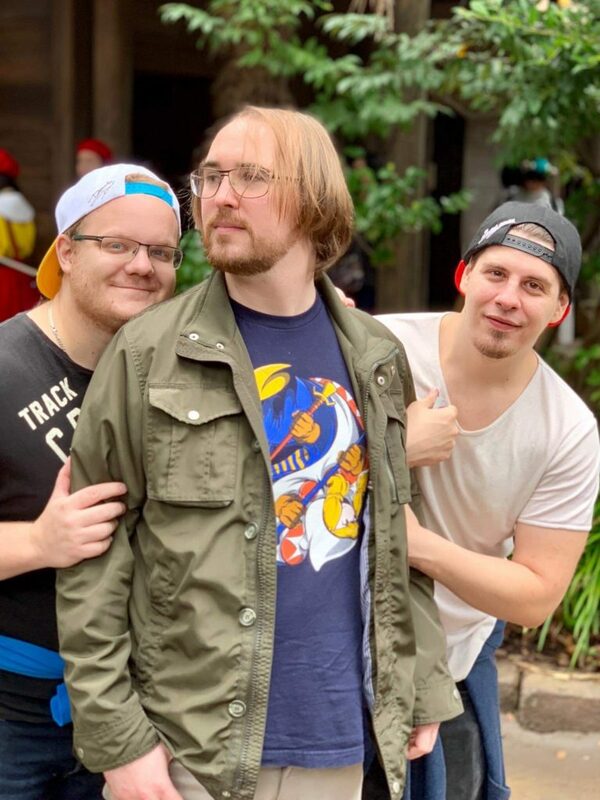 Brent has been living in Japan for 10 + years at this point, so naturally we new that we had to meet up at some point so I could meet his wife and baby boy too. Apparently a Game Night happens once a month at Brent’s house… actually it’s more like a game day since people start arriving around 11 am and drop in when they like, stay until as late as everyone wants to continue playing. 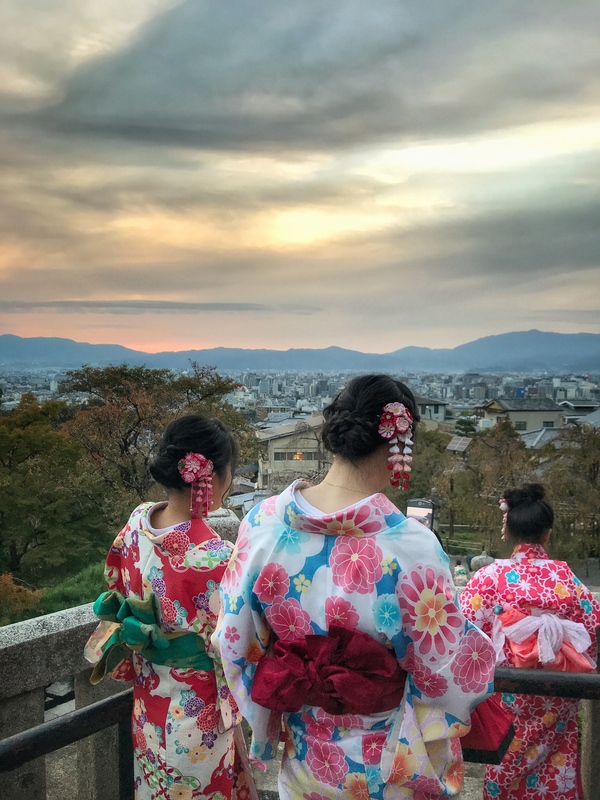 When I was first invited I wasn’t certain when we would be leaving for Kyoto, but once I knew the date I quickly accepted the invite. 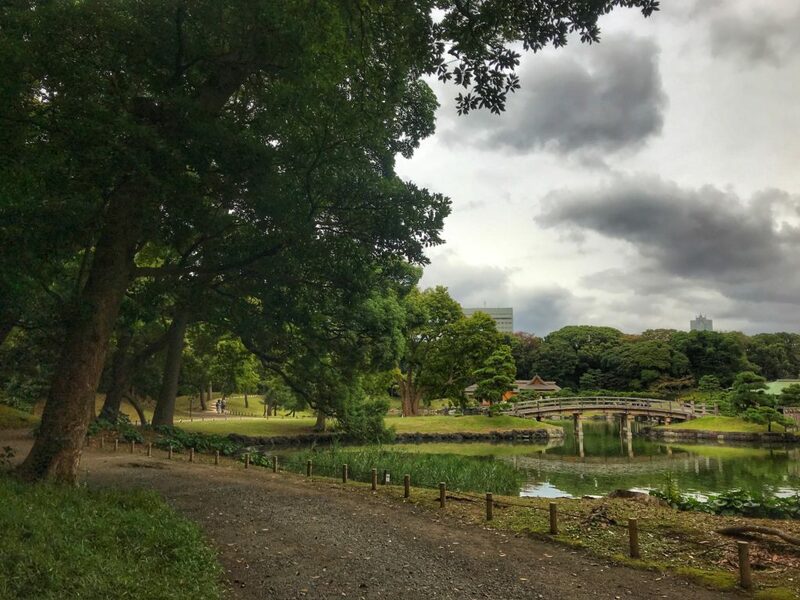 Brent and his family live in the Adachi-Ku region of Tokyo – kinda far from the center of the city so the normal hustle and bustle is far removed from there… it’s definitely more neighborhood-ish and less urban and a refreshing change from throngs of people around. They live in a three story detached house… think like a townhouse, but not attached to a row of townhouses. It’s like a tall, square house. First floor is two bedrooms, bath and laundry room combined – a separate tiny room with the toilet and plenty of storage spaces. Second floor is living space and a roomy kitchen with every inch of possible space used wisely for storage. Top floor is bedrooms also. I settled into a comfy spot on the arm of the sofa, and we all played a round of Fibbage… then another and another. 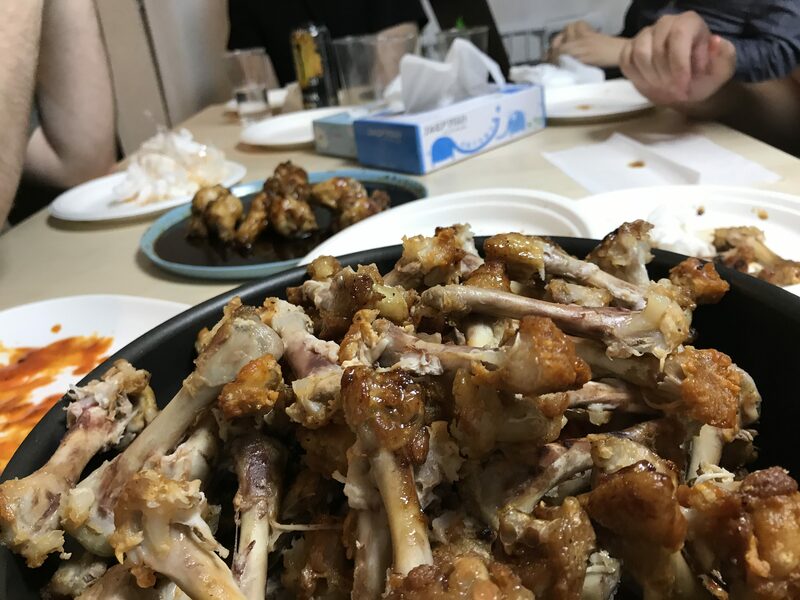 A couple more people arrived and three of them went to the grocery store to get chicken wings that David was going to cook for everyone… we all chipped in the Yen and David does all of the cooking – what a nice guy! The whole time they were gone we played The Great Dalmuti, a card game that Richard Garfield of Magic the Gathering fame, although The Great Dalmuti is absolutely nothing like MtG! David cooked wings and we played Dalmuti, then the table was cleared and we quickly demolished the first batch of wings, then another, then another… he made some REALLY spicy ones that referred to as “Death” – aptly named as the longer it was after consuming them, the more hot my mouth and lips became – I literally had sweat beads on my face from these wings! 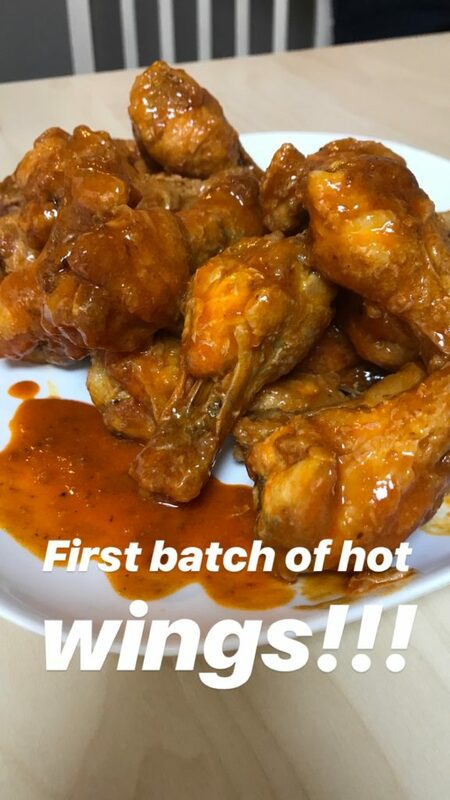 Thankfully batch 5 and 6 were not as spicy and thus I did not die. 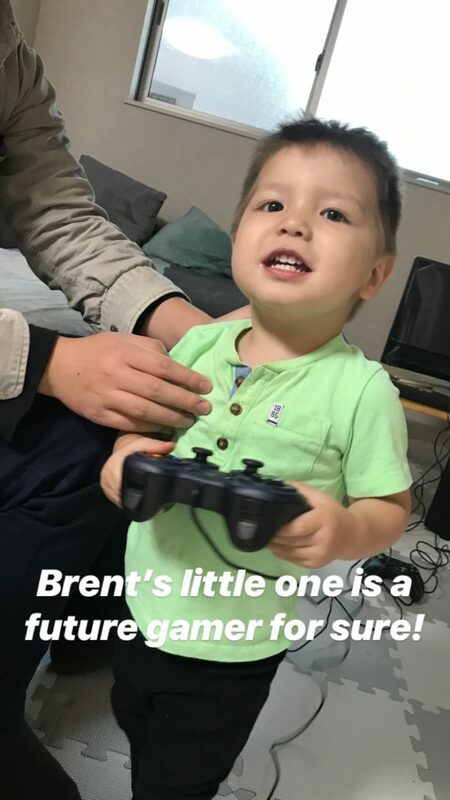 I played Overcooked with Brent and Kyle-Kun his son helped – Kyle is a year and 8 mos old and is already promising to be a gamer! 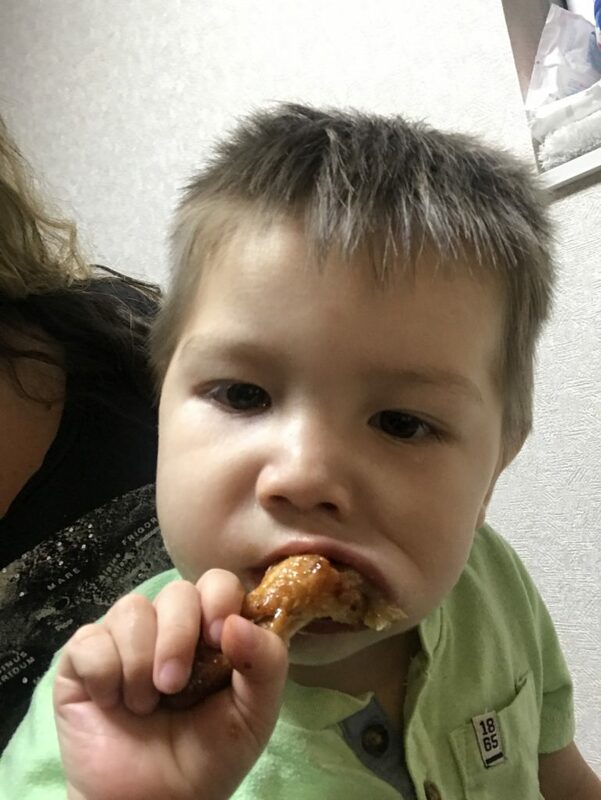 Kyle wanted his own chicken wing. After wings Magic the Gathering was played and since it’s been way too long since I’ve played and I have no idea what I am doing, I just watched and then had to leave early around 7 since I knew that I needed to finish packing up and getting to sleep early for our trip to Kyoto the next day. It was great to meet so many new people! 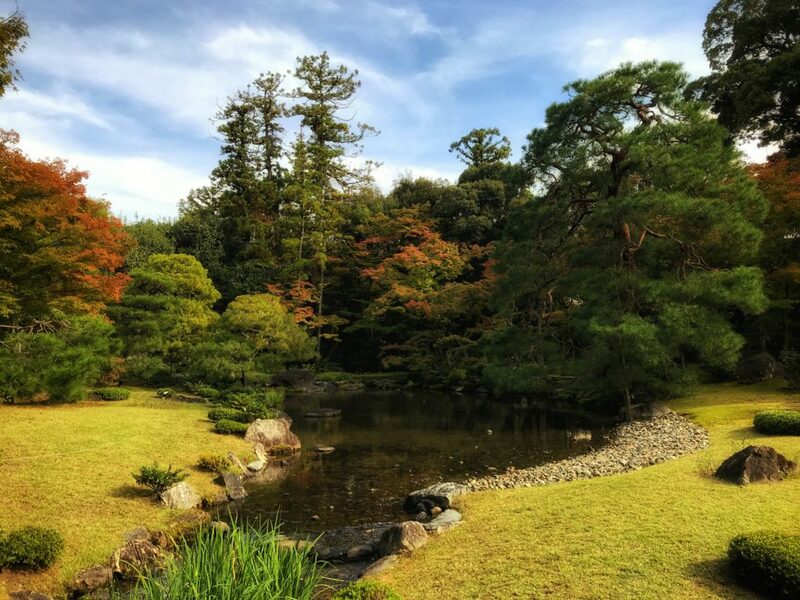 It had been planned all along that my group and I would travel to Kyoto toward the end of their stay here in Japan, and the beginning of the middle portion for my own stay. 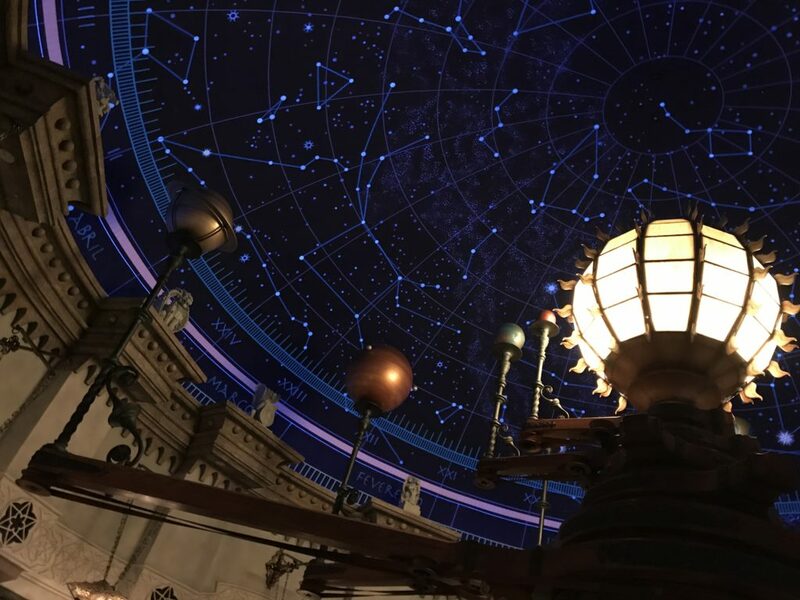 In talking with them about getting the tickets, for an inexplicable reason I thought they told me that they would be purchasing the tickets this week… as it turned out, they had ALREADY booked their tickets and had to pick them up from Tokyo Station! I started to get worried, because they used a booking agency to purchase theirs and I was concerned that the number of non-reserved seating would be sold out by this time. So, after I finished working this morning, I traveled to Tokyo Station with them to see about tickets. They started the procedure to pick up their tickets and once they had all of the pertinent information, Joy explained the whole process to me, and showed me how much I could save by booking through the same website. So, I walked up to the kiosk and had a number assigned to me. 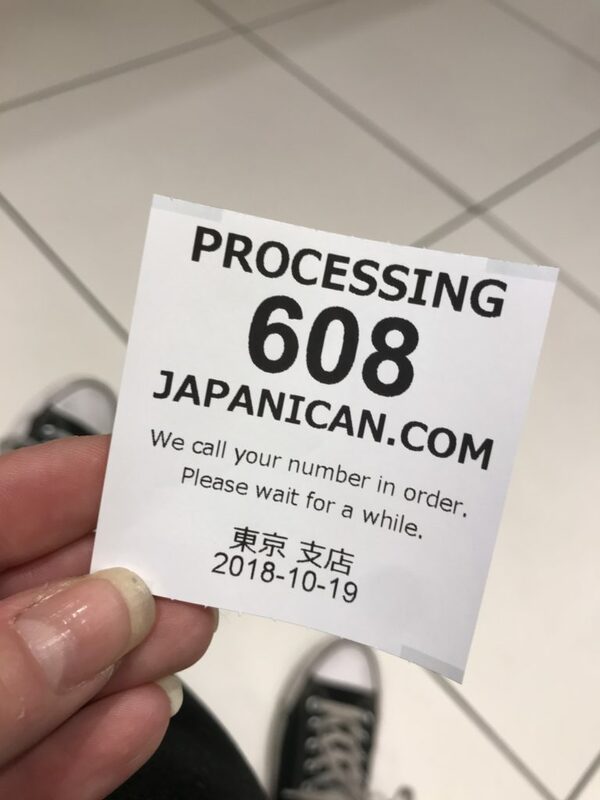 My ticket for my place in line – 608 was the number but not indicative of how many persons were waiting! Since I knew there would be a bit of a wait, I went ahead and booked my tickets online, right there on my phone. Now, I know that smartphones are clearly not a new or novel thing but it still delights me that you can do practically anything anywhere, and it was quite convenient to already be in the queue to pick up tickets, purchase tickets while waiting and then picking them up minutes after! The process online took merely 2-3 minutes and my wait in the queue was around 10 minutes, plus another 3 for the tickets to print. They must have a slow printer! Tickets in hand and much relieved to actually HAVE shinkansen tickets… at a 22% discount too! 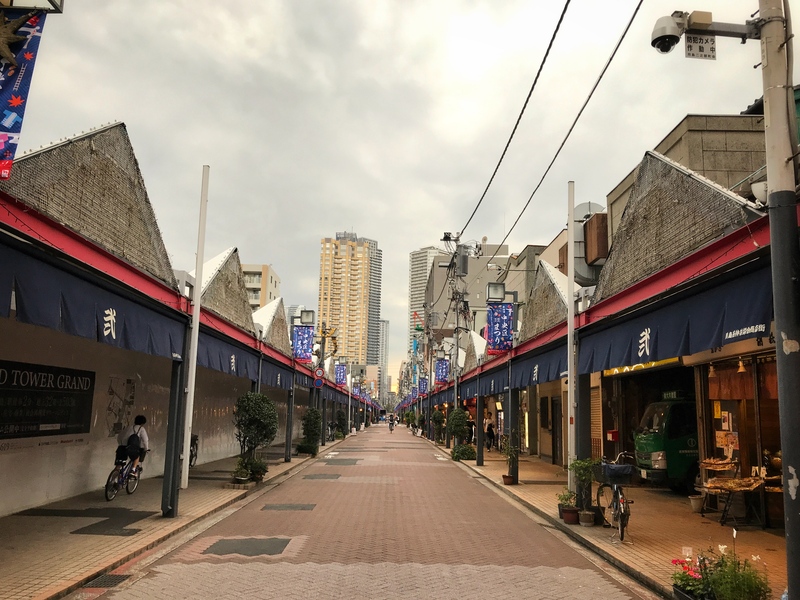 We then took a stroll into the Minato Ward… I was feeling the nostalgia hard at that point because I recognized so many places that I would walk past or visit during my time here in 2015- definitely not a touristy area and I love that it’s sparsely visited because there are fewer people. Paulina needed to visit Daiso, and I stopped along the way to take some photos. I caught up with them a few minutes later and we decided on eating Burger King since it was near and burgers sounded delicious. I hadn’t eaten Burger King in 3 years and it was also in Tokyo (Odaiba) … I can’t even tell you how long its been since having BK in the USA! Not an eventful day for adventures, but certainly a day of getting things done. It was a productive day. I woke early and did work all morning long… managing the amount of photos that I take can be a daunting task if I let things slide for a few days and do not edit, sort and organize it all. … that’s exactly what I did for the last few days and it was weighing on me. It took me 5 hours to get it all done but oh that was satisfying to see it all finished! 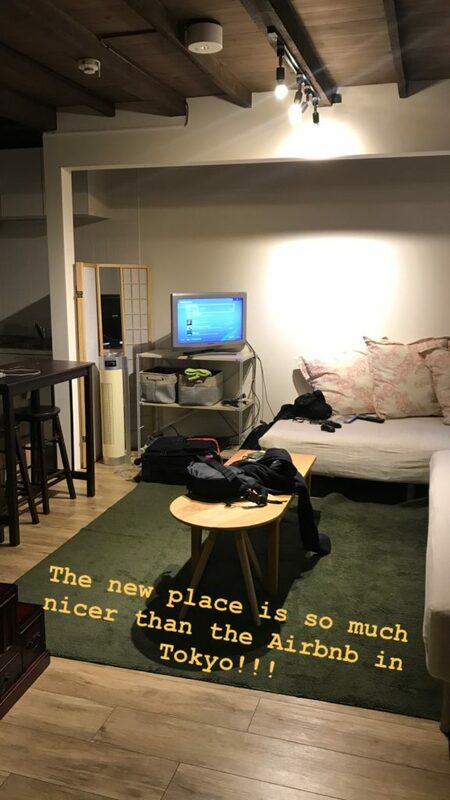 It then felt as if I could get on with my day, so I took a shower and left the house to join my Swedish friends in Akihabara. First order of business was to help Joy find a new battery for his phone… this was not a fruitful mission, we think because the phone model was so old and no one carried batteries for it any longer. 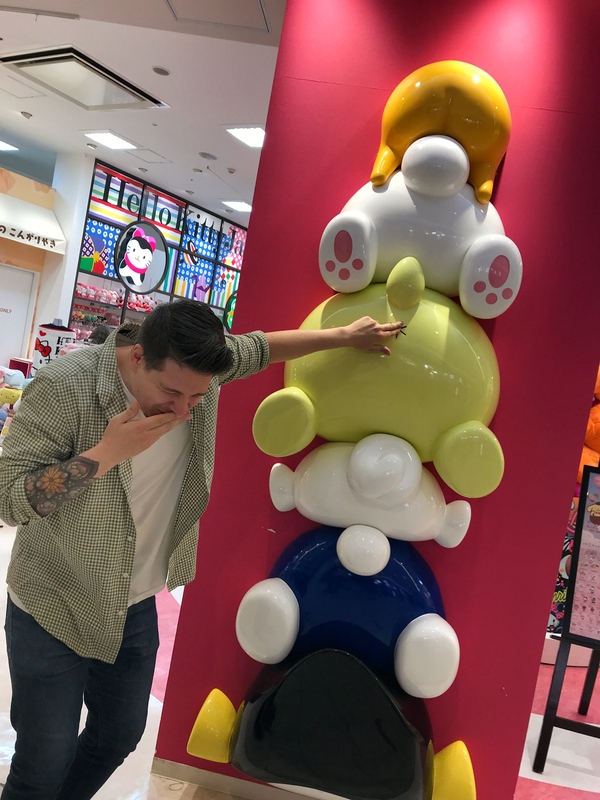 That mission abandoned, we moved on to Donki to look for a few small essentials… we all spent more time there than we expected and ended up in the arcade there for DDR, of course. I only played one round, since I didn’t have on the proper clothing to get all sweaty in. The prices were fair. 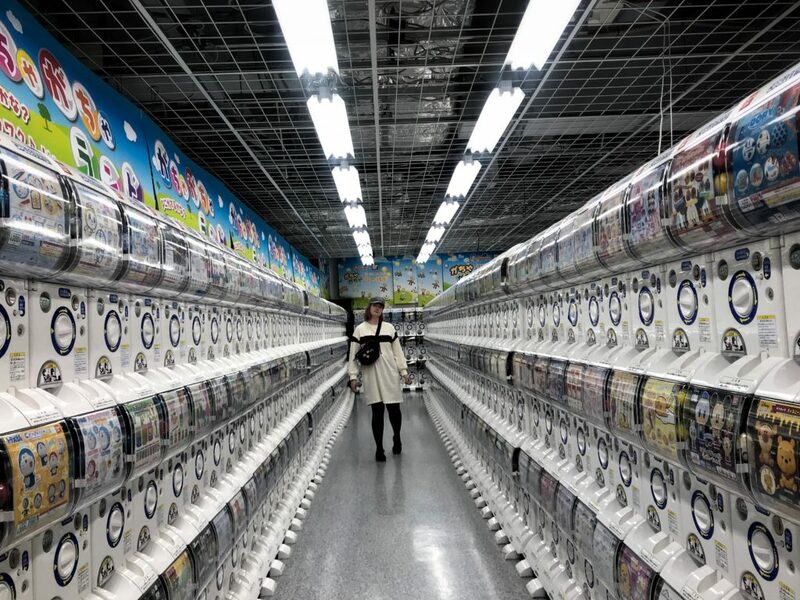 Compared to a large number of other stores in Akihabara that also carry the same or similar products, the average prices of things was lower. Used goods. They had a large selection of used goods that were CHEAP CHEAP CHEAP – always in good condition, sometimes in damaged original boxes and sometimes not in a box at all. I picked up two figures – both from Persona 5 – the cheap prices on these were too good to pass up! I spent more time in this store than I expected to – I am not into Anime but I really do appreciate the art and talent behind it all plus the details on these figures were so incredible that I wanted to take my time browsing. There were a few that I really wanted to take home with me, but I passed. A Konatsu Kappa! 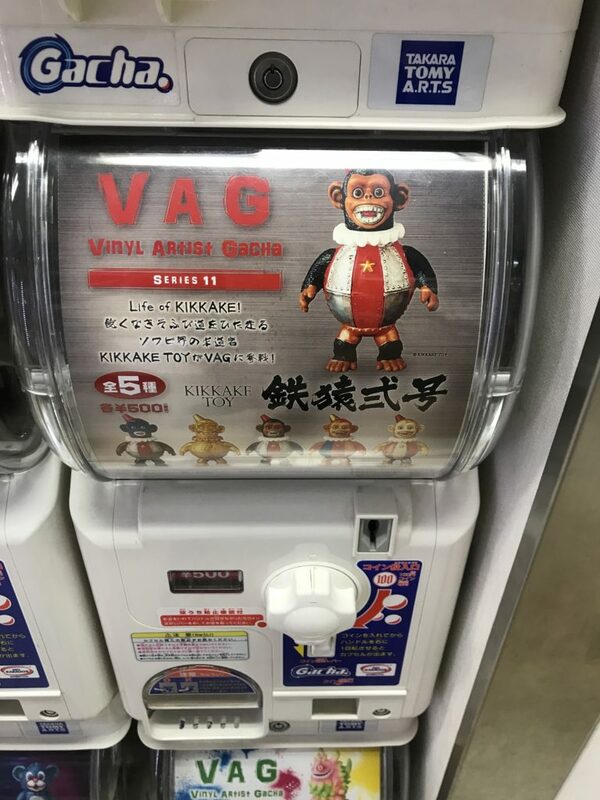 It was from an older fun of VAG series, so I was really surprised to see this here – I thought that I had missed out! Creepy mechanical monkeys – I could not resist! Walking up to the VAG gasha machines, the Morris figures were sold out! 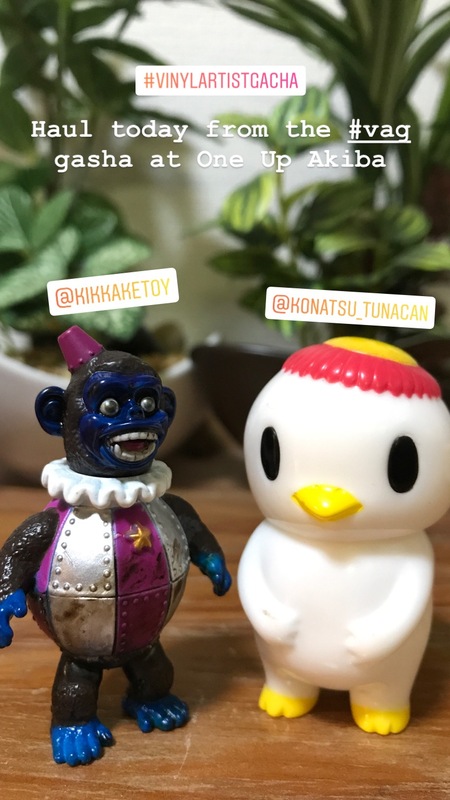 I did find two that I wanted… one from Konatsu, a Kappa and another from KikkaeToy, which is a scary looking mechanical monkey. 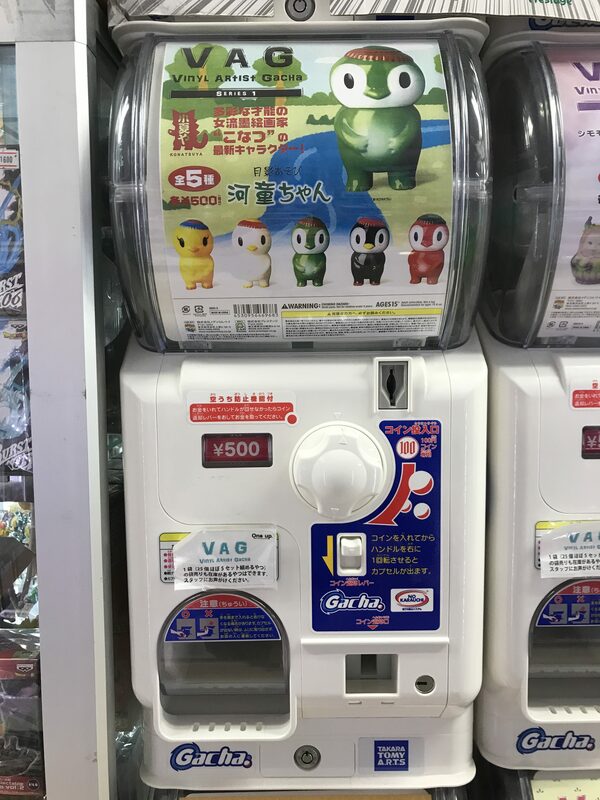 It’s difficult to walk away from these machines because I want one of each color variety, but you don’t know which one will come out so it’s a bit of a risk! But alas, I do have good self control so I walked away after getting just these two. We spent so much time at these stores that it was quite late and many places were shutting down for the night so we headed home. I had a quick and cheap Lawson conbini dinner before collapsing into my bedroll and passing out. FWOOOOOOO! Today was AWESOME! I AM OVER THAT COLD and energetic AF! 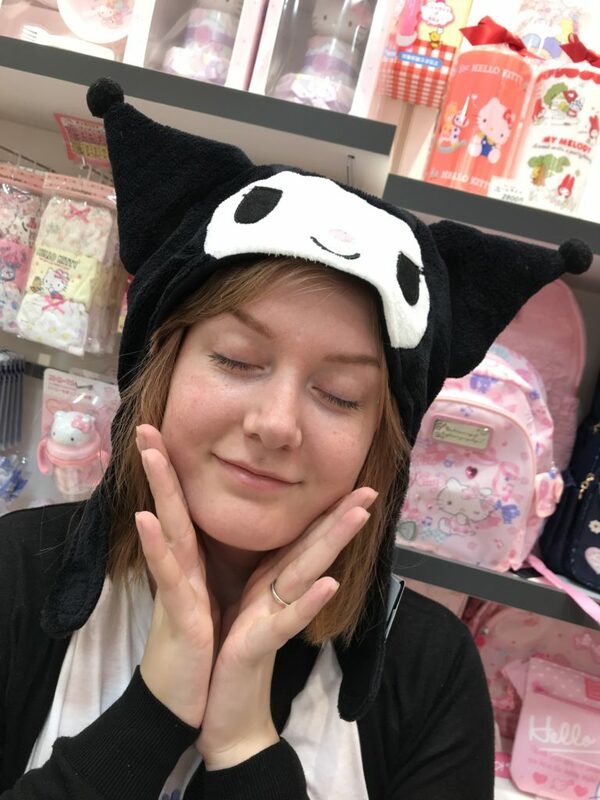 Back to my happy bouncy self, I was ready to take on the day and it’s a good thing that I was ready because the plan was to visit Odaiba and Joypolis! The others wanted to leave a bit later than I did, and I was STARVING so I decided to take the half hour walk to Asakusa to get some ramen. 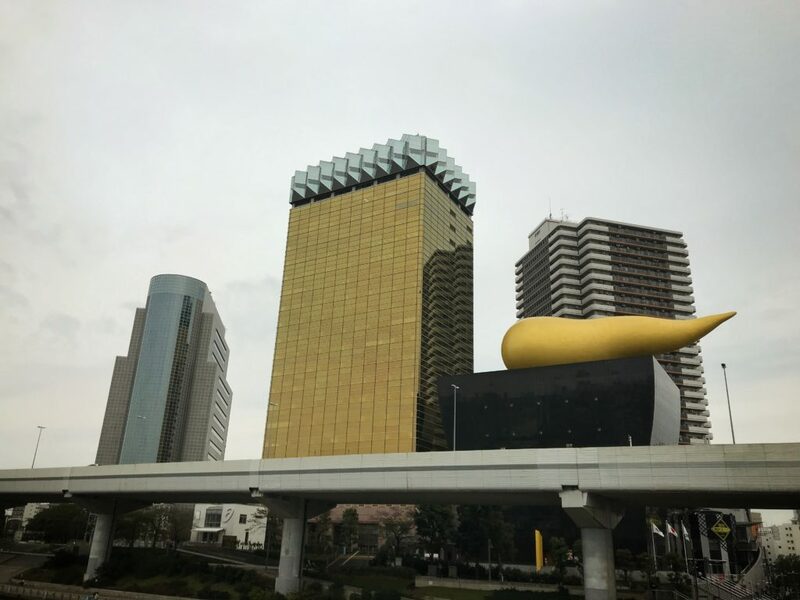 I walked past the Asahi building for the first time and saw the golden squiggly cloud thing? up close. 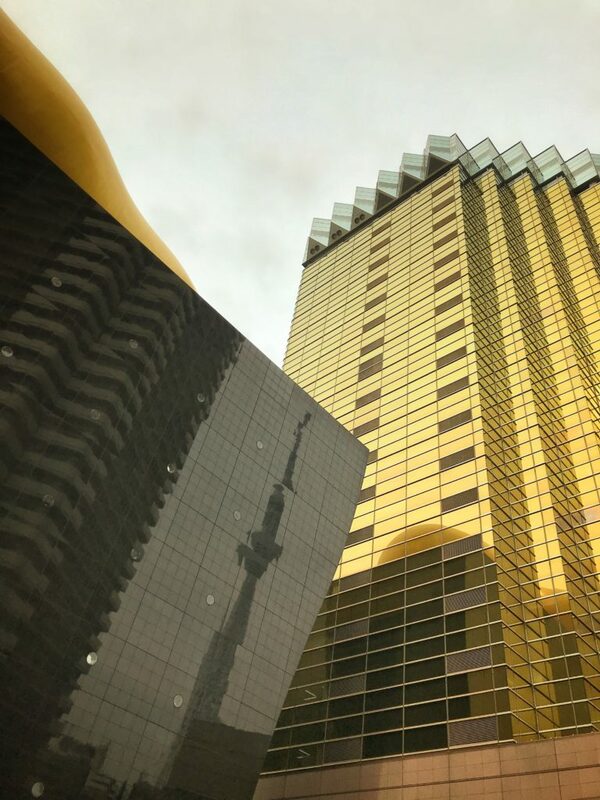 Got a nice shot of the golden building and the reflection of the Tokyo Sky Tree that is nearby, too. Look closely – you can see the Tokyo Sky Tree reflected in the black building’s windows. 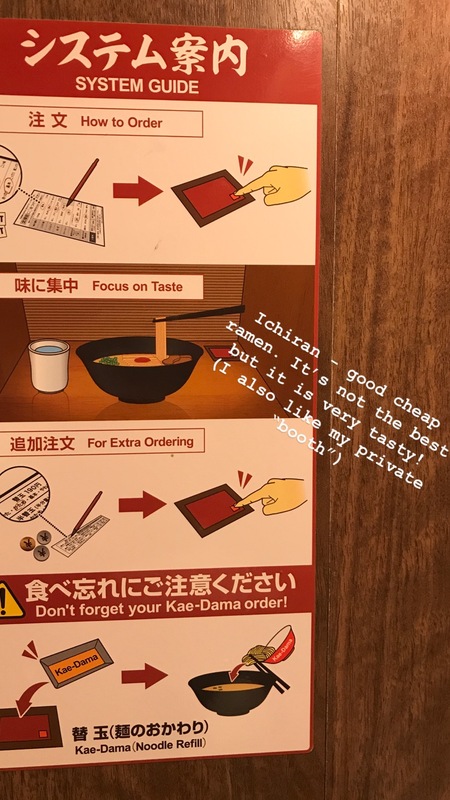 I had my heart set on Ichiran, which is not the greatest ramen – if you’re looking for something more “gourmet” or “complex”, this is not the ramen for you. 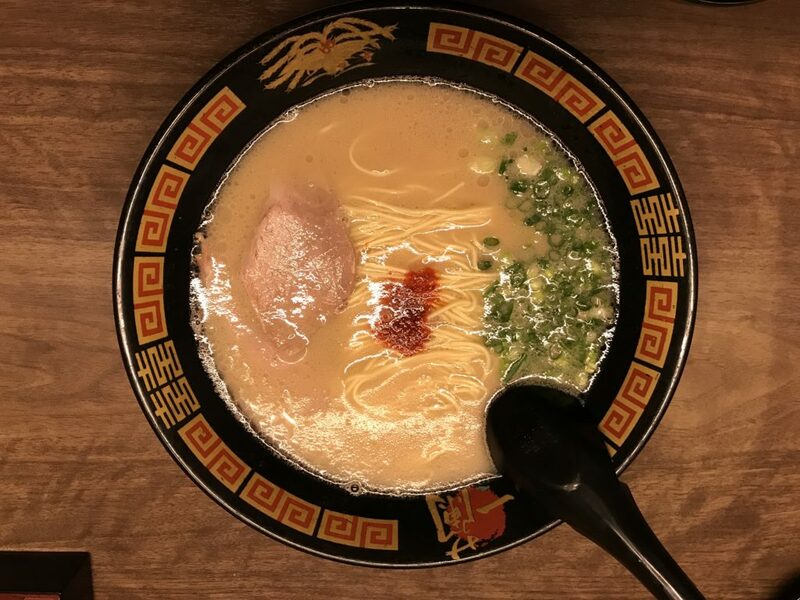 The sort of ramen that it is would be summed up as comfort food. It’s tasty. It’s hot. It’s noodles and gosh darnit I love me some noodles! 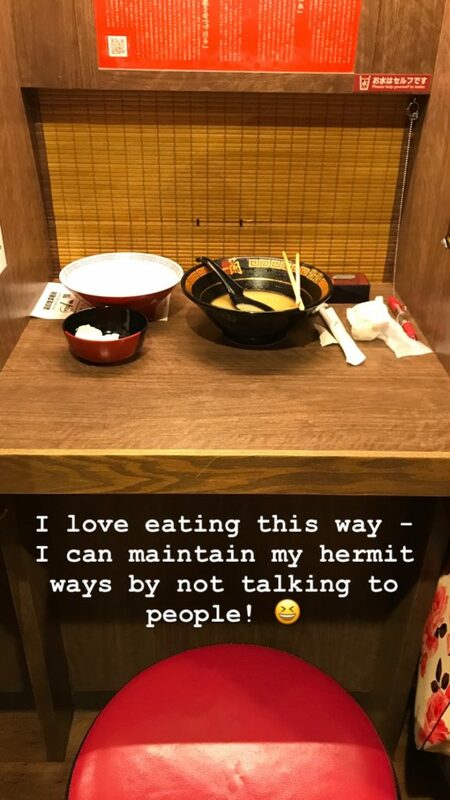 This particular location had table service as well as the usual counter service – I chose counter service because I tend toward being a hermit side anyway, especially if I am dining alone. It’s not that I hate people, but when I’m alone, I want to be…. alone! It’s cute that they give you instructions at your “booth”. 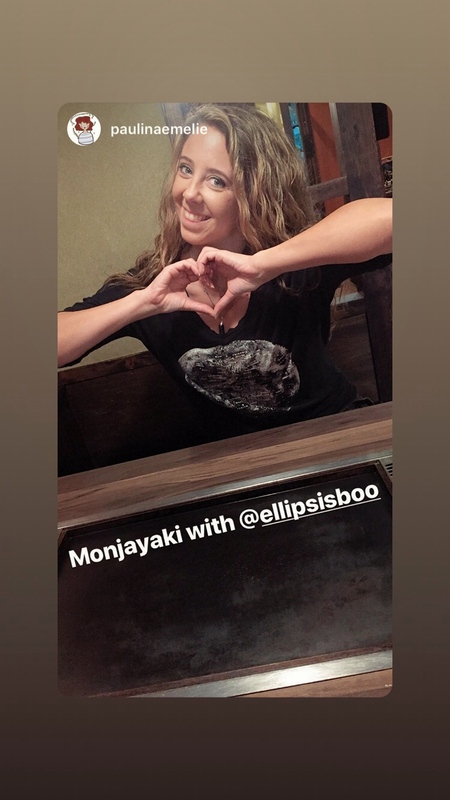 It’s basically a long counter with removable dividers between each seat – if you’re with someone, you can fold that divider in so you can see your friend. In front of you is a wall, with a window at the bottom portion. 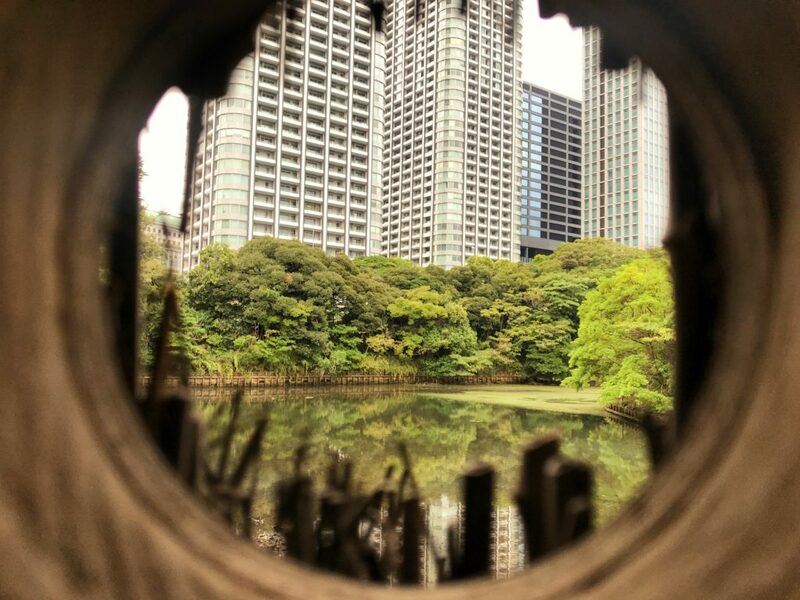 There is a bamboo shade that get’s rolled down after your food is delivered to you – through that window. They will announce your order and slide your food to you, but all you see is someone’s hands and legs and then SWOOSH goes the shade and you have privacy once more. Had to have the side soft boiled eggie, of course! Ordered kae-dama, which is a noodle refill – a nice thing when you have more broth just going to waste. Here you can order a half or full kae-dama – half was just enough for me. Here is a view of the whole booth – hither to fore, I’ve not been bold enough to step back and take a photo because there were others around on previous visits, but this time I went for it. Silly Boo. Best dining option or best dining option? Eating out isn’t always about being social. Best dining option, or best dining option? Eating out isn’t always about being social. 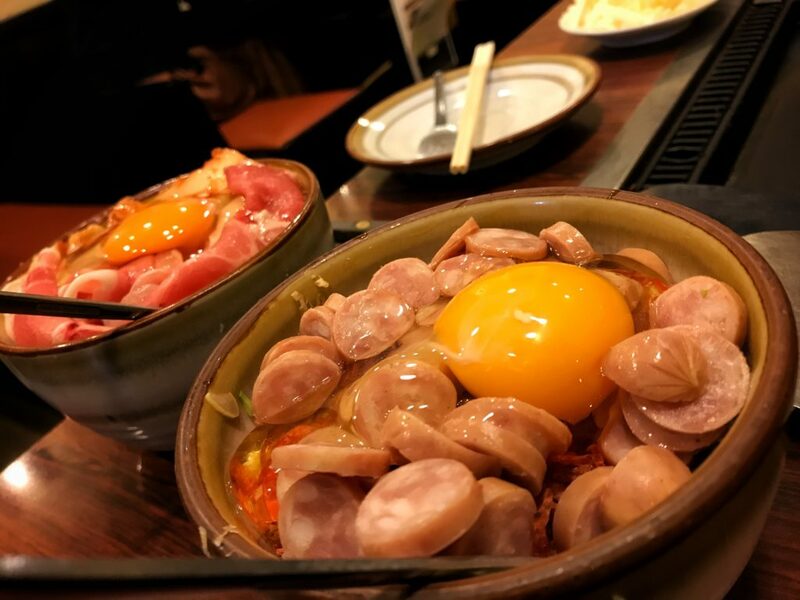 Right as I was finishing up my lunch, I received a text that the group was heading out soon, so rather than explore Asakusa I headed straight to the train station to spend a little more time on my own in Odiaba before they all arrived. I headed straight for the waterfront near the Statue of Liberty, since that was close to Joypolis and where they would be arriving. It was nice to sit in the salty air by Tokyo Bay and just relax for a while. I miss the ocean. I was really missing my tree friends and hiking back home – I was a bit homesick today, wanting my home comforts and my hikes in the woods. 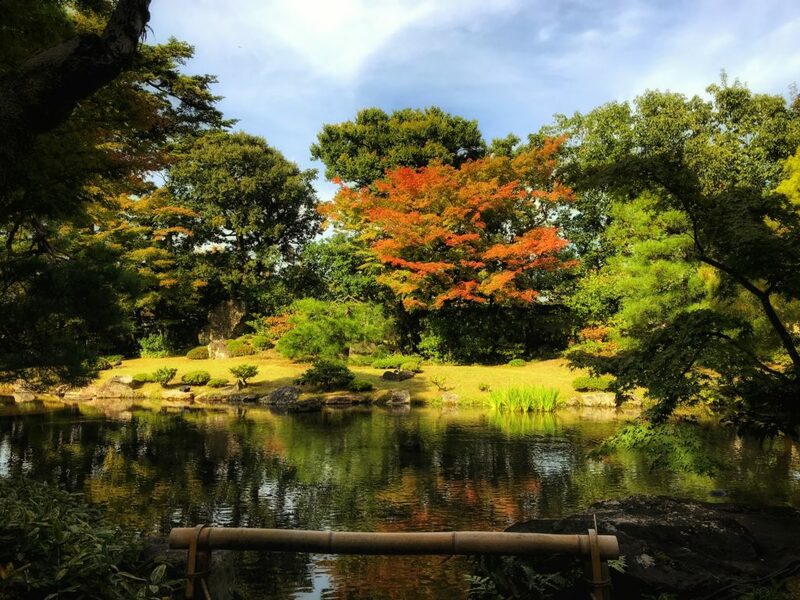 Not to say that I am not grateful to be here in Tokyo, because I most certainly am… a bit of homesickness is healthy and to be expected amongst the fun and adventure. 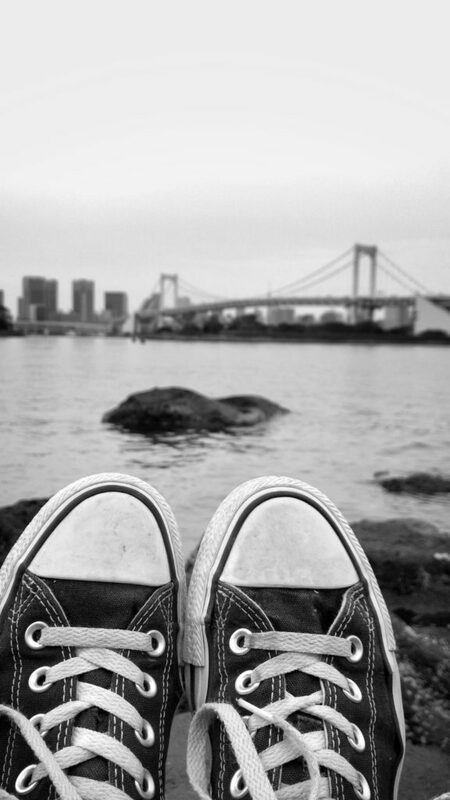 My feets and Tokyo Bay – in the background is the Rainbow Bridge and what you cannot see is the Tokyo Tower and also the building that I lived in during Spring/Summer 2015. Much reflection was had at this waters’ edge today. Somewhere around a half hour to 45 minutes of quiet reflection by the bay was had, and then I met up with the group. 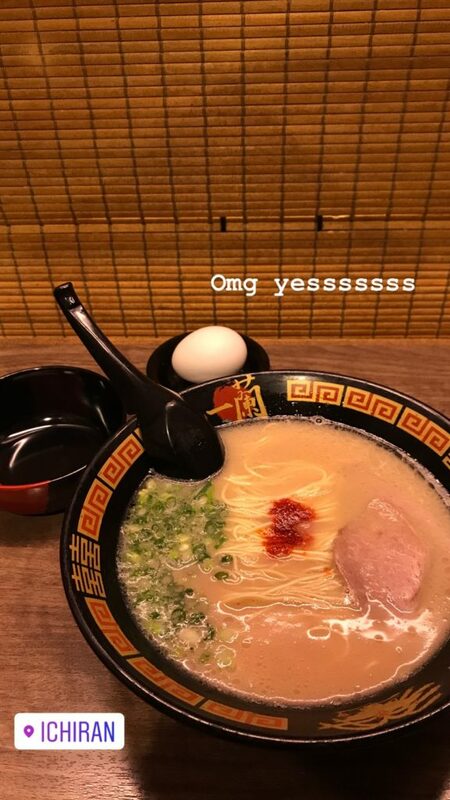 They were hungry so we went to what amounted to a ramen food court at Aqua City – seriously awesome to have that much choice! I was only snack-y at that point so I had a few gyoza and called it good. They were delicious. 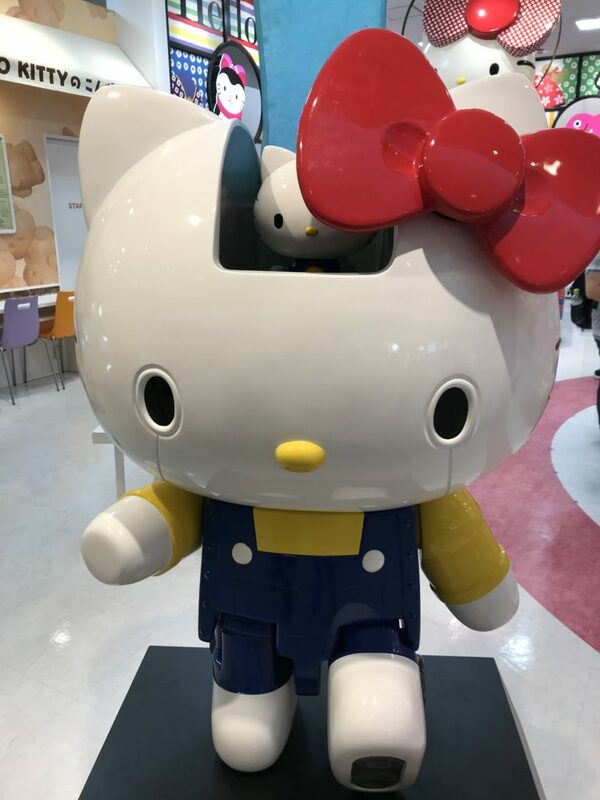 Hello Kitty Gundam at the Sanrio store! 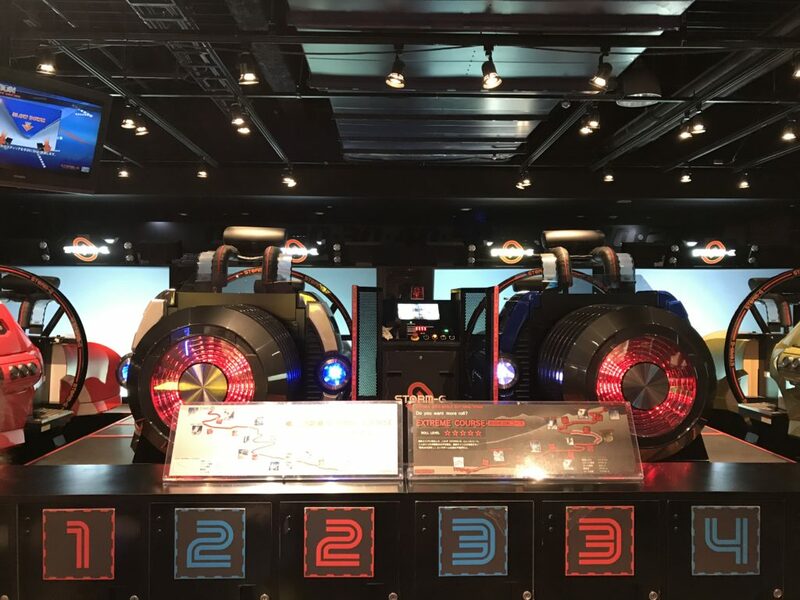 … and also a few minutes at Round One (no pics) before we went to Joypolis. 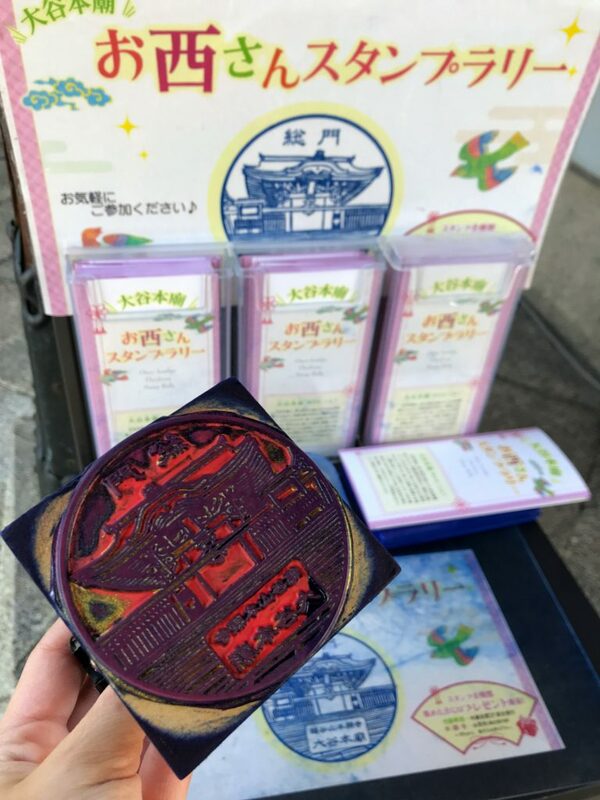 It’s discounted after 5pm, and discounted a further 300 Yen when you show your passport too – we were so excited to play! There are three floors of fun. The first thing that we queued up for was the Halfpipe Tokyo. You strap in and stand on a board, two people per board. You are both facing opposite directions and the center of your board tips on an axis… as you swing in the half-pipe, you have to coordinate which way you rock your feet on the board in order to make your board spin as it swings in the halfpipe – it’s harder than it sounds to get both of you coordinated, since one of you has to rock forward and the other back, since you’re facing opposite directions. Communication is key! Halfpipe Tokyo was a BLAST to ride! Then we went on a roller coaster that is suspended above the first floor – I rode this one alone so the other 4 could ride together. 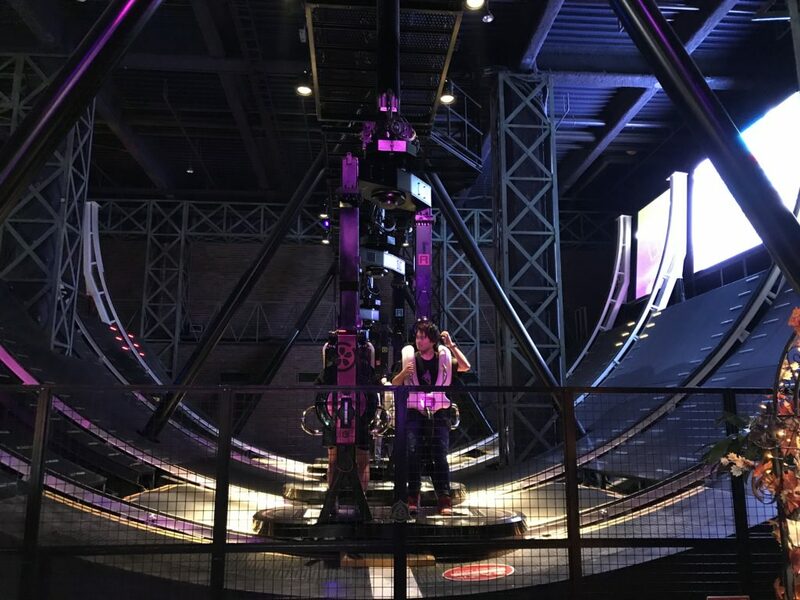 It’s a rhythm game as well as a roller coaster… three buttons on the harness that goes over your shoulders and during the slow portions of the ride there are projection screens in front of you with circles scrolling to the corresponding buttons on your harness. 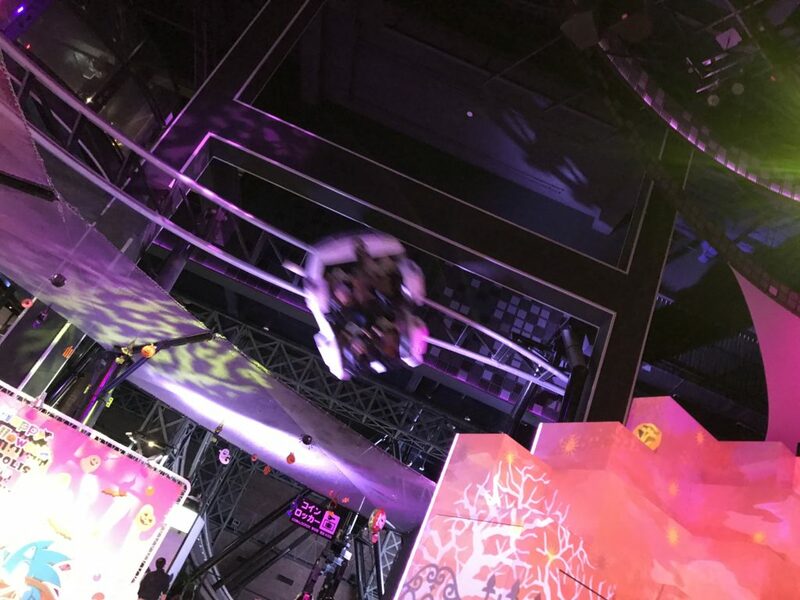 You play against your fellow rollercoaster car-mates (if you have any) and your winning scores are displayed at the end of the ride… after you go through a series of twists and turns above the first floor! There is also an anime of sorts playing as you are challenged by the rhythm game. I have no idea what it was all about because I was paying attention to the rhythm of the music. The Swedes riding the rhythm rollercoaster! The lines for attractions were not very long at all, I suspect because it was a weekday – this was a very nice thing indeed. Creepy doll is creepy… she lured me into an experience of terror. I HAD to check this one out, and ended up going in alone… well, sort of. There were two Japanese teenage girls that went in ahead of me… The guide tells you the backstory of which I understood nothing, since I don’t speak/understand enough Japanese to catch the drift… you enter through a black curtain into a dark hall… there is a railing on your left side and you are admonished before entering to NOT let go of the railing, lest you stumble and fall… or be captured. The hallway leads to a small table with a candle and some creepy looking objects… behind you in the hallway sounds begin to stir… the two girls and I all gasped at the same time and giggled together… then a louder noise made us all jump and suddenly the guide was there again, looking creepy and opening double doors for us into a dining hall that can only be described as… not the sort of place that you would want to gather for dinner. 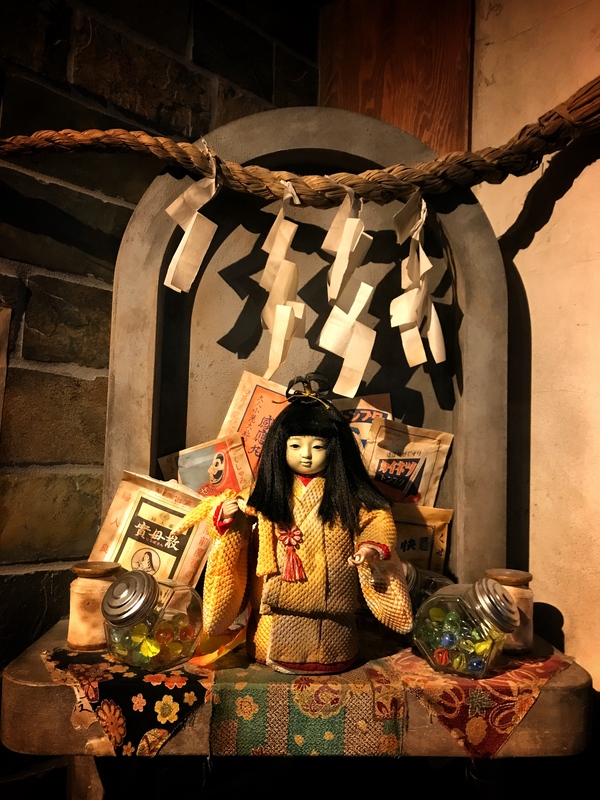 There was a long table in the center: above you on either side was shelving set into the wall… a small railing in front of rows of dolls in kimono… similar in kind to the one pictured above. Soft light gently illuminated them, casting eerie shadows onto the ceiling. In the center of the table sat a wooden statue, nestled into a circle of oddly shaped runes – the statue held a basket, presumably for an offering as it was facing what was at the end the room opposite the door from which we entered… a large life-size doll, with it’s insides exposed, sitting on a throne-like chair… collapsed, silent. Silk curtains billowed gently from windows un-seen… we were instructed to put on the headphones resting on the table in front of us. Of what happened next, I dare not speak… you must experience it for yourself. The Boys wanted to have their own adventure today. Paulina wasn’t feeling great after yesterday and I did not want her to spend the day alone, so I stayed with her. 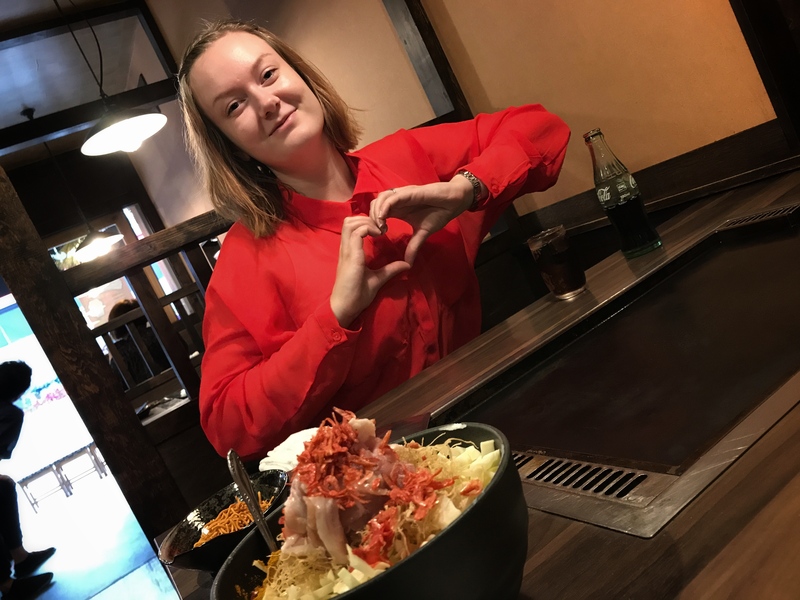 She expressed the desire to have Okonomiyaki so it was decided that we should go to Monja Street near Tsukiji – I liked that place that Chris took me to so much the other night, so we went there… but it was closed! Turns out that it was only open during dinner hours, and we were there shortly after lunchtime. We roamed the street to try and find a restaurant that looked good – about half of them were closed, I’m assuming because it was after lunch and mid-week. 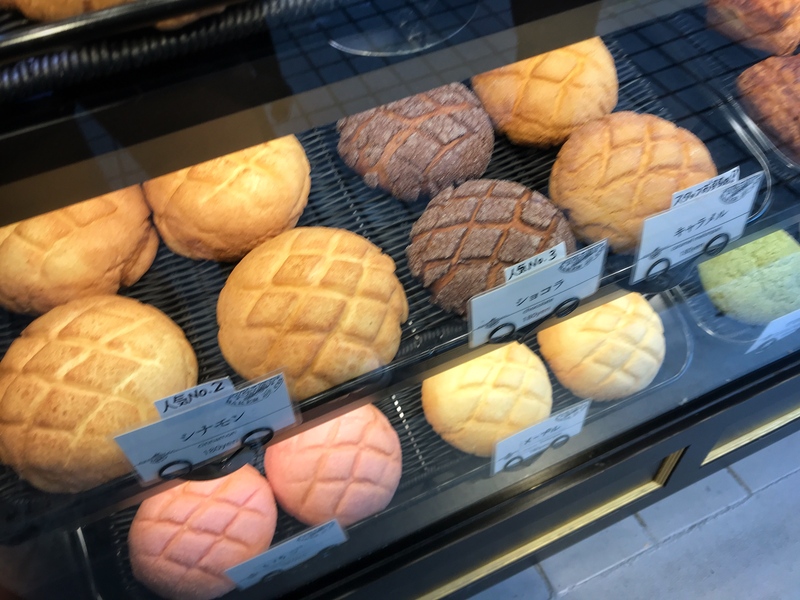 This still left a good selection of places to eat monja or okonomiyaki… however, we got distracted by two melon pan bakeries so we stopped to purchase some… one was from a place that I had previously visited with Kyle in 2015 that I knew I loved, and one was called Tokyo Melon Pan, which I had not tried before. I tried this back in 2015 and had to have another! Tokyo Melon Pan – many varieties of melon pan there. We saved our melon pans for later, in favor of finding our late lunch. 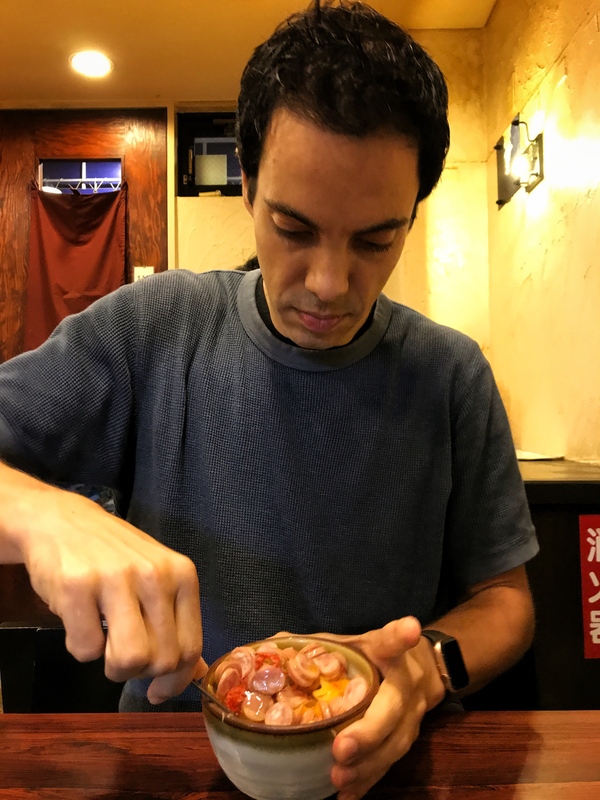 Finally we settled on a place with an enthusiastic dude who asked us to come in – we chose to share a curry monja! 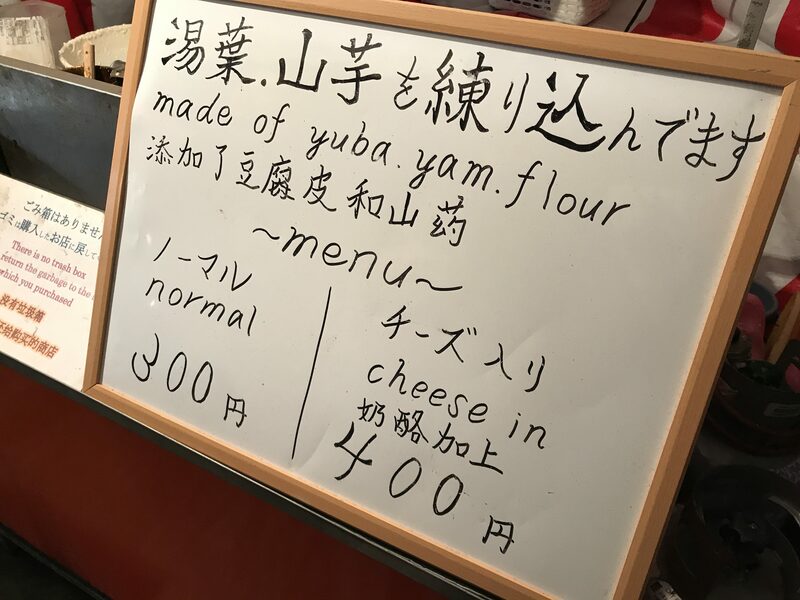 It was DELICIOUS and I’d definitely come back for food again! 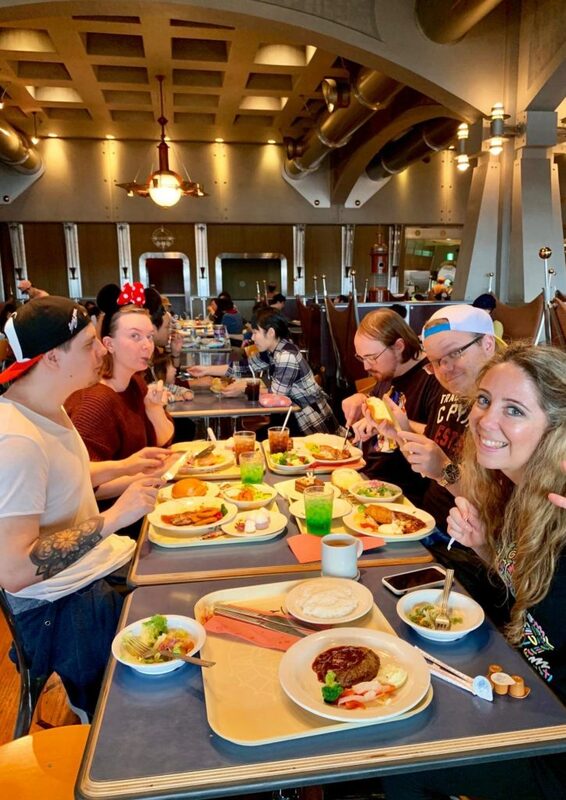 Part of the fun is cooking your own food but it was made even better by the guy who asked us to come in – he was very friendly and ended up talking with us about where we are from respectively and music – turns out that he really likes a Swedish band called Mando Diao! He was so enthusiastic and full of personality that we had to have our photo taken with him. He reminded me quite a bit of Natsuki, Chris Broad’s friend and a frequent personality that appears in Chris Broad’s YouTube videos… awesome dude! 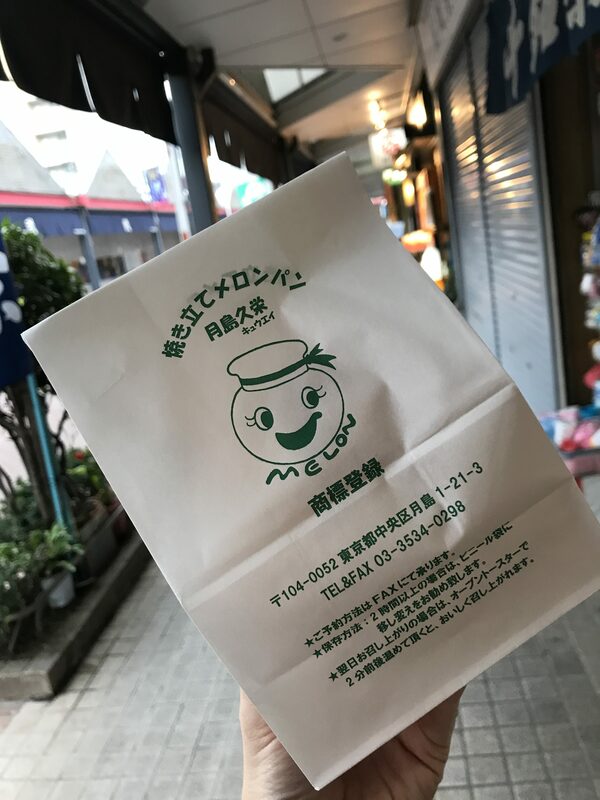 The monja was just enough to make us more hungry… but we saved our melon pan and opted to eat some cheap yakitori instead – again some food that I enjoyed with Kyle back in 2015 and wanted to try again. 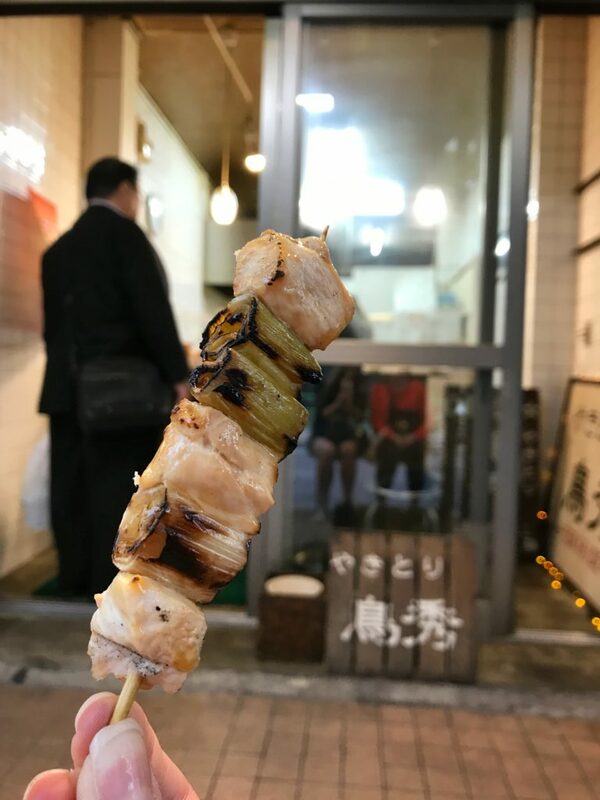 My memory of how good this yakitori is was spot on – very happy that we went here! Paulina seemed to enjoy it too. The photo is blurry, and I am only just now noticing this as I’m writing this blog entry. Oops. On our way to takoyaki, we saw Tsukiji Hongwanji, a temple founded during the early Edo period in 1617. The original building burnt in the Great Fire of 1657. 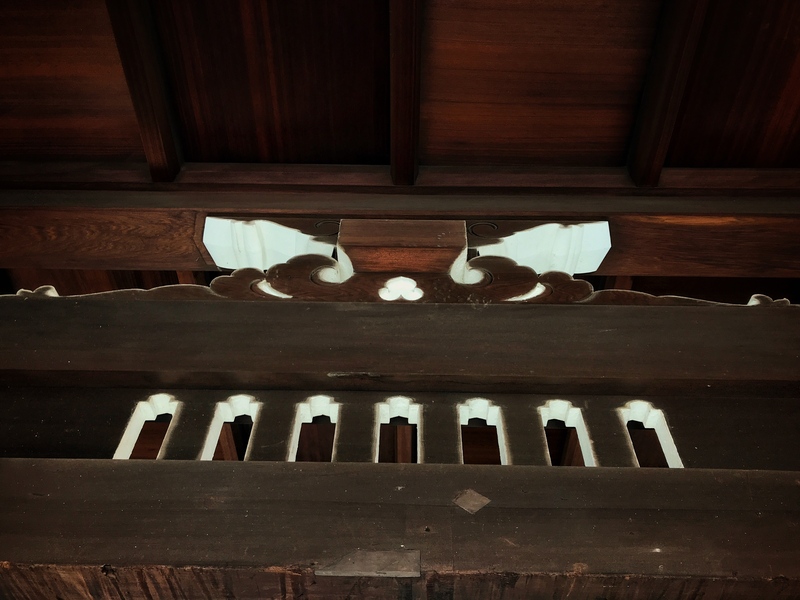 The current building was built by architect Chūta Itō – he was asked to build it in the style of Indian temple architecture and the results are stunning! 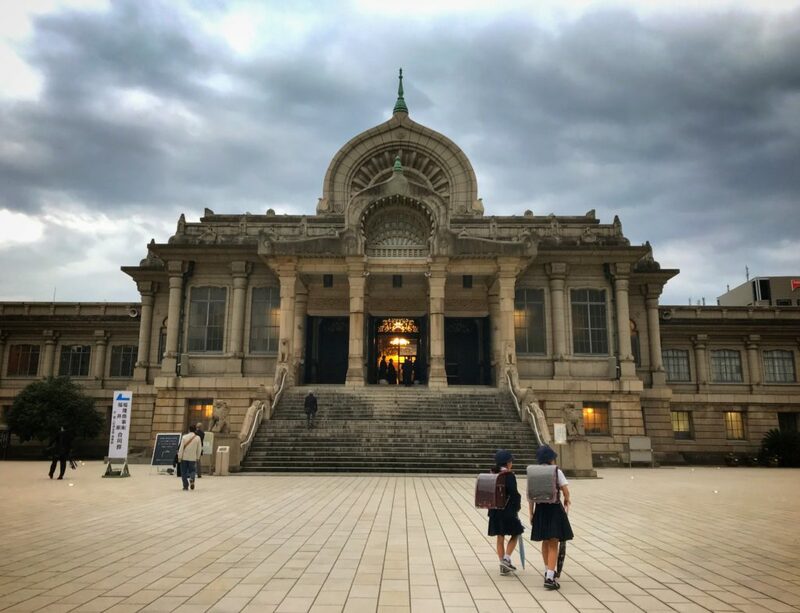 The temple was about to close for the day, so we only got to peek inside as they were shutting the doors to the shrine – perhaps I can fully explore the building another day. 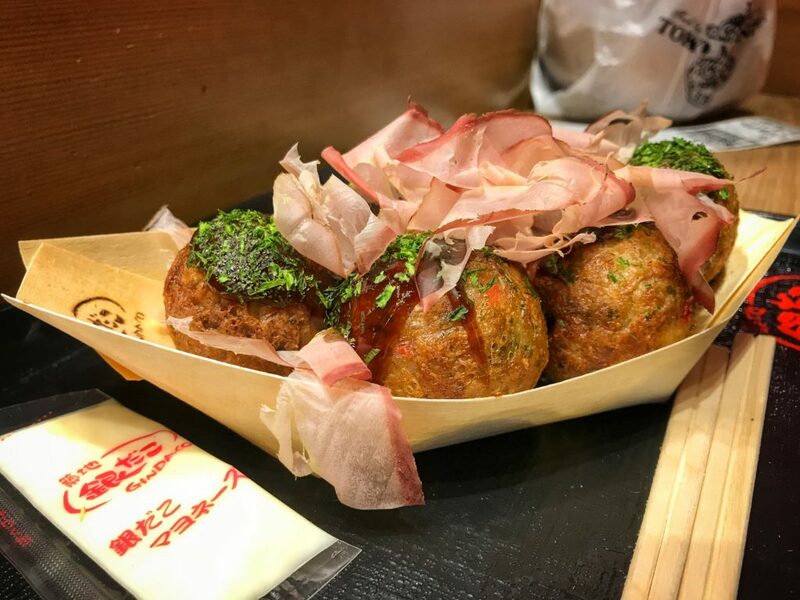 Just up the block was the takoyaki place – Tsukiji Gindako – Gindako is actually a chain. I was hesitant to try them because I am not a fan of octopus, but Paulina talked me into trying hers… it was delicious! Topped with a teriyaki type sauce, bonito flakes and a little mayo, it was great – the octopus was fresh, and was not chewy or super fishy tasting – it was just right! I’d eat it again. Tummies full, we went home… I edited photos and a few hours later Paulina, Zack and I went for a walk and got CoCo Curry to go, ate at home and now I’m getting ready for bed. Paulina dubbed the day a “snackventure” and it was indeed! No fun adventures had. No plethora of photos. No good foods eaten. I went to bed last night with a raging sore throat and hoped for the best, that I’d wake feeling better… but that did not happen. 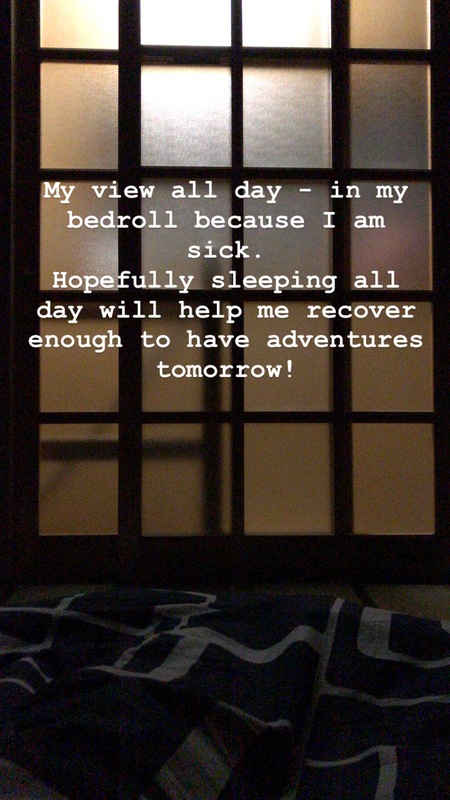 Despite wanting to get out of bed and make the most of my day this cold was bad enough that it felt best to stay in bed and rest… I slept this day away, not waking until sometime after 5pm. My throat is about half as sore as it was this morning, so there is improvement. Currently I am laying awake at 10 pm, editing photos because I am having trouble falling asleep… gotta get the photos ready to update to the past few days of blogs that I have already typed up and are waiting to be published. Paulina was a sweetheart and walked over to Lawson to fetch a salad and a hot lemon and honey drink for me… that warmed my heart as well as soothed my throat. Here is to hoping that I’ll be fully recovered on the morrow. DISNEY! 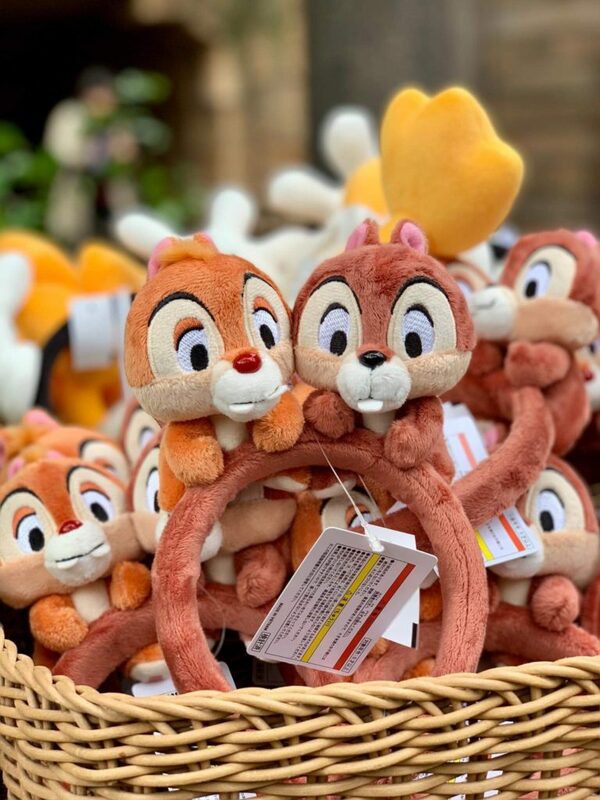 DISNEY! DISNEY! 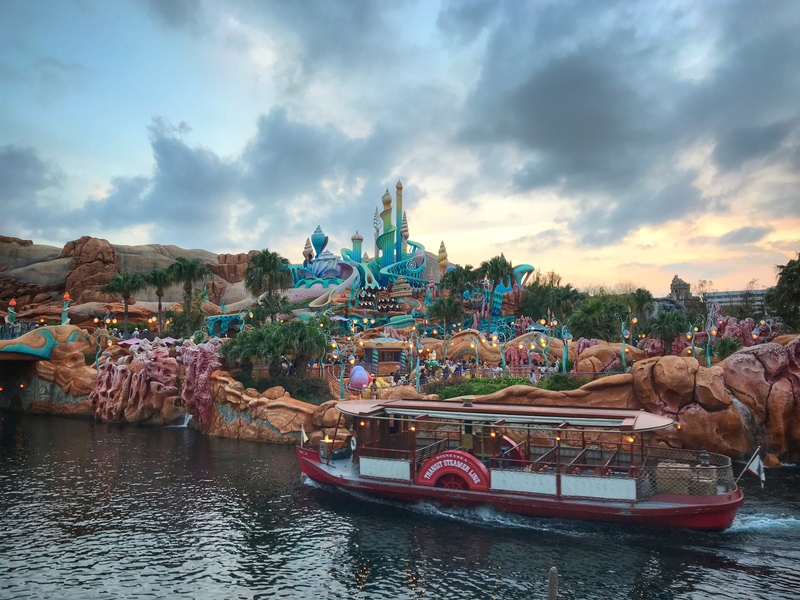 We were SO excited to get up early this morning to meet Chris at the main gates of Tokyo Disney Sea… the guys decided to sleep in and meet us later in the day (those silly guys)… Paulina and I jumped on the train and we were on our way! Buuuuut our train was late and we missed our connection, so we ended up running a half hour later than planned. BUT IT WAS OKAY BECAUSE WE WERE GOING TO DISNEYYYYYYY! We arrived and Chris met us at the gates, tickets in hand so we did not have to wait in line – what a sweetheart! Into the park we zoomed, stopping of course to get a photo of Paulina at the big globe since it was not only her first time into Disney Sea, but ANY Disney park anywhere! A special moment that I am so glad that I got to share with her! 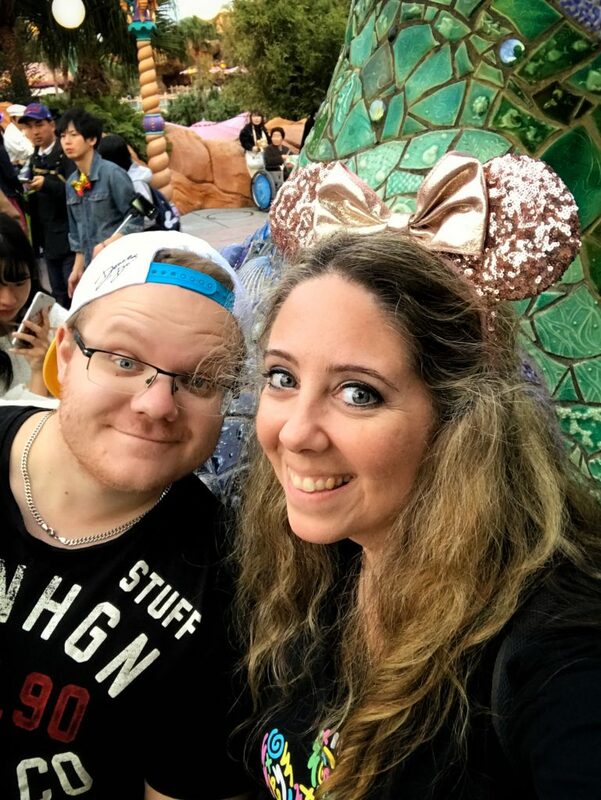 Paulina’s first time in a Disney park anywhere! She’s so happy! 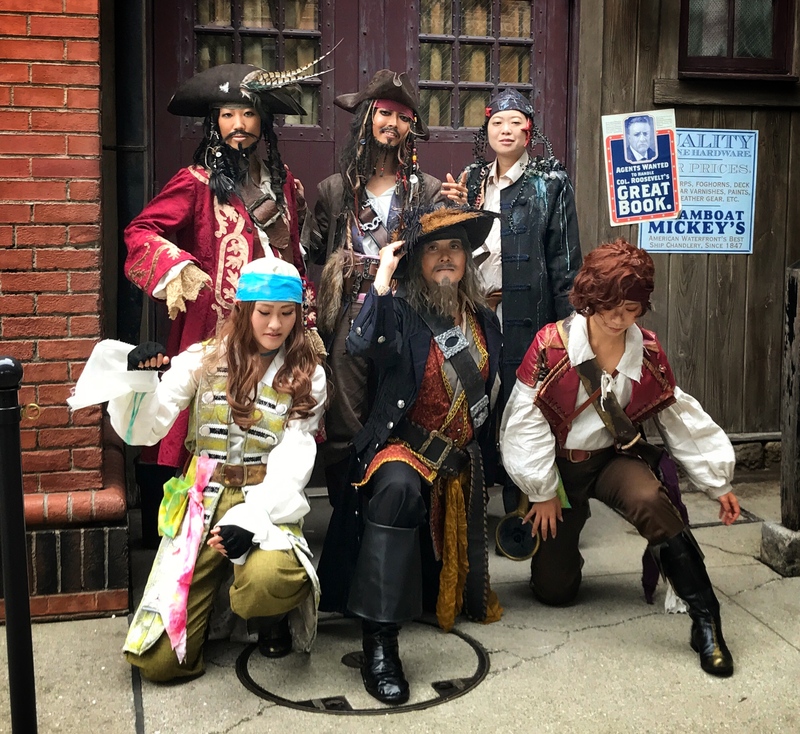 There were cosplayers EVERYWHERE today… normally this is not a thing allowed in Disney parks but many people were dressed in costume (of all ages) so I’m thinking that it was one of those Halloween events that Disney puts on at this time of year. 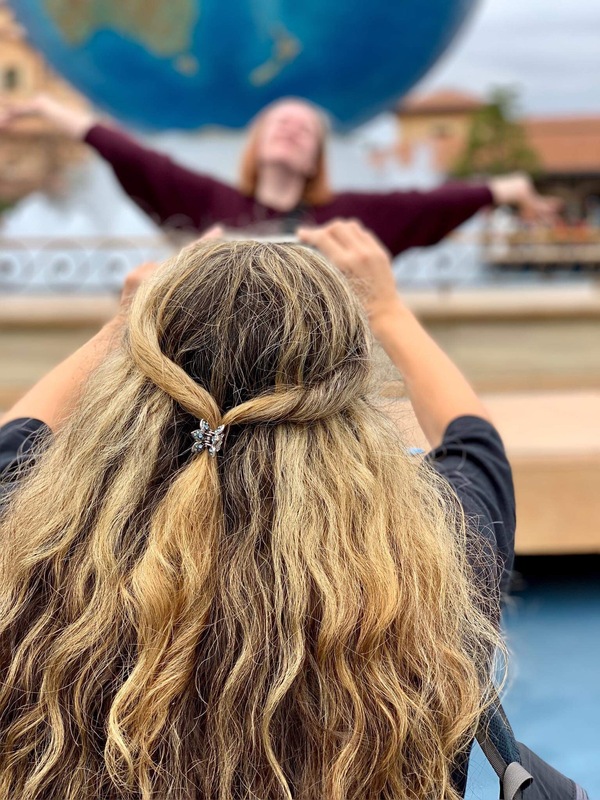 One of the things that I love about Disney parks is the attention to details… from the music everywhere you go to the tiny and oft missed details…. 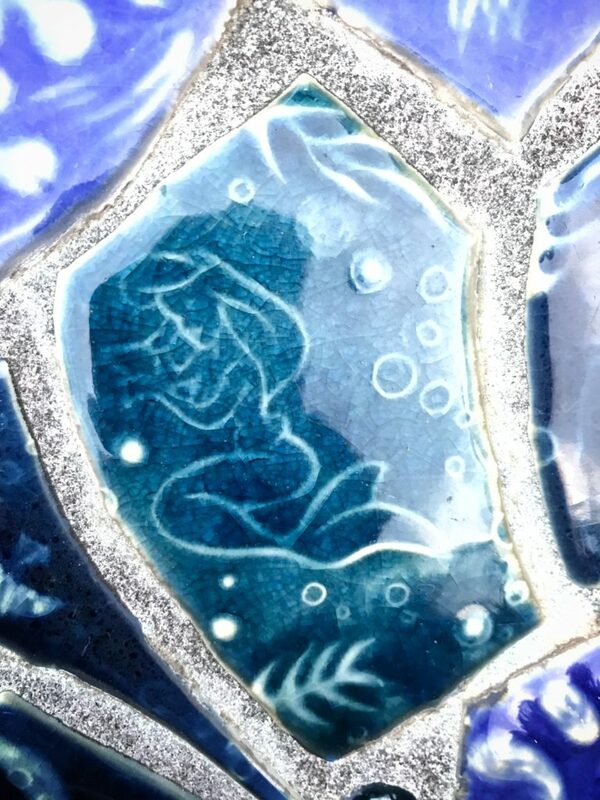 like on this small mosaic tile – Ariel! There are small details everywhere you look, like on this small mosaic tile. Disney really does it right. There is beauty everywhere you look. There are feasts for the eyes, ears, smell and taste. 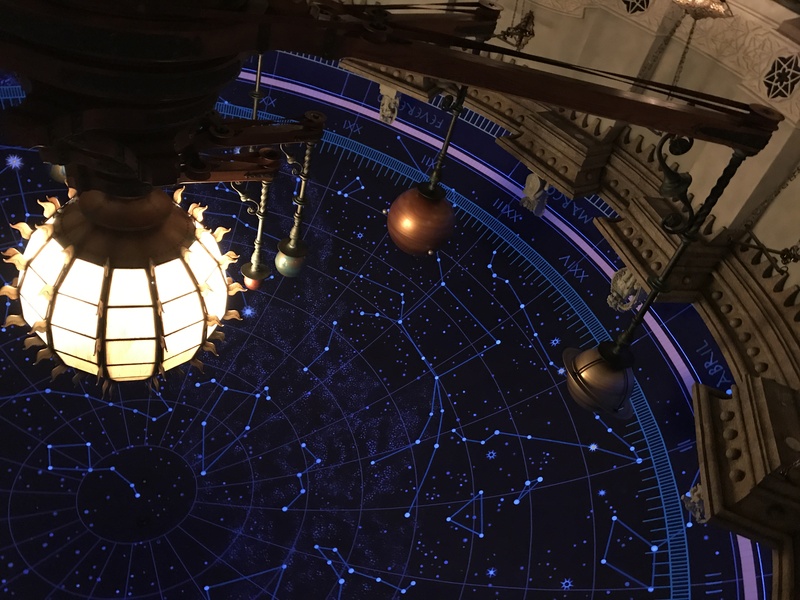 No detail seems to be overlooked, and this tradition continues at Tokyo Disney Sea. There were fun times for all! 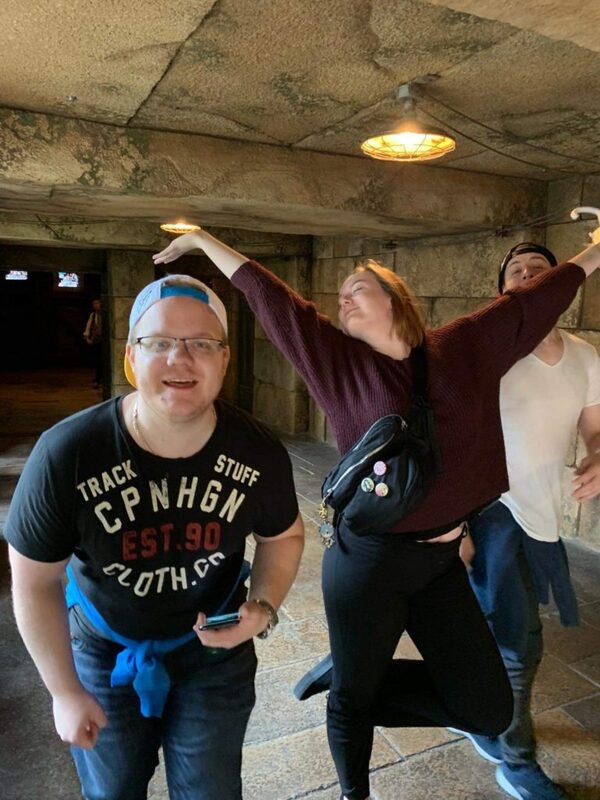 I think they MAY have loved the Indiana Jones ride. … and happy friends too! I wasn’t feeling well today at all and you can see it on my face – I think that I’m getting very sick, because as I write this my throat is hurting very badly – but I still had loads of fun with my friends! A meal before Chris left us – he had to leave early, sadly. 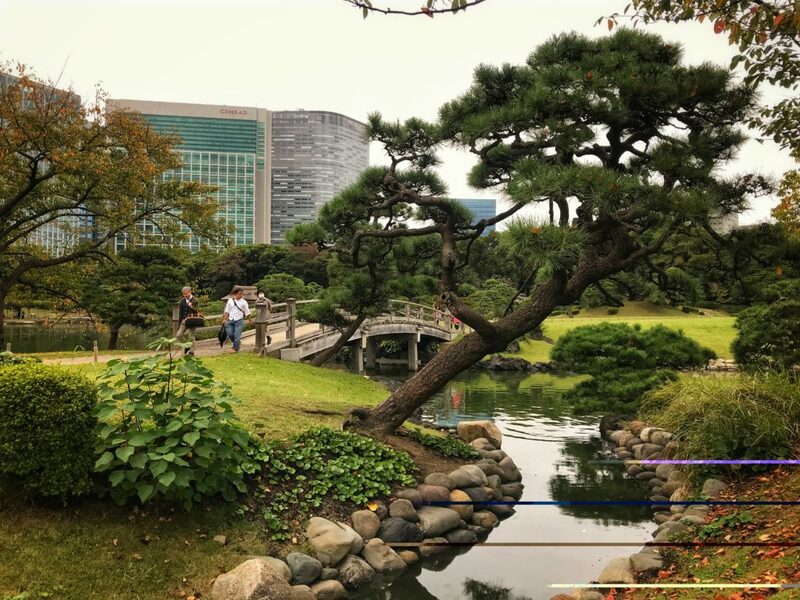 Beautiful places everywhere in the park. This is one of my favorite spots. A short post tonight because I am feeling oh so badly… I really do not want to be getting sick! Ah well… to sum it up, the day was a good one and good memories were most certainly made. First things first… today was the day of the Halloween Konatsu lottery at FewMany in Loft, so back to Ginza I went… solo this time. Leaving the house was delayed for a multitude of reasons, but it all turned out to be okay. There were only 20 people that had already arrived for the event and I was worried that I would not get a ticket because at that time, I didn’t realize that it was a lottery system and assumed that each number was drawn in order. 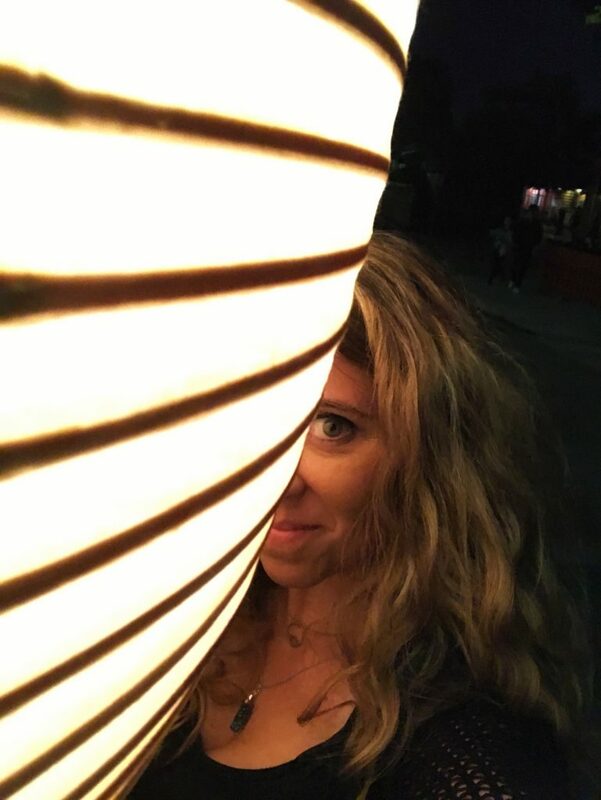 By 1pm, a quick head count told me that there were 120 of us gathered there and I was the only foreigner… I was most definitely not blending into the crowd with my tall stature and curly blonde highlighted hair. 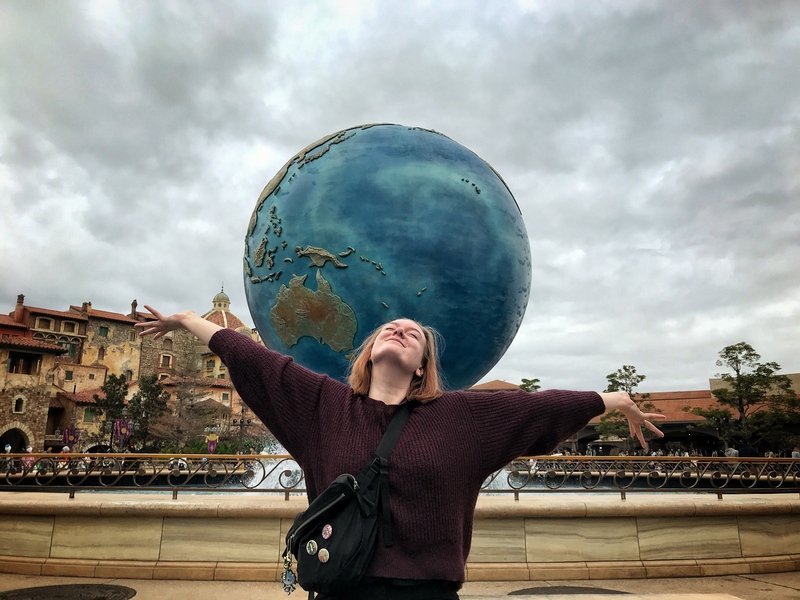 I wanted to make myself smaller and invisible because I felt very out of place at first, but after a bit I didn’t feel so odd because people were very friendly and of all ages too! People my age, seniors and even little children with their parents were there, and from all walks of life it seemed, too. My Lottery Number – it turned out that the message below simply says “Ginza Loft” HAHAHA! 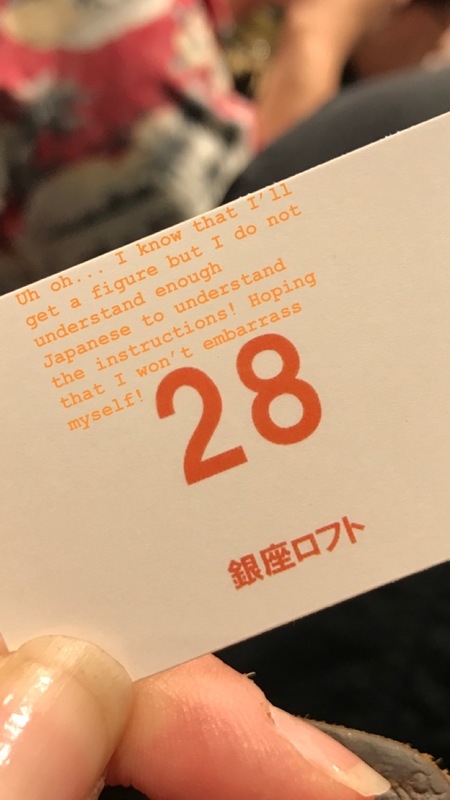 Instructions were called out in Japanese – my cursory knowledge of conversational Japanese plus context helped me to mostly understand what would be happening and watching others when their numbers were called most definitely helped. One person called, then two, three… four. 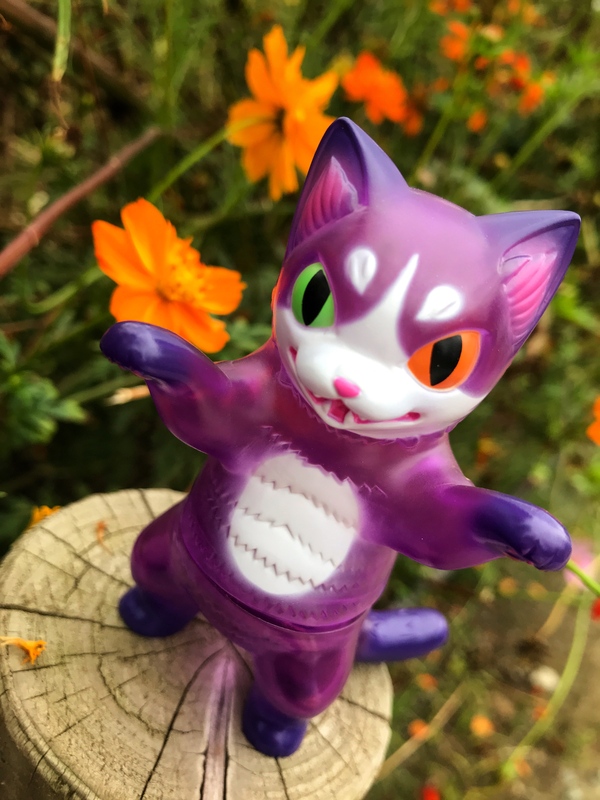 There went my chances at receiving one of the limited Sugar Skull painted negora! That was sad but I still hoped that my number would be called for one of the Halloween pieces… I clutched my precious number 28 printed paper with nervous excitement… another called, then two more and suddenly the 8th number was called – “番号28” Ecstatically I waved my paper in the air and those closest to me gave a cheer and gave me shoulder pats of congratulation – I thanked them heartily and moved forward to claim my prizes, er chance to purchase things! 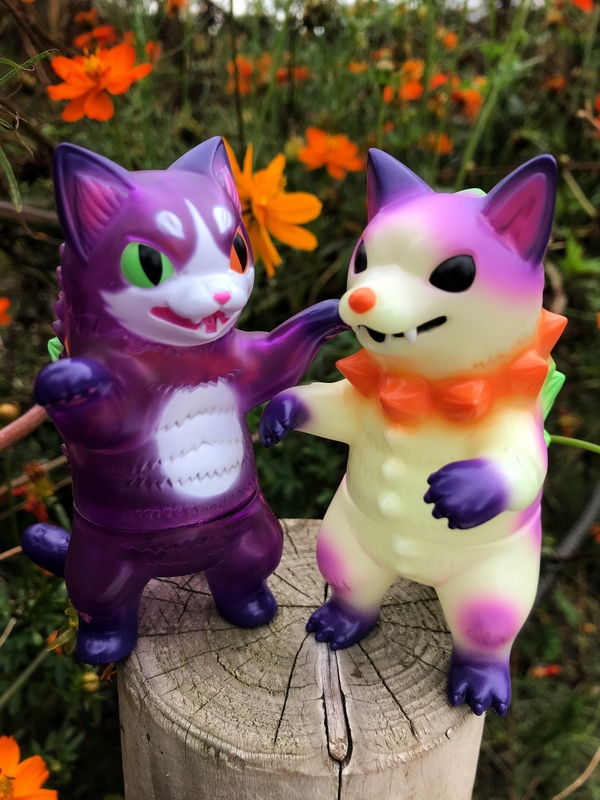 These two special Halloween edtion Negora from Konatsu – hand painted by the artist herself! 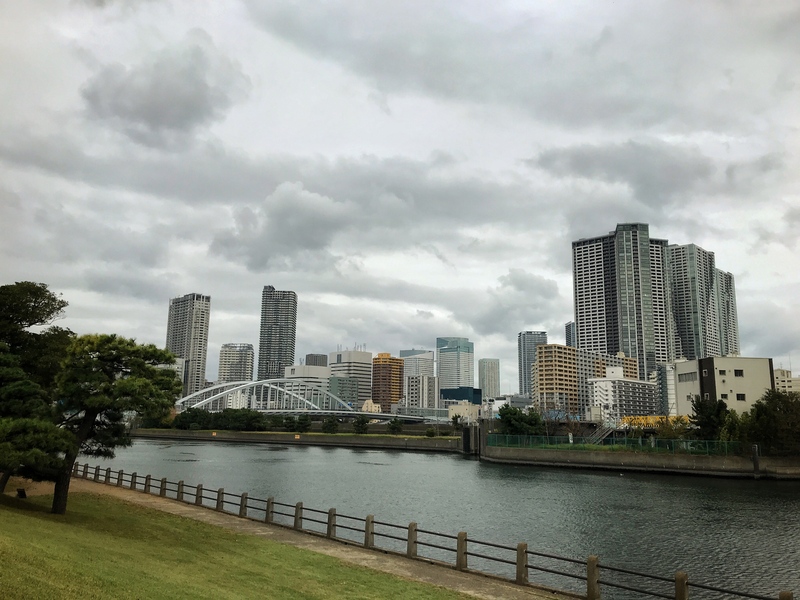 I needed some time to refresh myself today, and I felt that some time alone in one of my favorite spots in Tokyo would do the trick so I settled on walking to Hamarikyu Gardens which is right on the Sumida River and close to Tokyo Bay. 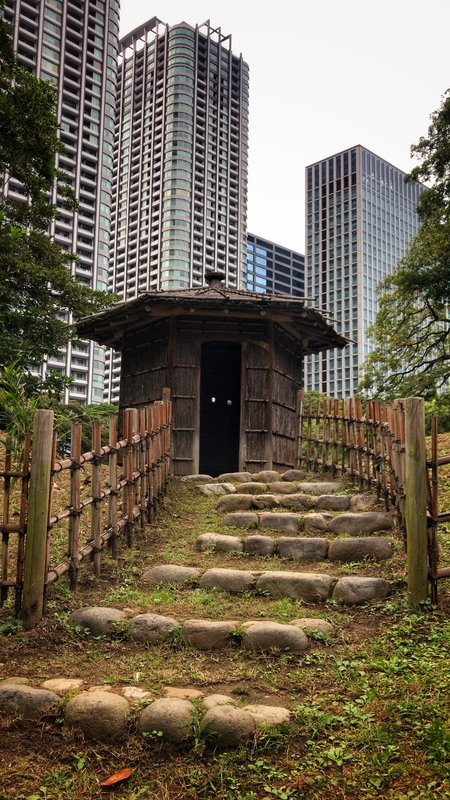 Tunes in my ears and happiness in my heart, my feet started toward the garden and along the way I was surprised to come upon the Nakajin Capsule Tower! 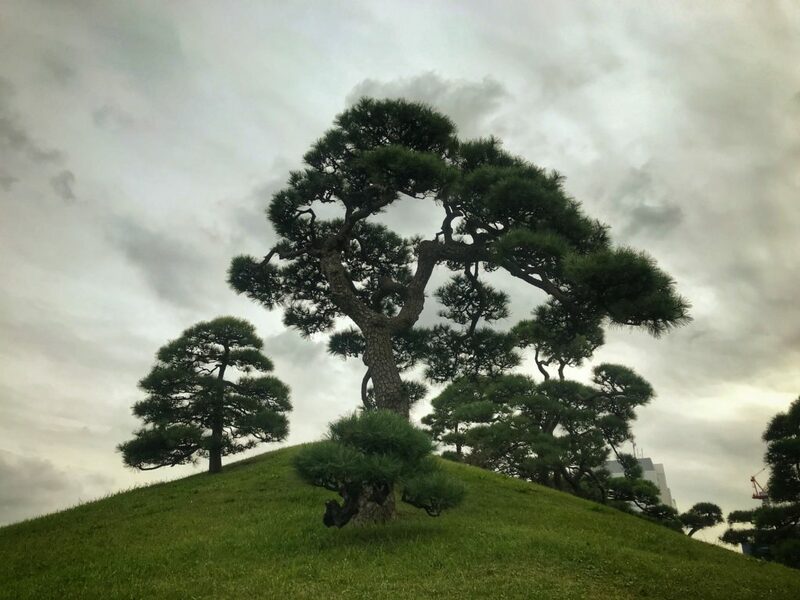 I had no idea that it was so close to Hamarikyu and if I had known how close I had been so many times before on previous visits, I most certainly would have stopped there before! 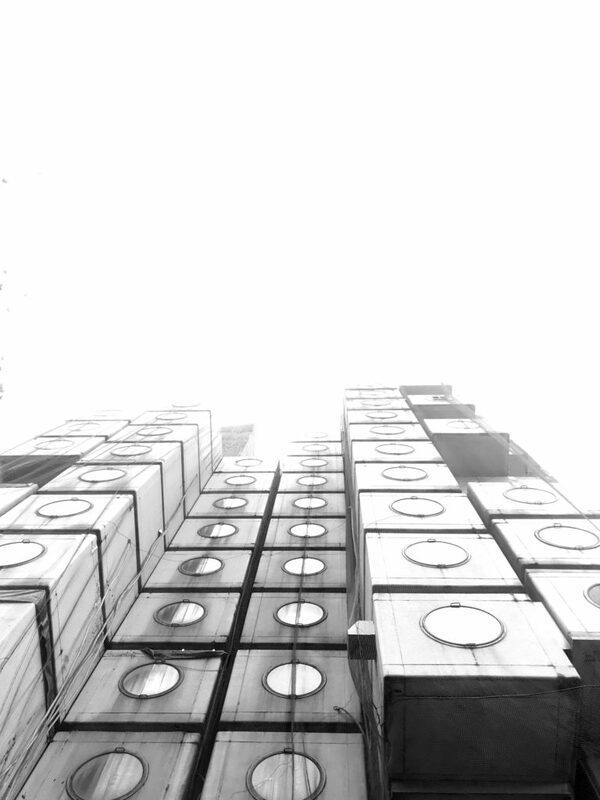 Randomly found the Nakajin Capsule Tower! Photographing this building has been on my bucket list for many years and it was on my definite list of things to see on this trip so to find it by chance was very satisfying indeed! A little history of the building… Nakagin Capsule Tower was designed by architect Kisho Kurokawa as a mixed-use building for both residential and office space… I’ve linked to both the architect and the page for the tower so that you can read more in-depth at your leisure.. apparently you can rent out some of the apartments to stay in but the list is long…. adding this to my long list of things that I would like to experience in life! 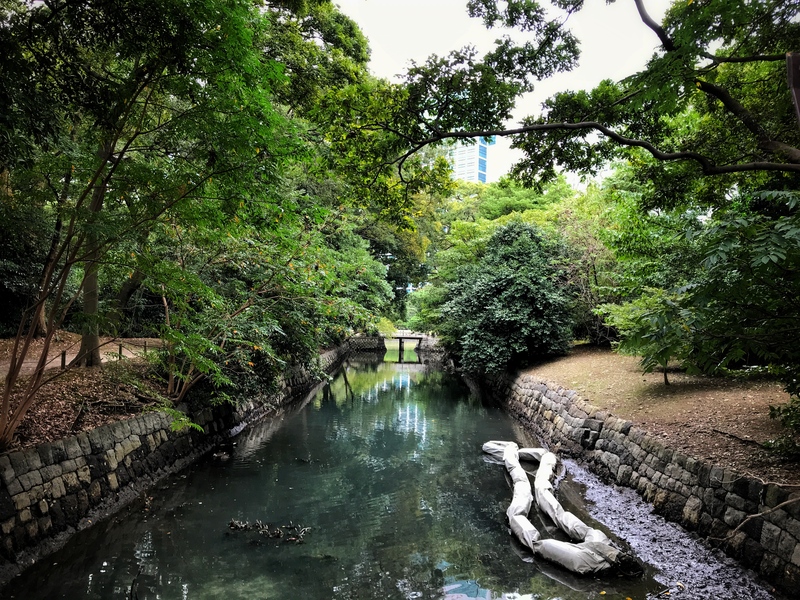 Close by were the gardens that I love so much… it was a haven for me on previous visits, a place for me to be near nature and recharge my spirit and today was no exception. This trip is so much more than hanging out with friends, photographing adventures and (in two weeks) attending language school. It’s finding my own self again and rediscovering what I need in life to feel whole, a task that has been in the background for far too long for me. Having days or moments of solitude are important to me, and days like today give me opportunity to turn inward and reflect in positive ways. 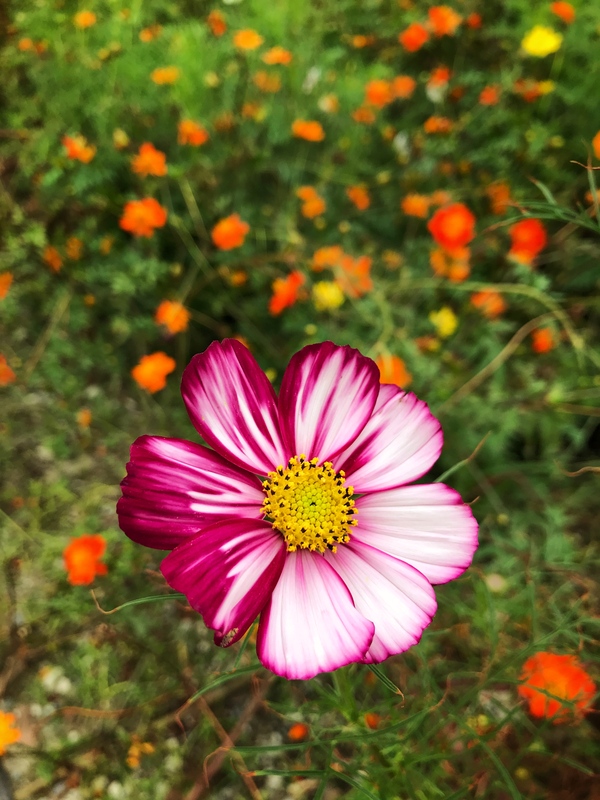 There are portions of the gardens that are open fields and each season they are planted with a new flowering plant… right now Cosmos are planted – the colors of Autumn are so beautiful and when the leaves begin to change I will visit again to capture that beauty as well. This place is so special… around every corner is a new surprise and beautiful scene. 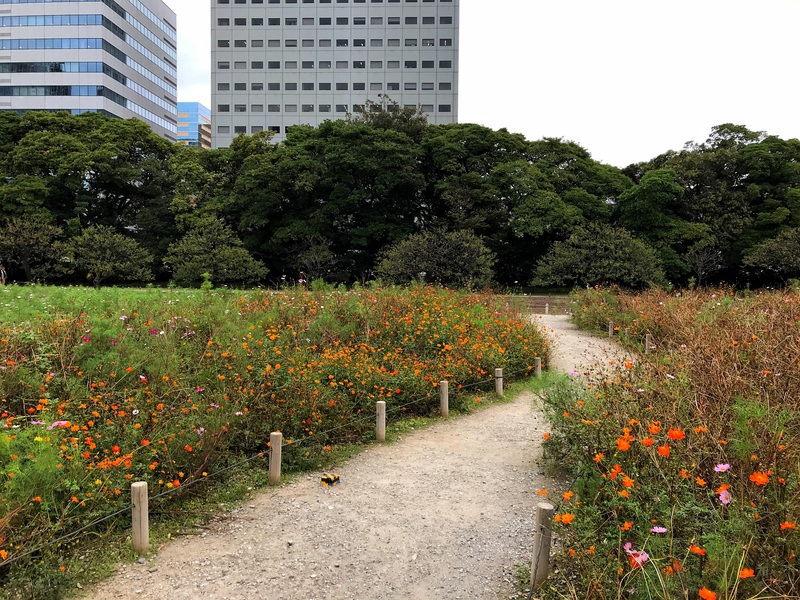 There are moments that it is difficult to remember that you are in the middle of a big city because the garden plants and trees seem so dense and it’s a bit more quiet there. 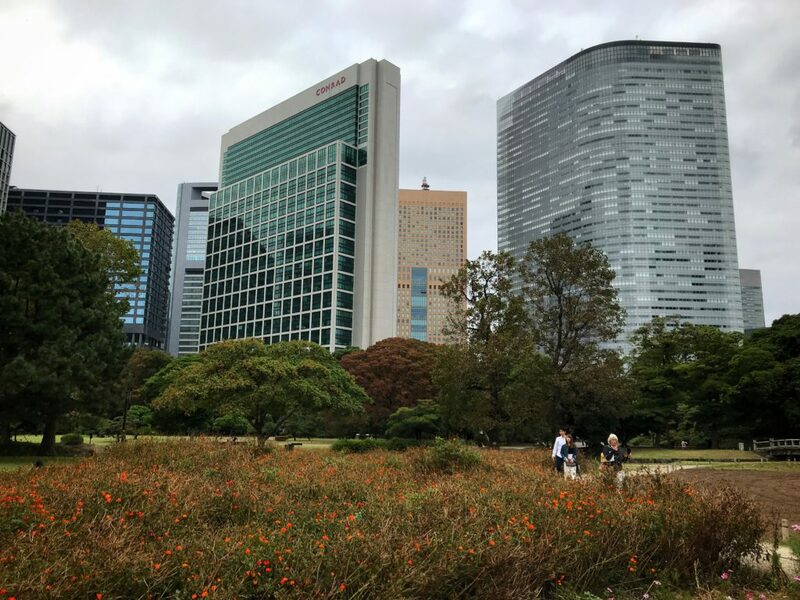 The contrasts between an ancient garden and modern skyscrapers are one of my favorite things about this garden – even in the middle of the concrete jungle you can find repose. The Sumida river and boat lock that leads to Tokyo Bay and Odiaba. After much strolling, photographing and long periods of sitting quietly, it was time to have a photo session with my Konatsu Halloween Shibara (Shiba/Kaiju) and Negora (Cat/Kaiju)! 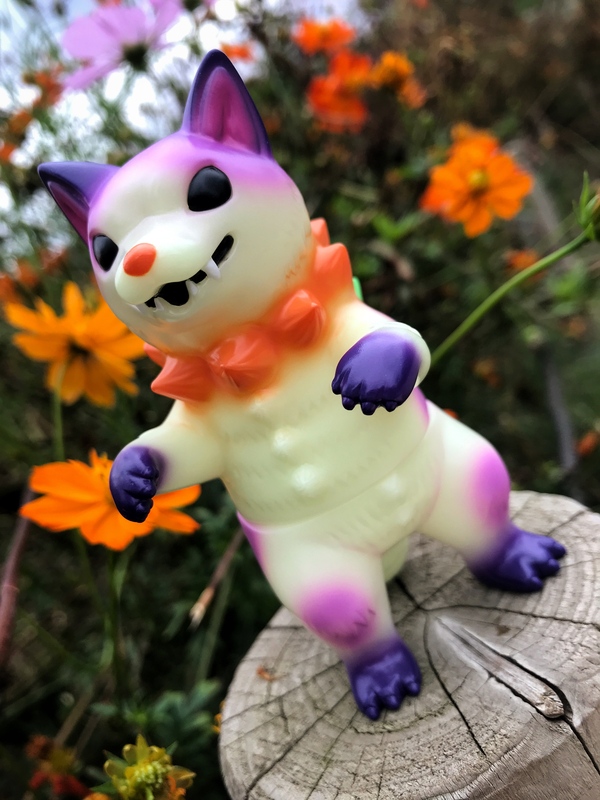 Oooooo look out for that scary Negora! She’s gonna getcha! 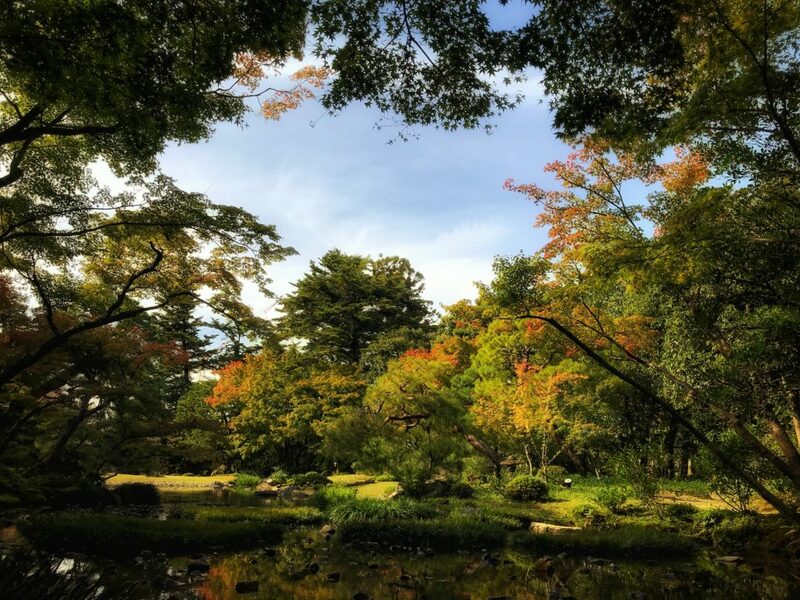 Shibara looking stunning in Autumn colors! I took quite a while to get just the right shots of these figures and then it was time to meet up with Chris for dindin! 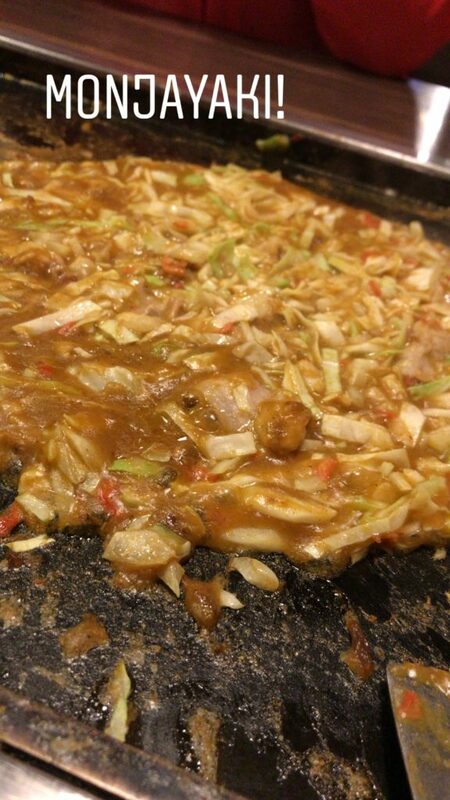 We settled on going to Monja Street near the Tsukiji Market… not for monja though… we craved Okonomiyaki! 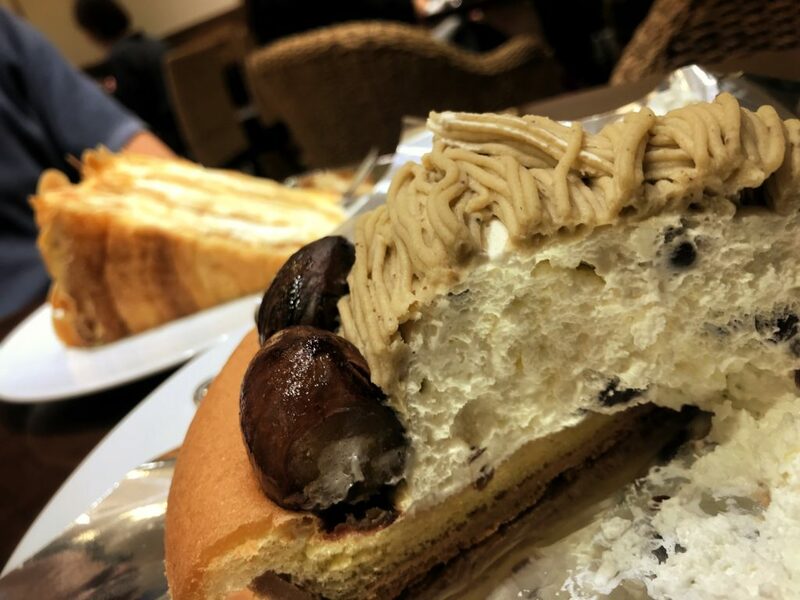 Chris had been here before on a previous visit and said that he liked it quite a bit, so I was eager to try… I was not disappointed! 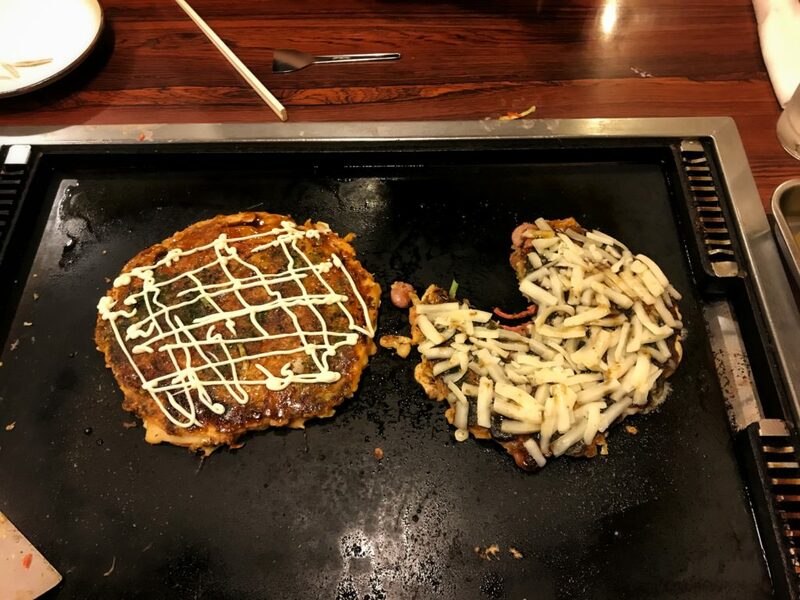 Every bit as good as Okonomiyaki that we had in Osaka last winter – so full of flavor and not too heavy, considering what the food was. Dessert was tasty but uuuugh a little too sweet on one of them. We had some sort of roasted chestnut pie which I thought was quite good and obviously made well, but way too sweet. The other selection was a Pear Tart, which was amazing and more to my taste… I might already have a bias because pears are one of my very favorite fruits. Chestnut Pie in the foreground and Pear Tart in the background – at Harbs!